July 9th, 2017 – Naugatuck, CT – It comes as no surprise that Ground Up and The United Way of Naugatuck & Beacon Falls once again put on an amazing show for the 2017 season. 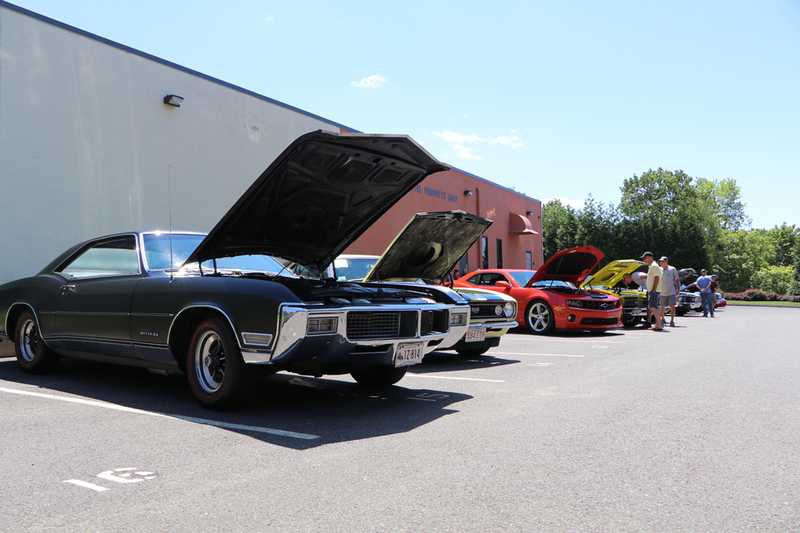 As always, all makes & models were welcome and the $10 show entry donation to the United Way got participants a goodie bag loaded with cool stuff like a Ground Up t-shirt, stickers, keychains and more. 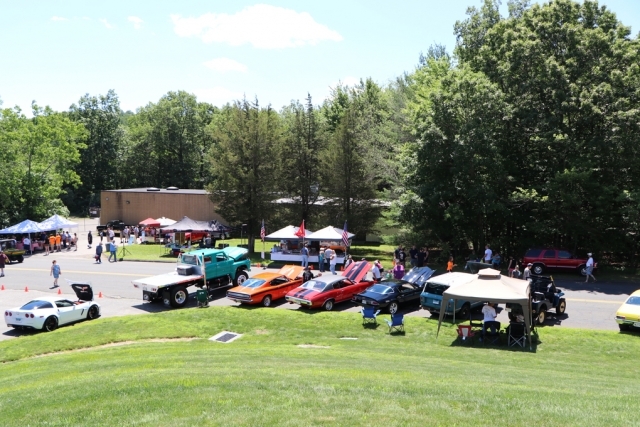 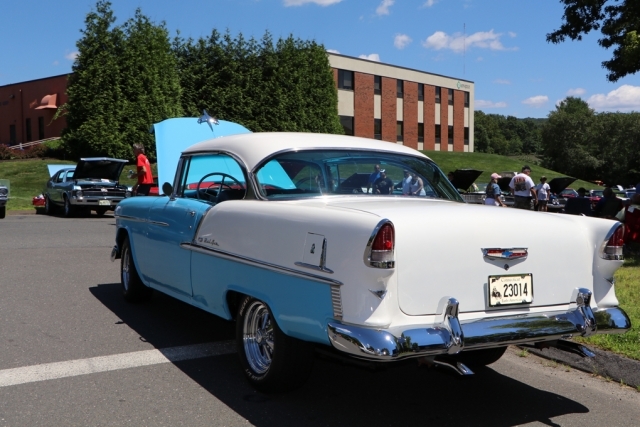 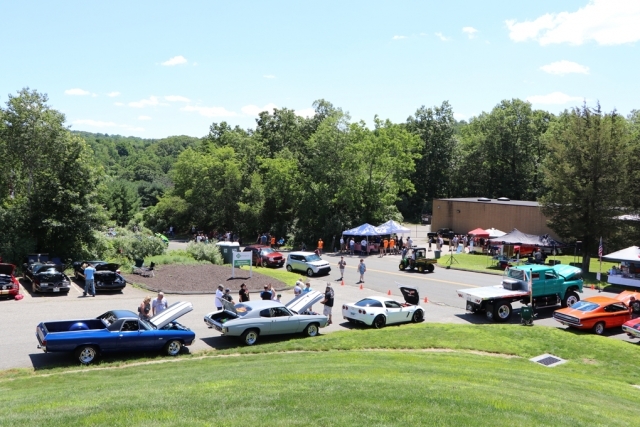 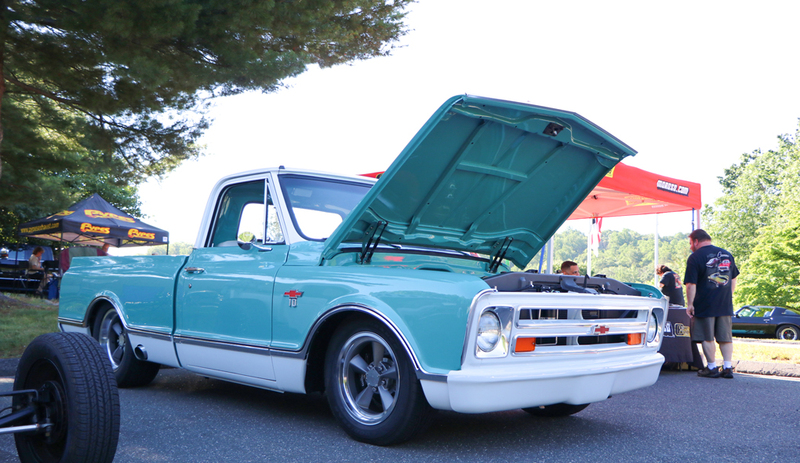 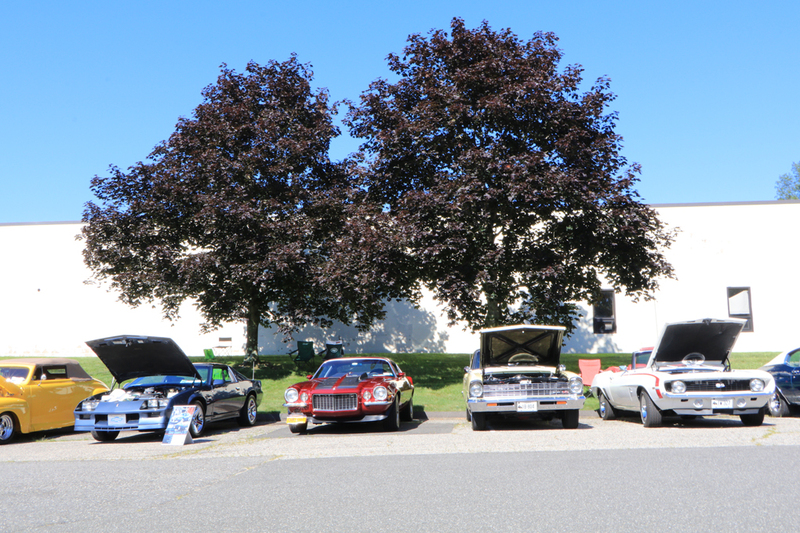 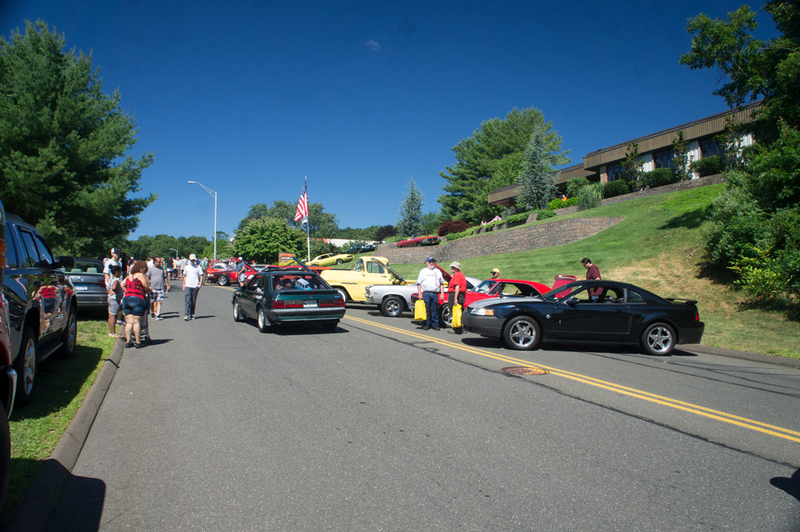 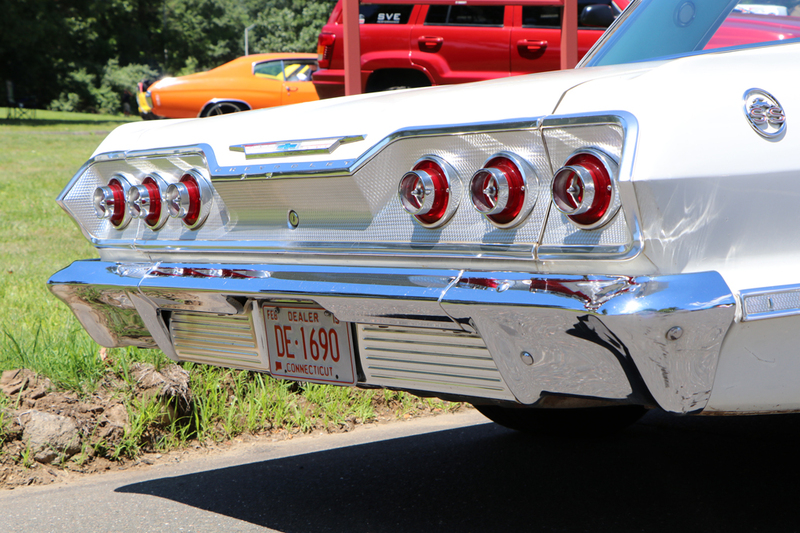 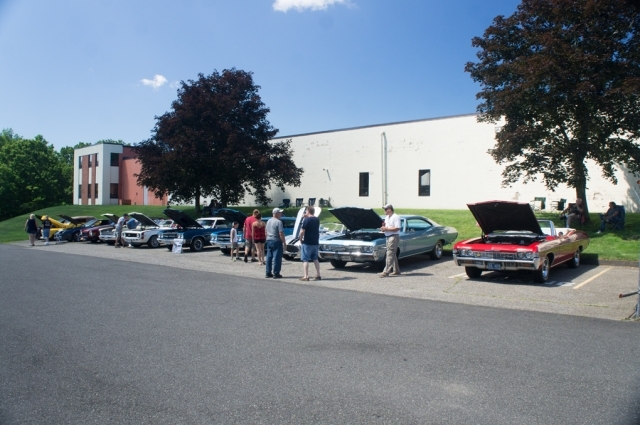 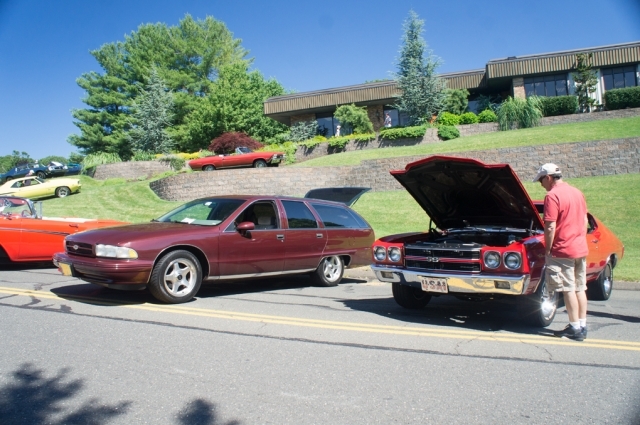 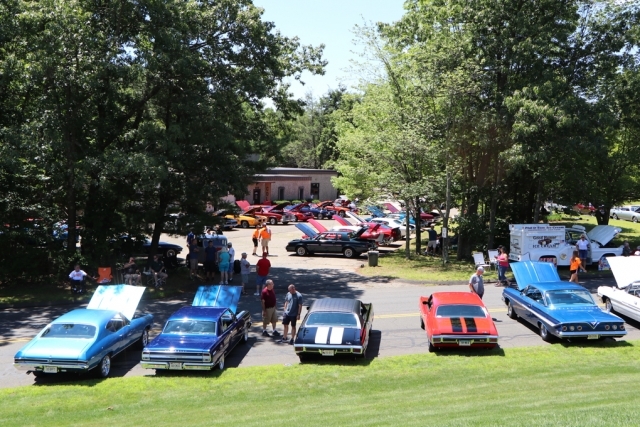 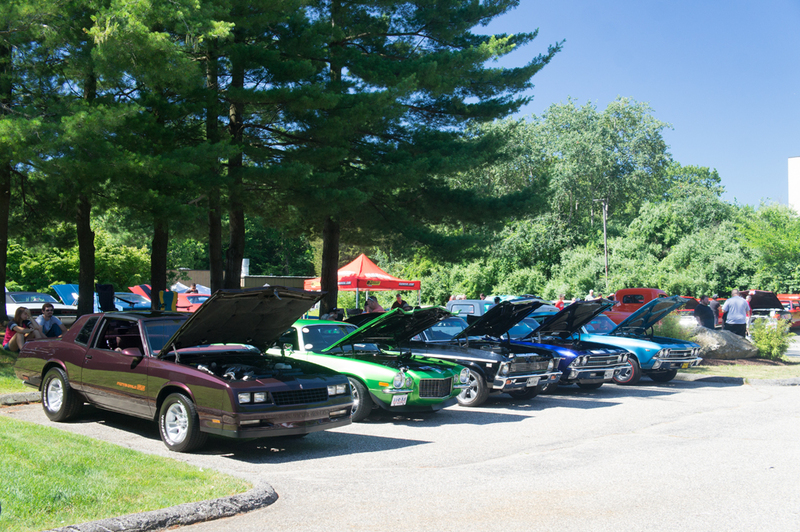 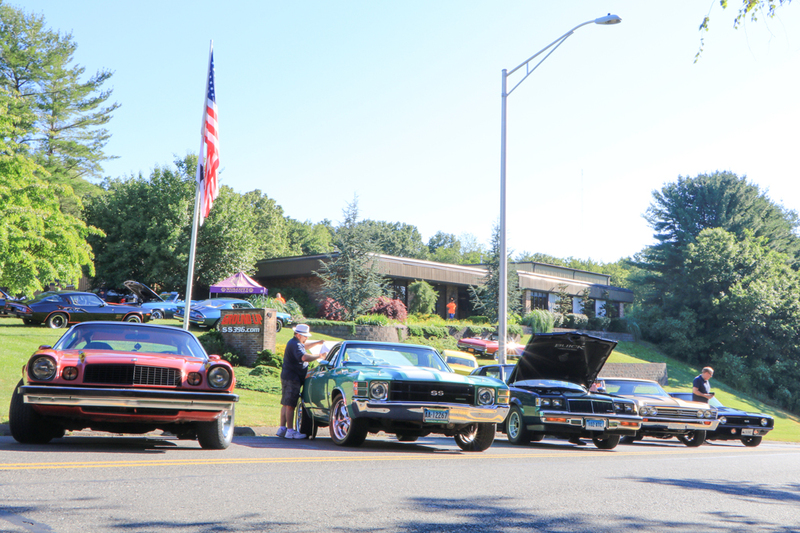 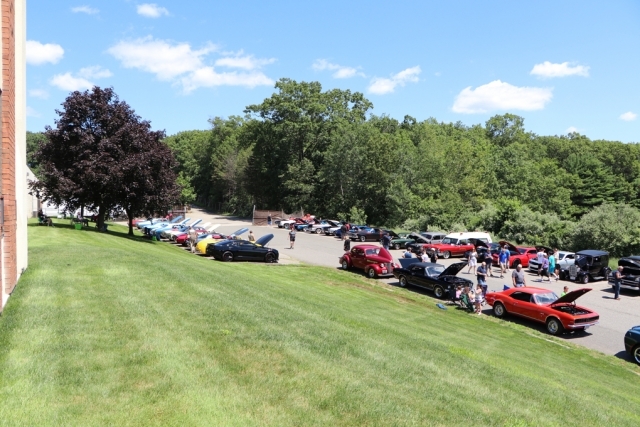 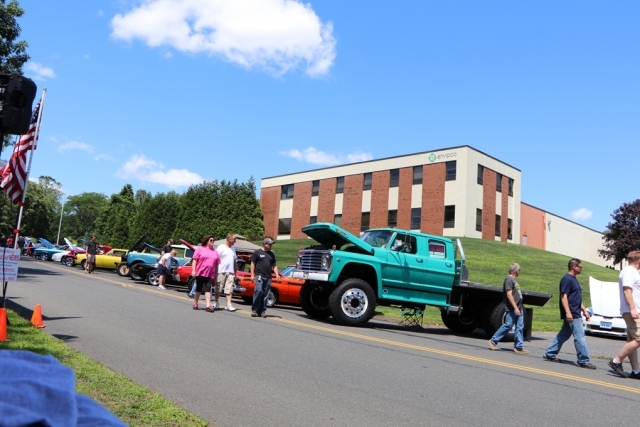 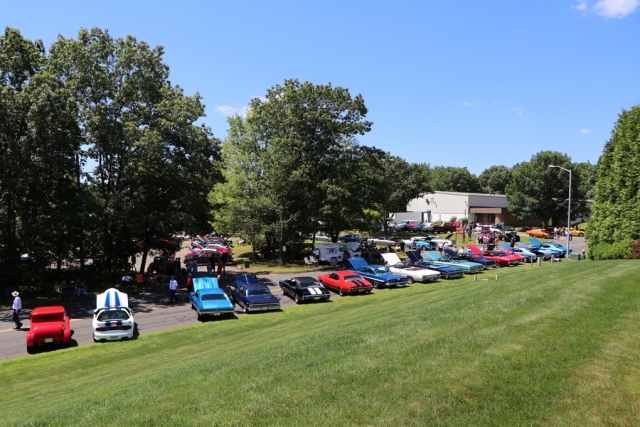 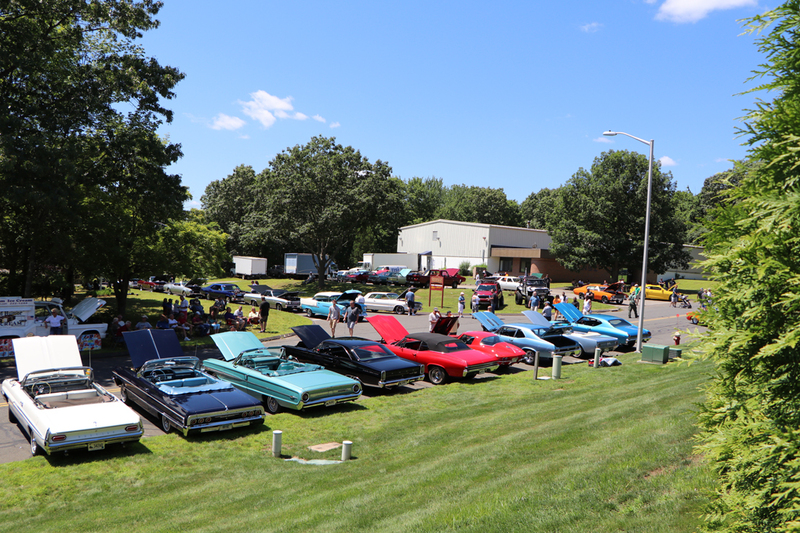 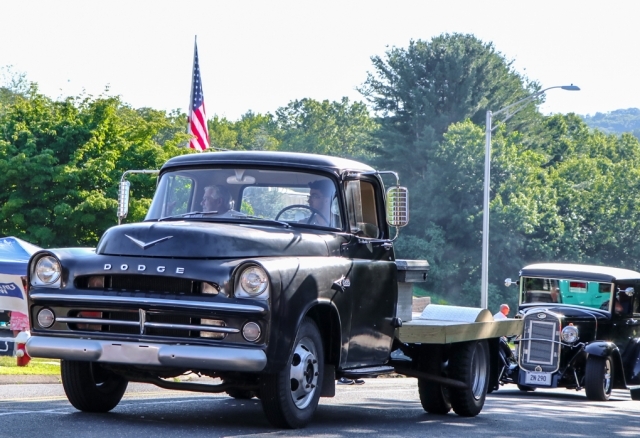 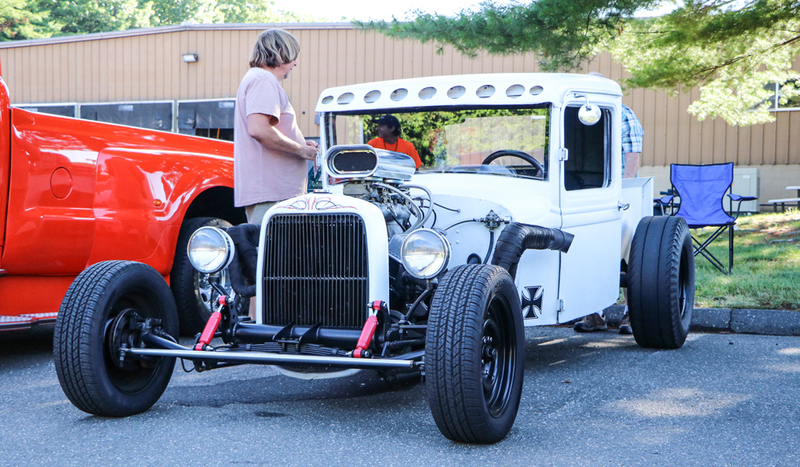 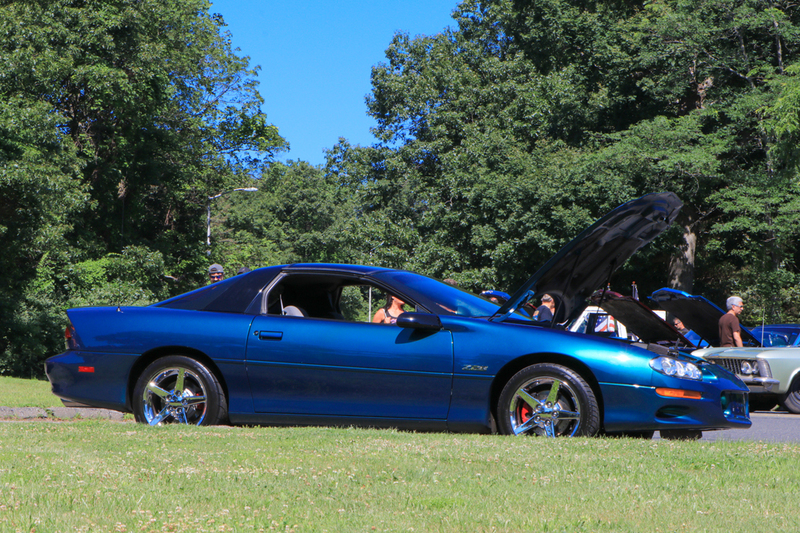 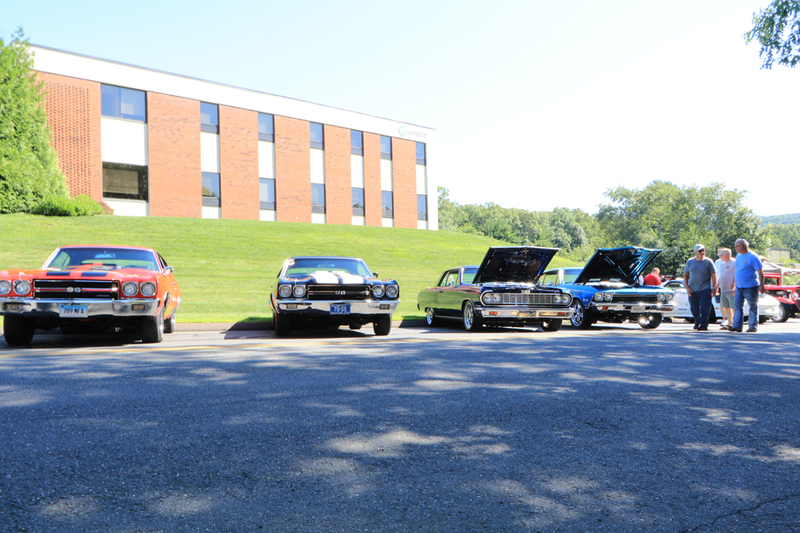 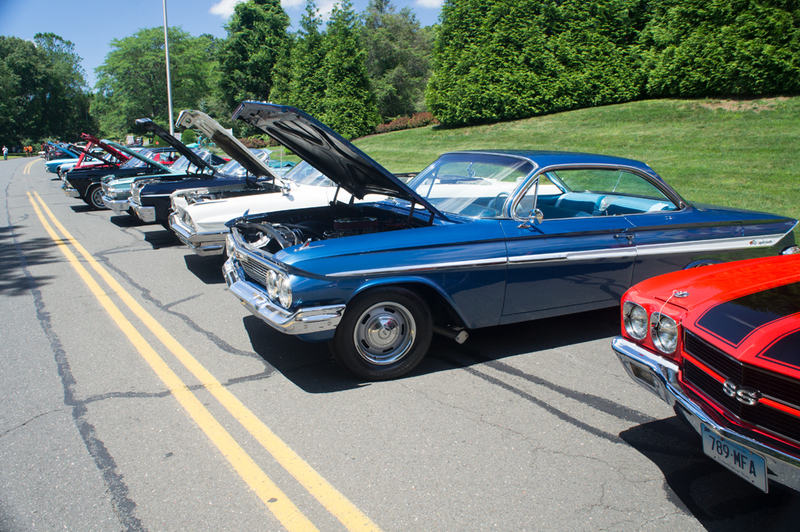 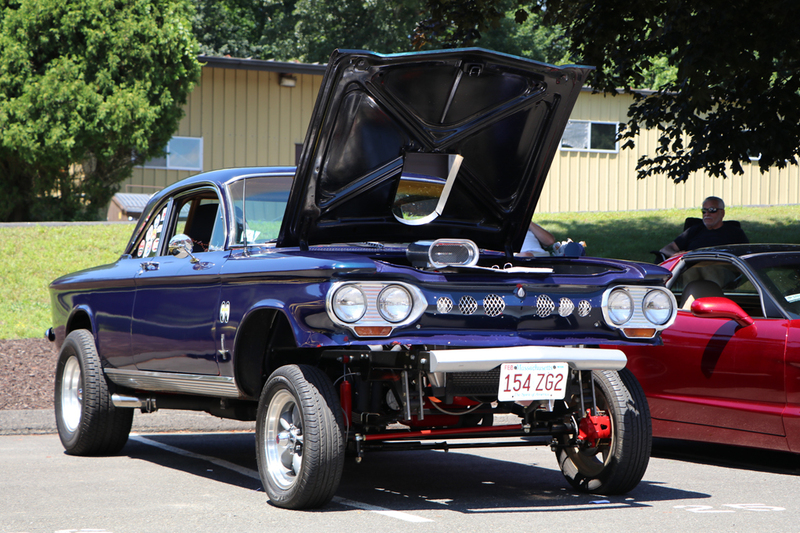 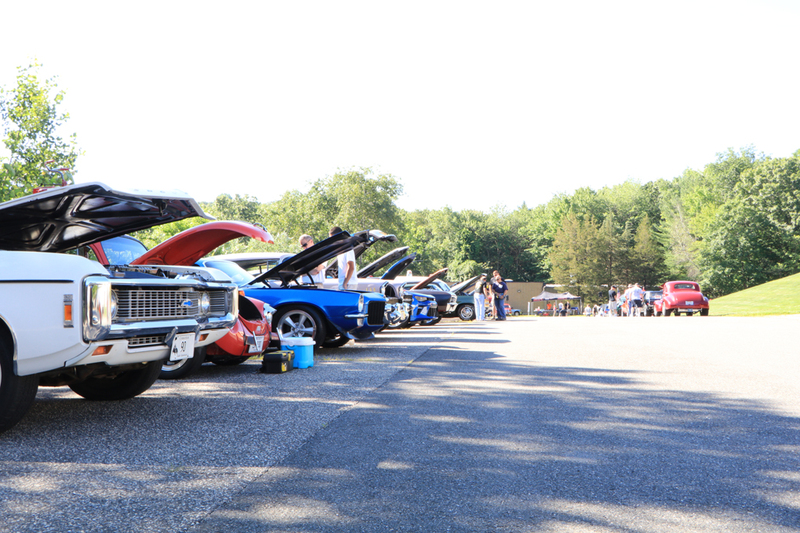 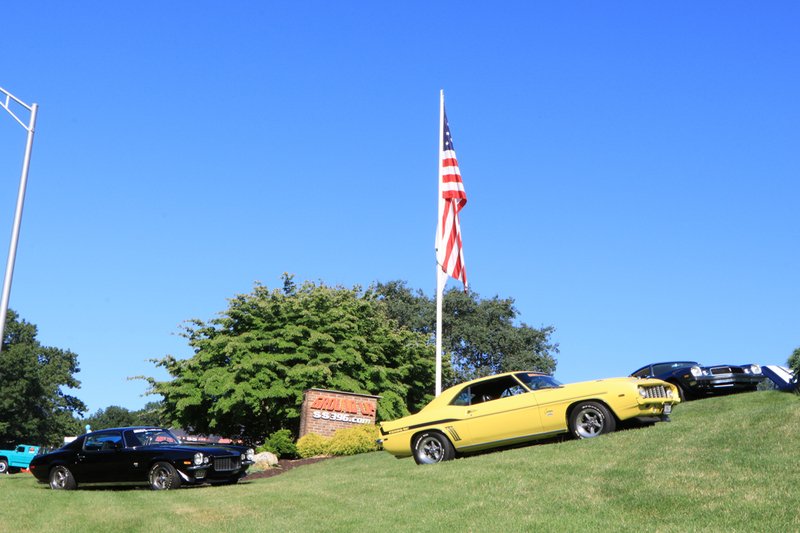 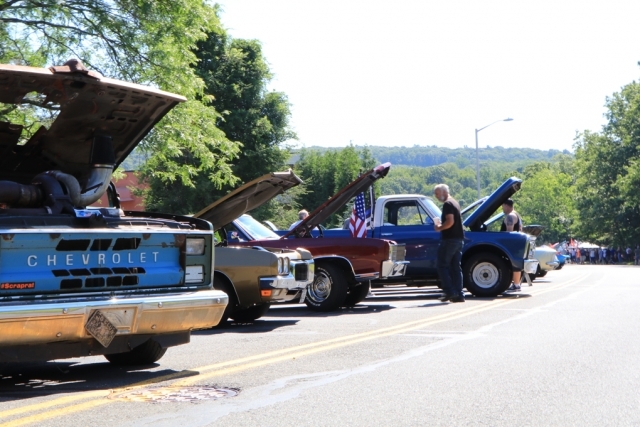 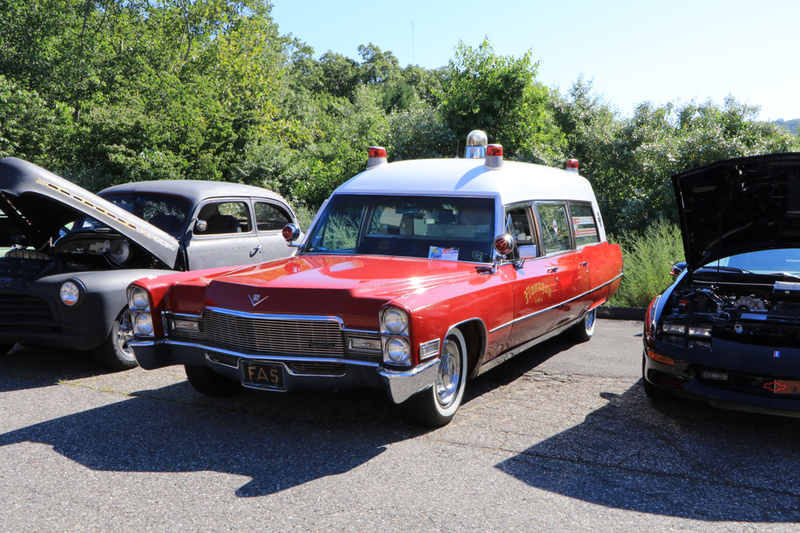 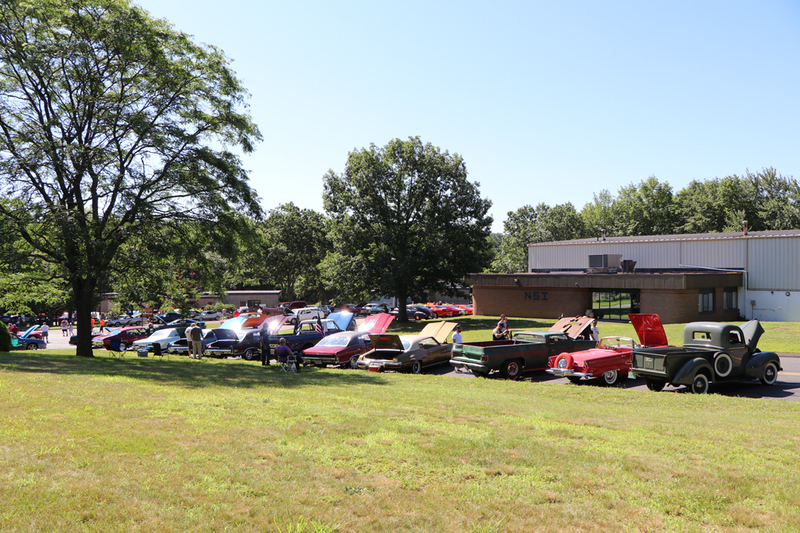 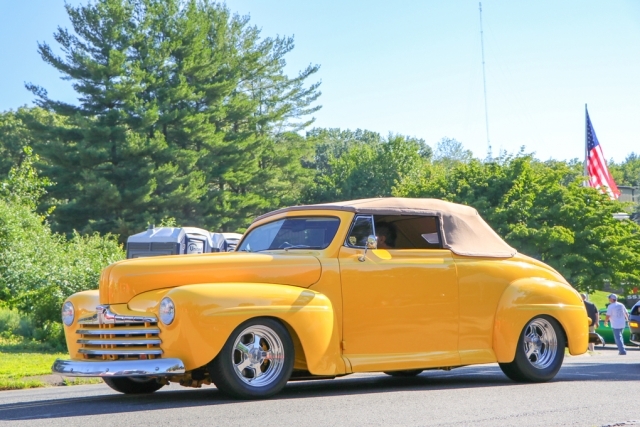 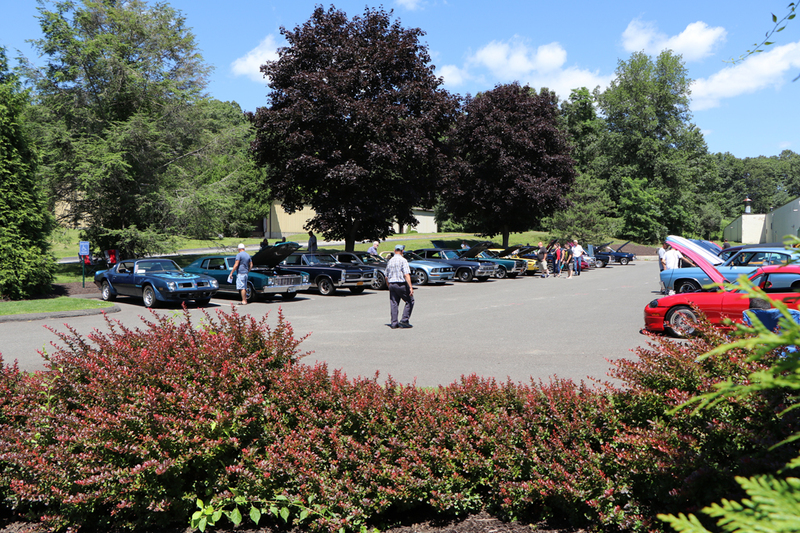 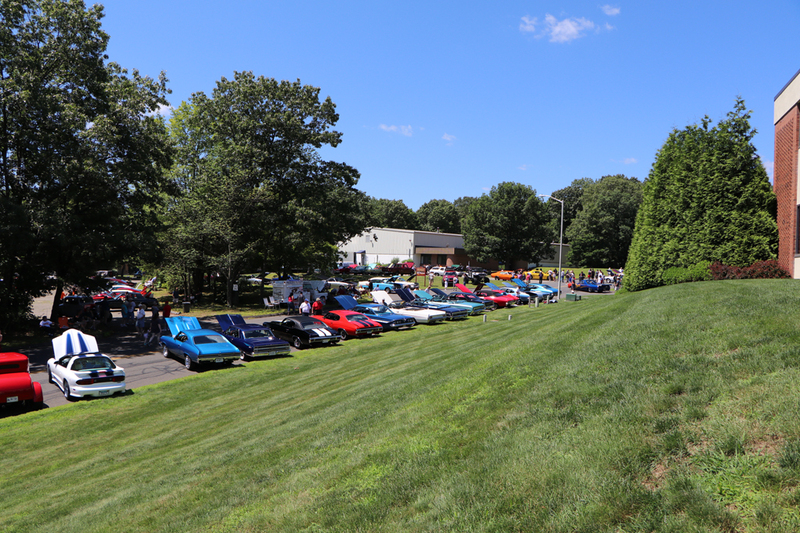 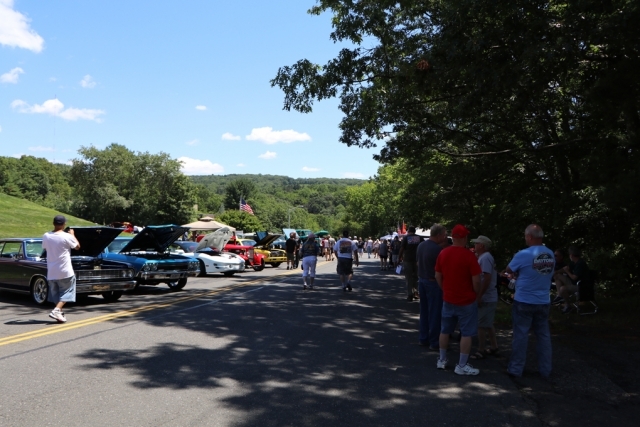 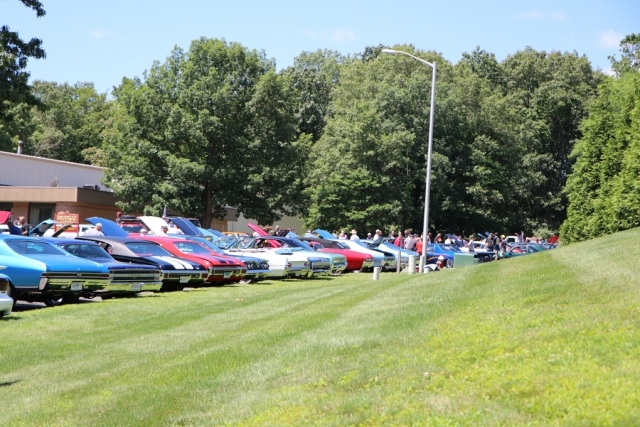 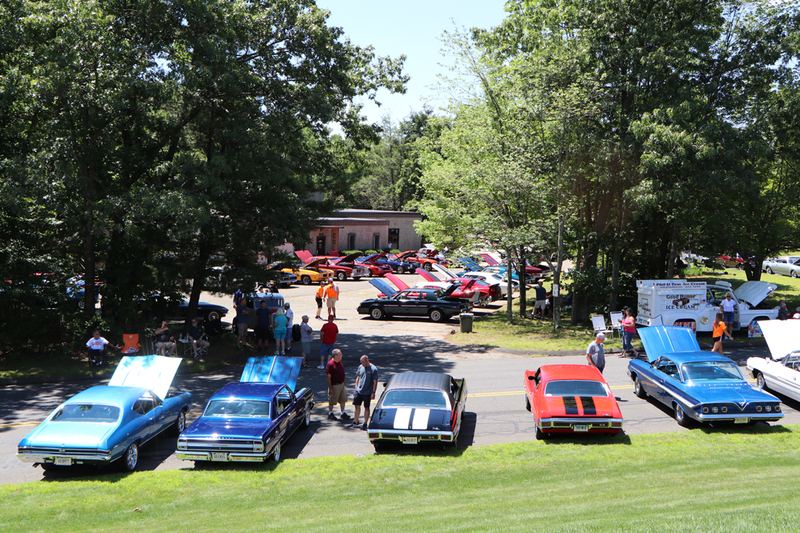 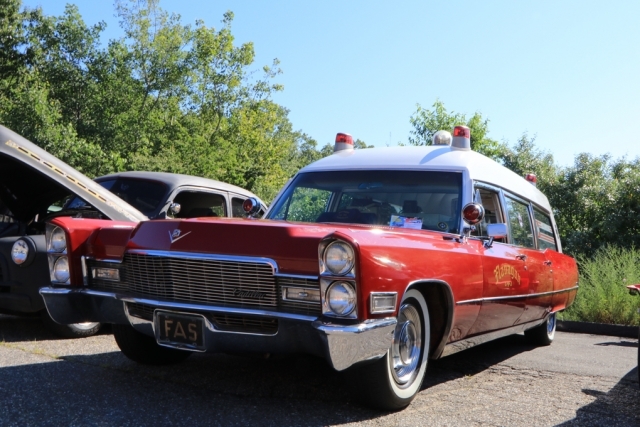 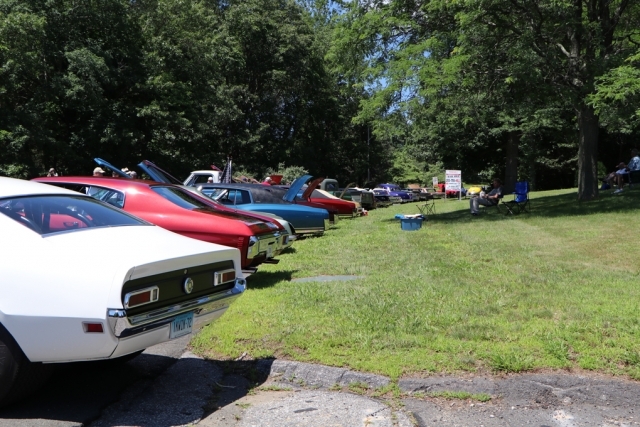 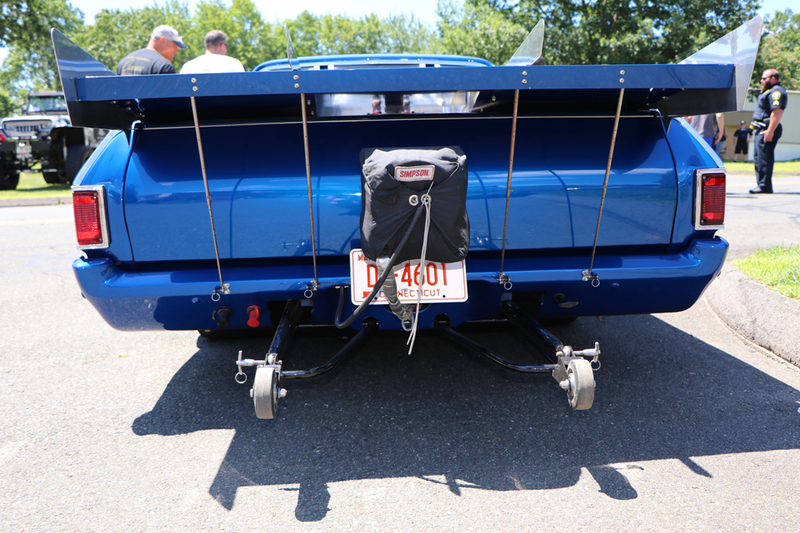 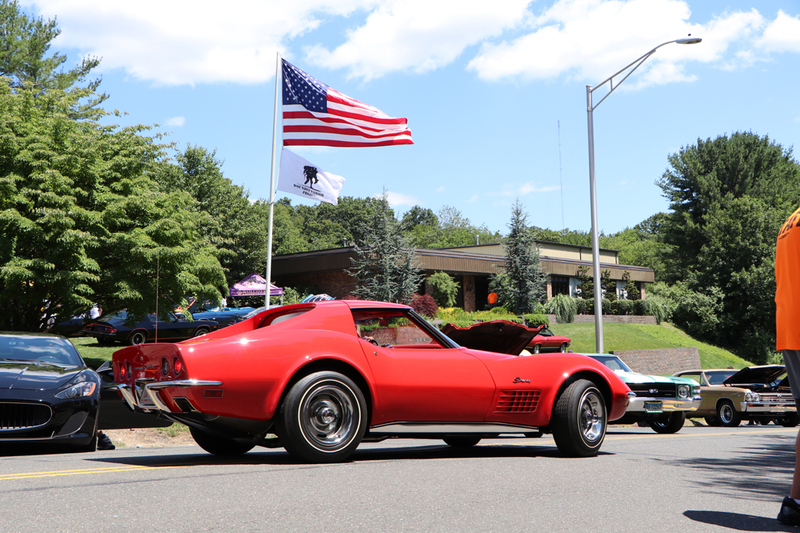 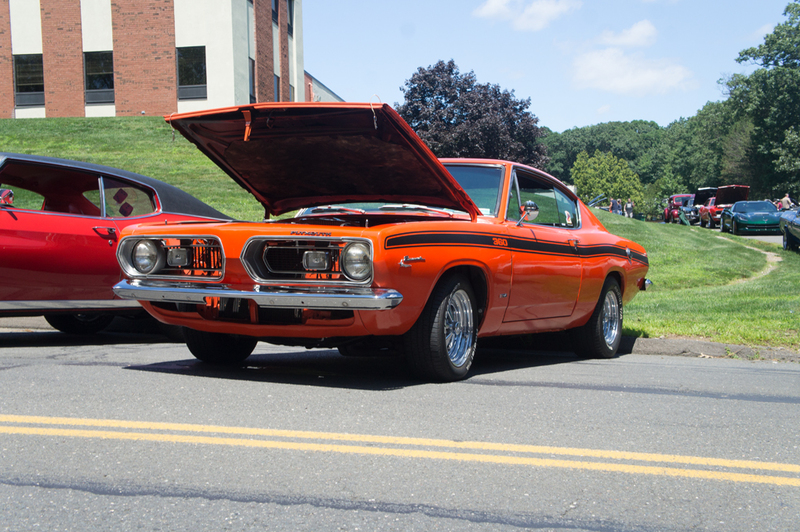 Cars had begun lining up well in advance of the show, which officially began at 8:00 a.m. Not only were there lots of local Ground Up customers who came out to show off their cars, but many also took the trip from neighboring states to proudly display their cars as well. Thankfully, the great weather forecast encouraged a high show attendance, both from participants and spectators alike. 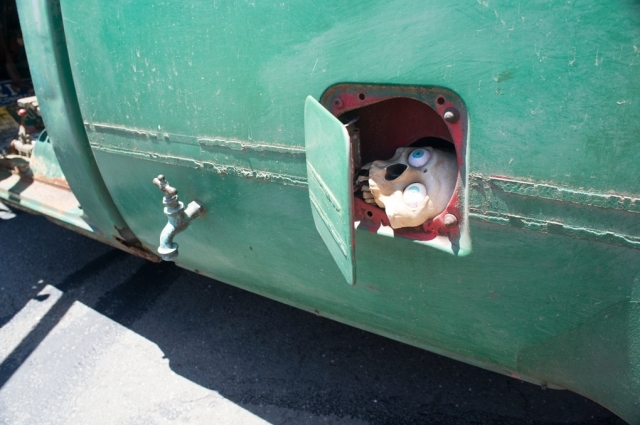 In fact, the show’s normal run time was extended an hour to 2p.m. 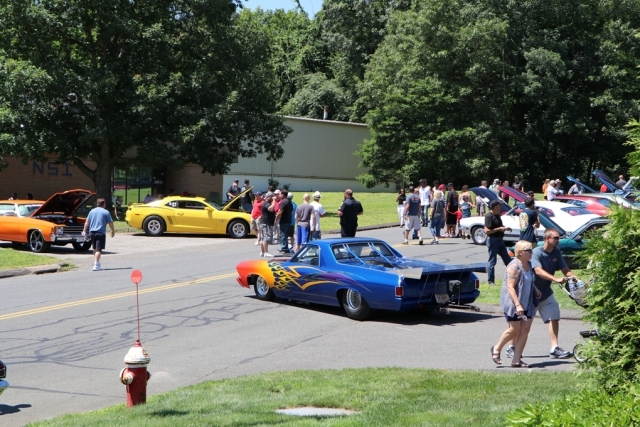 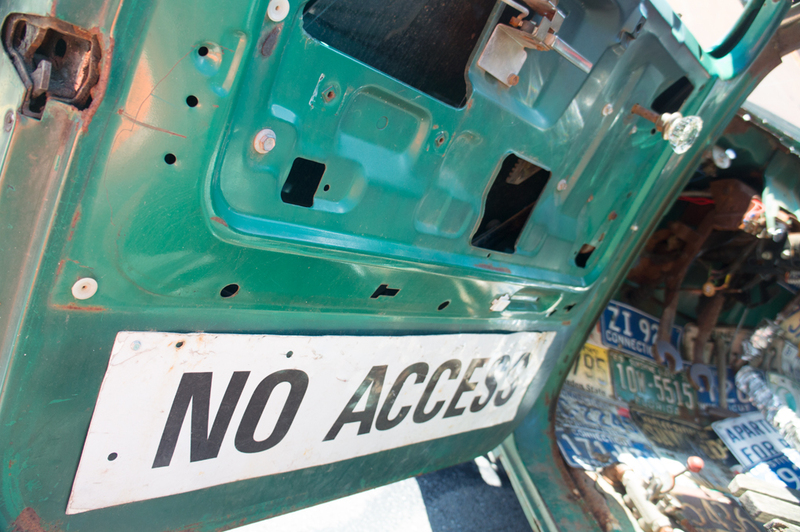 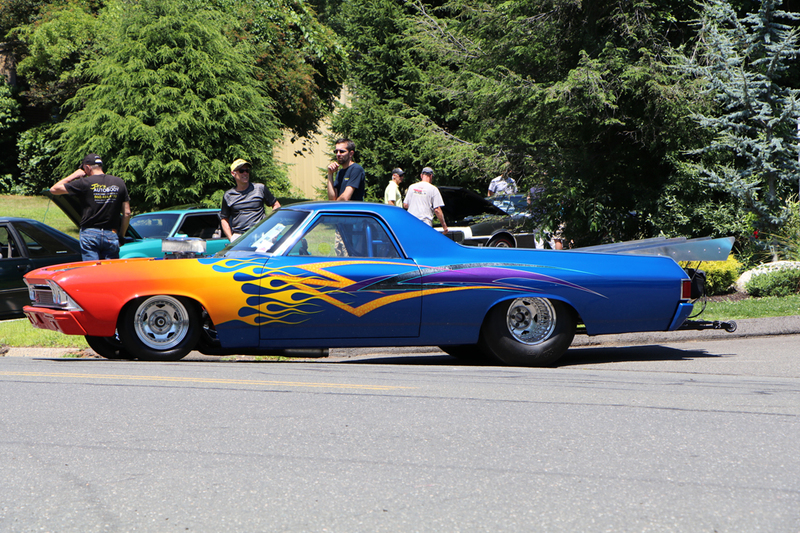 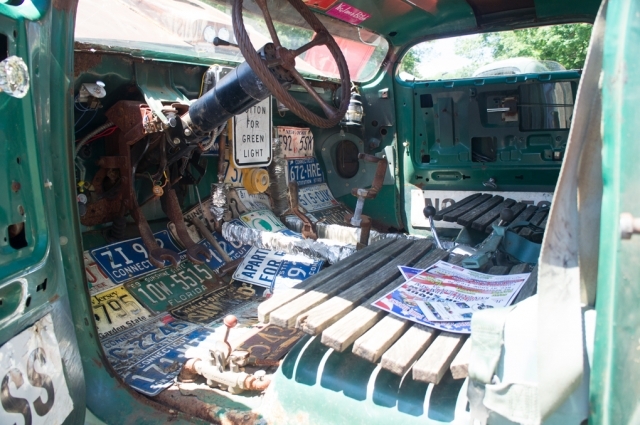 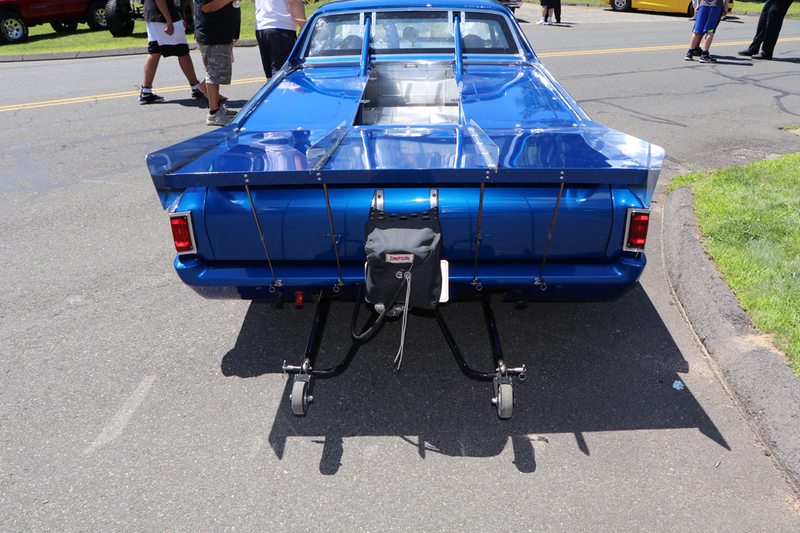 to accommodate the larger crowds this year, with over 300 show vehicles and upwards of 2,000 spectators. 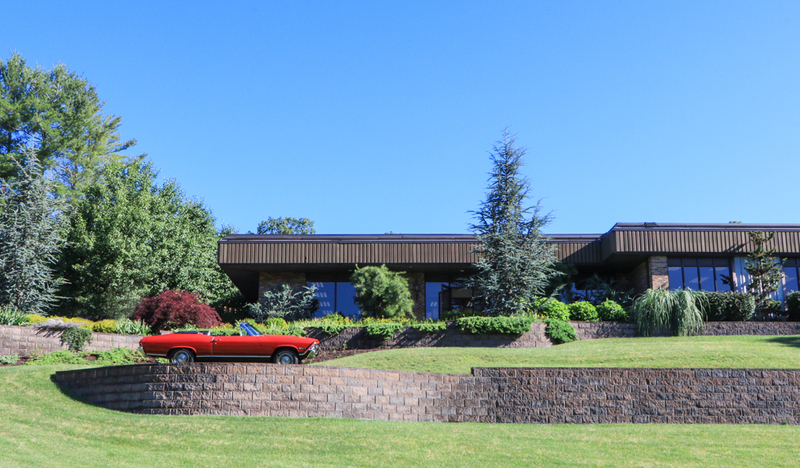 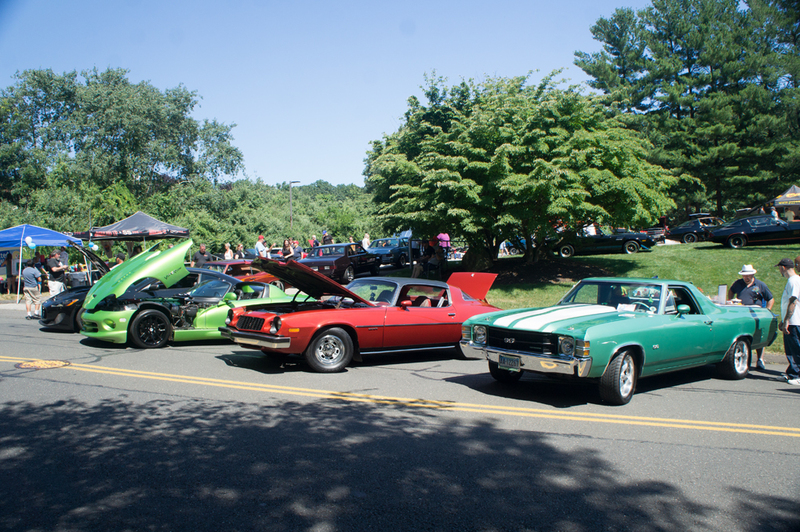 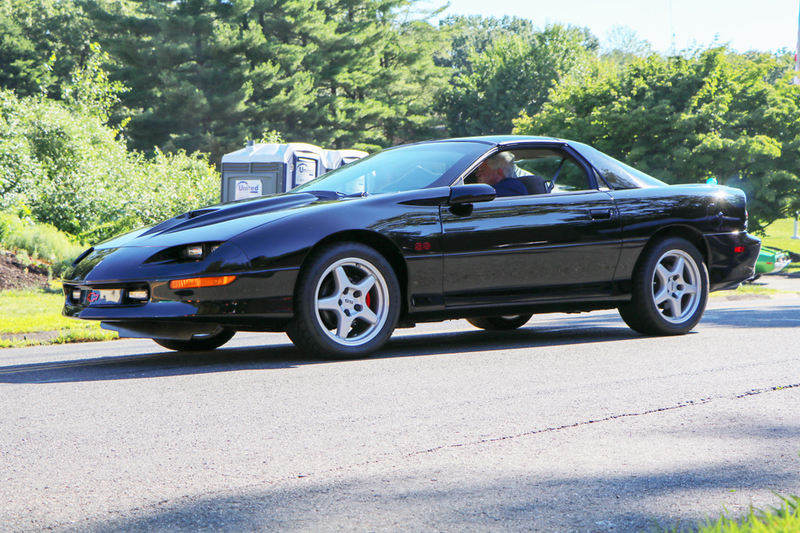 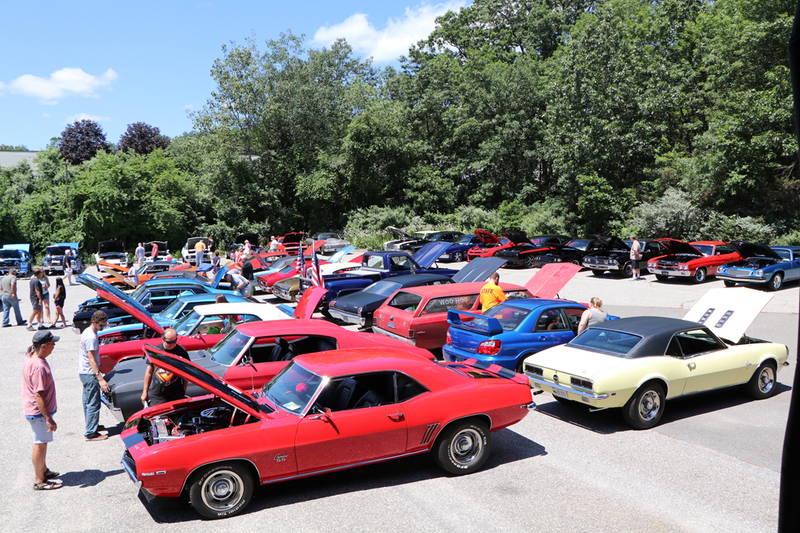 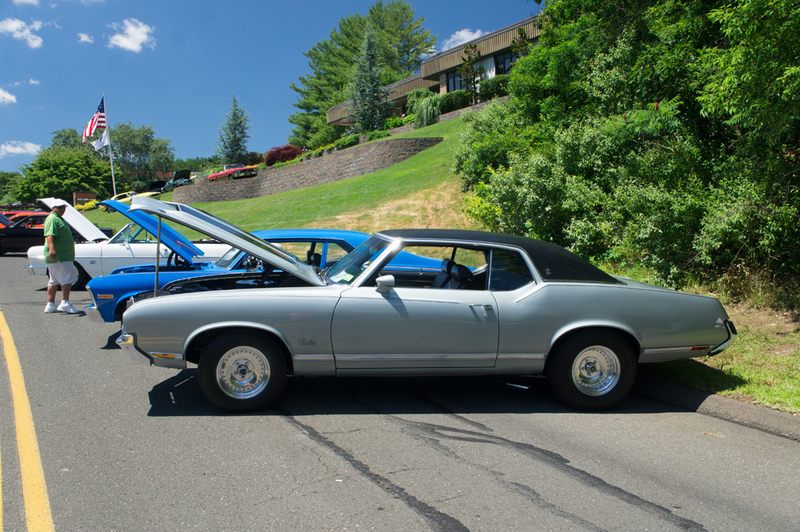 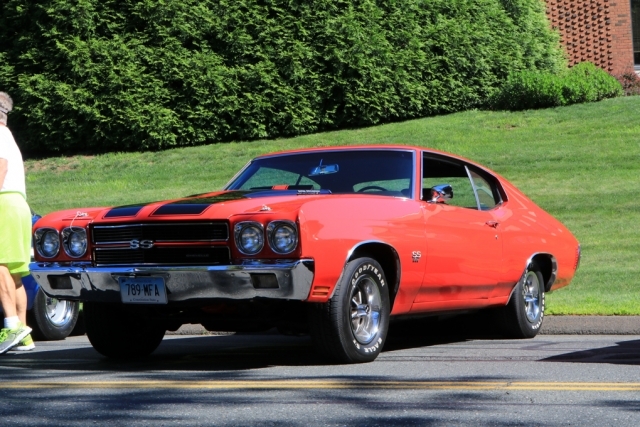 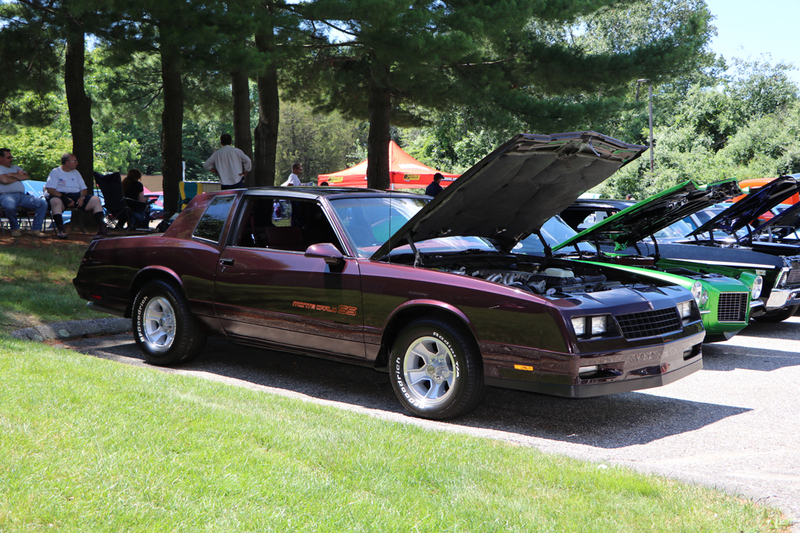 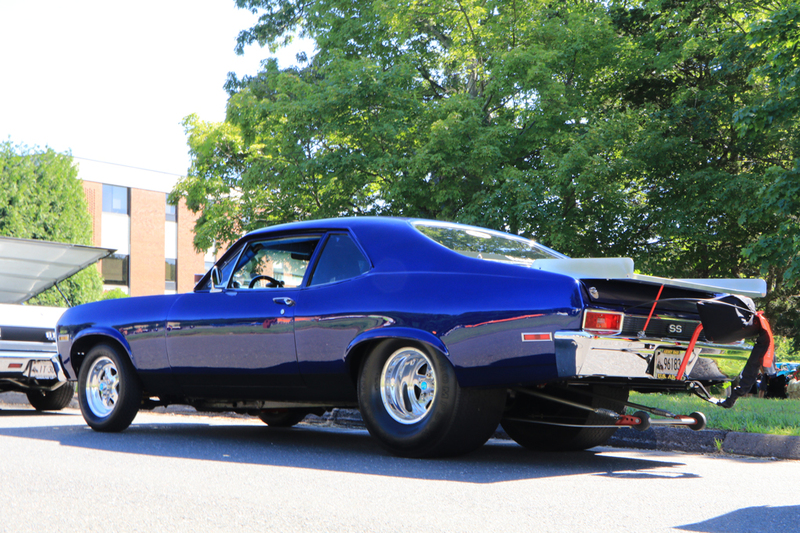 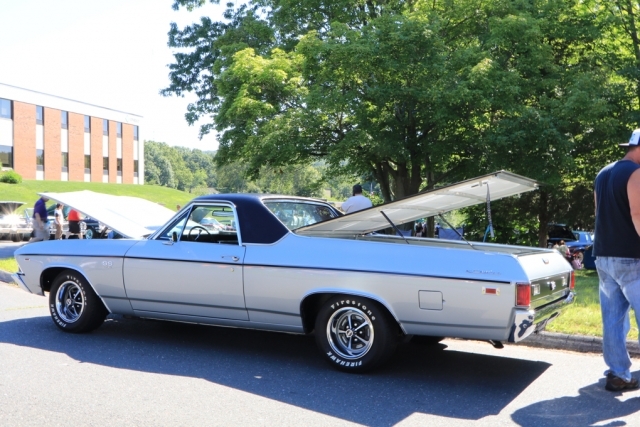 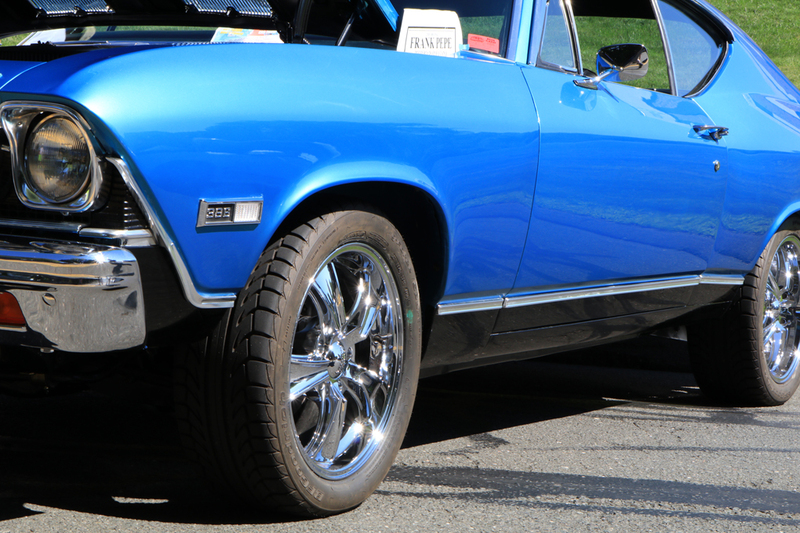 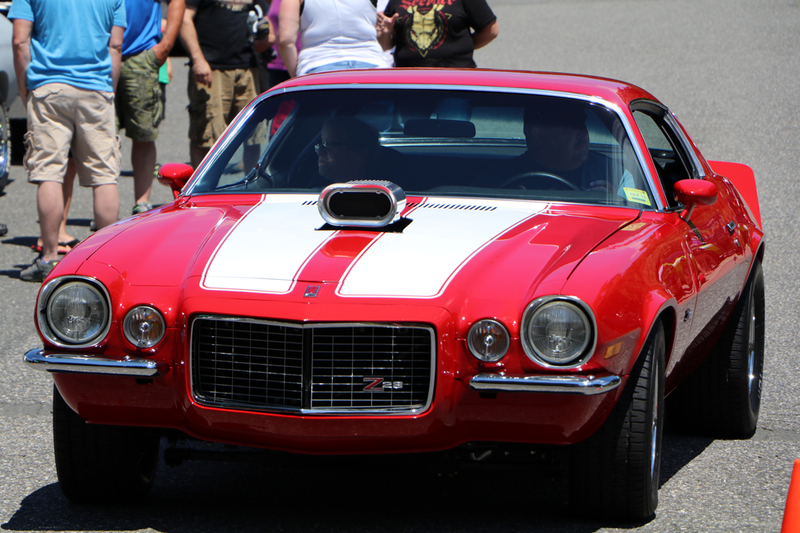 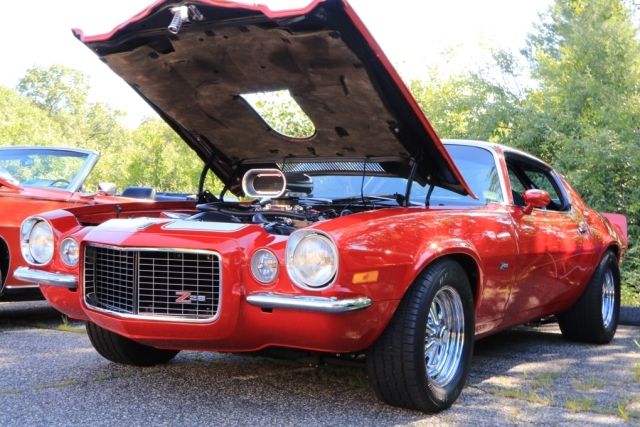 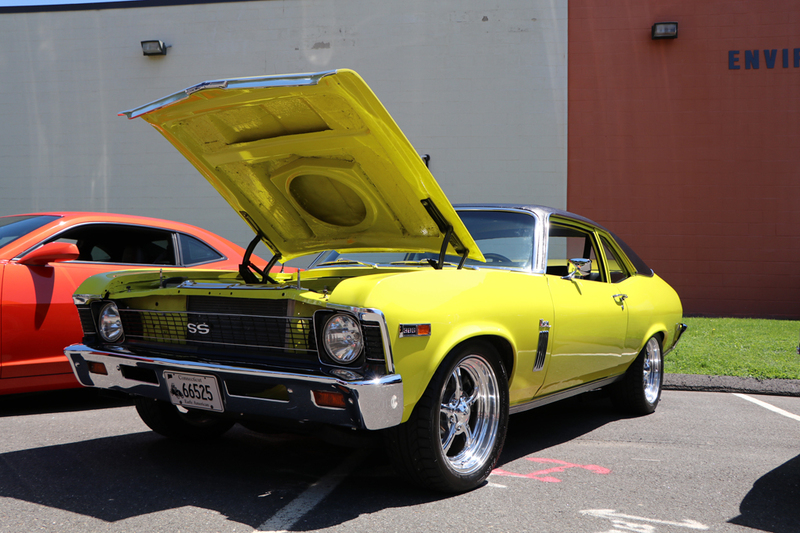 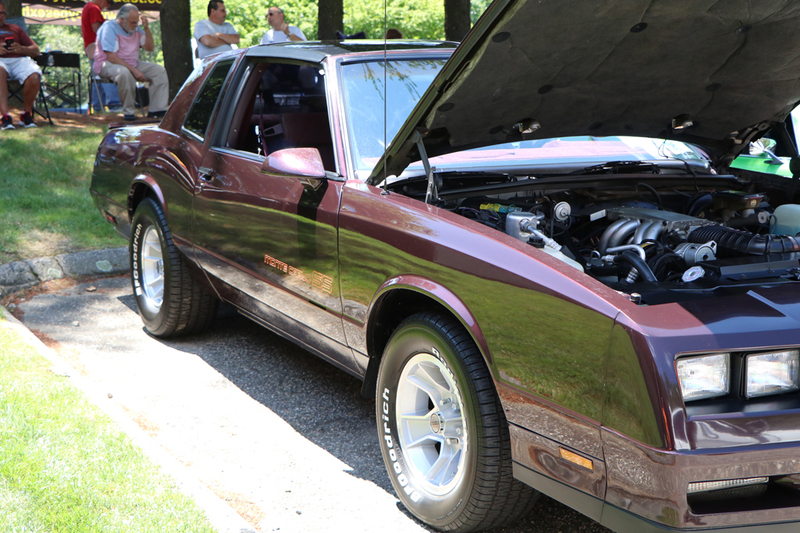 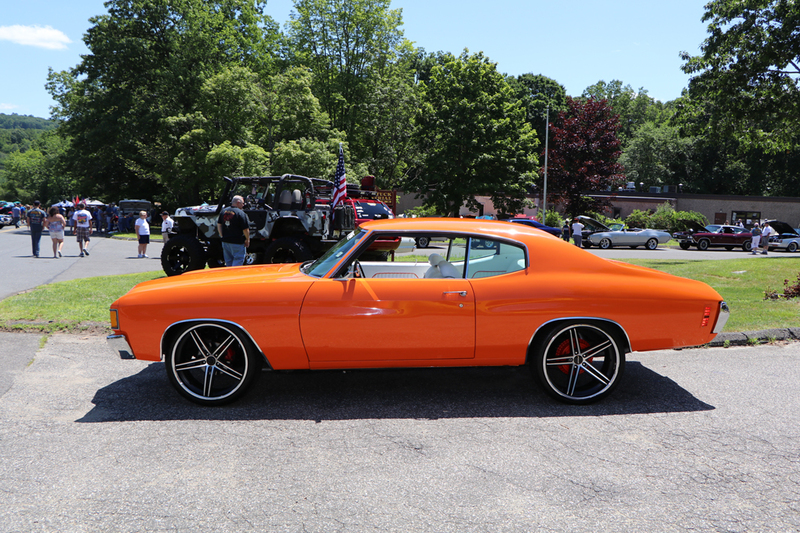 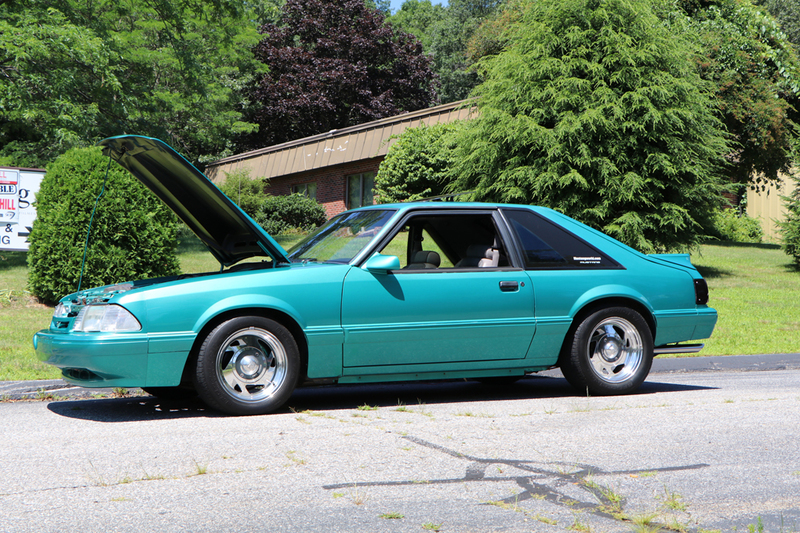 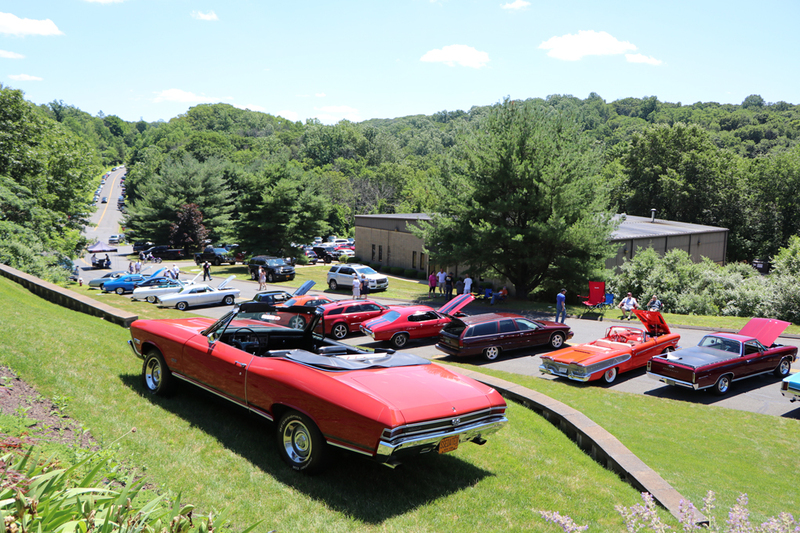 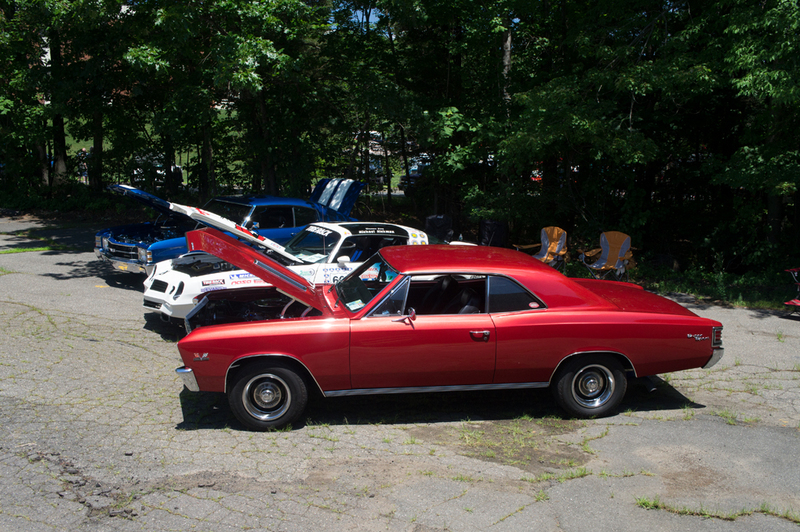 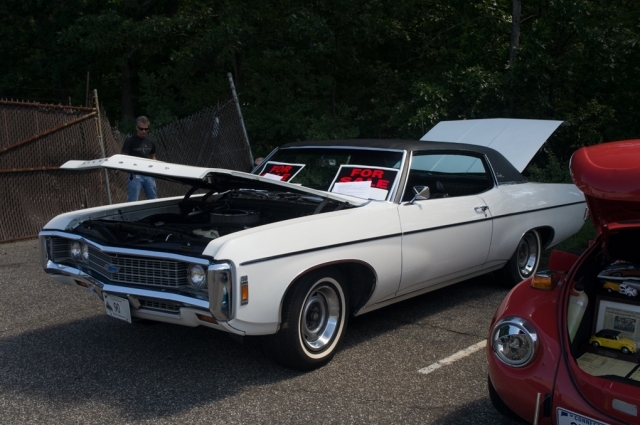 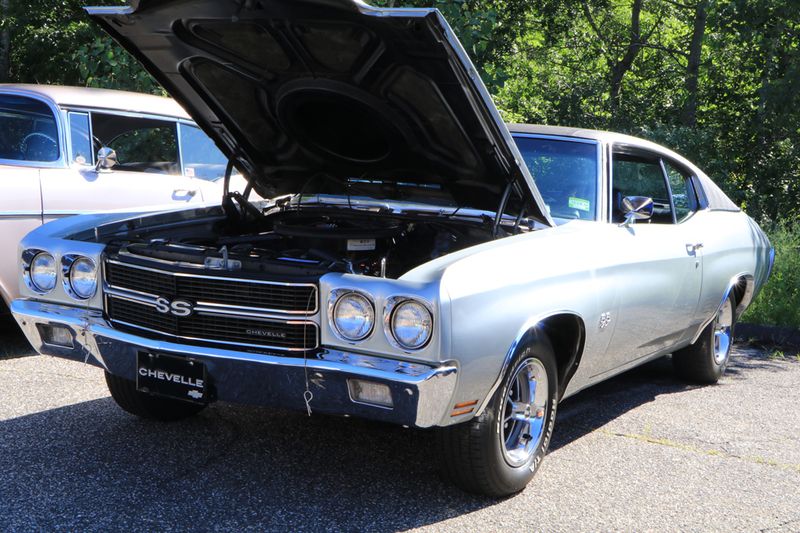 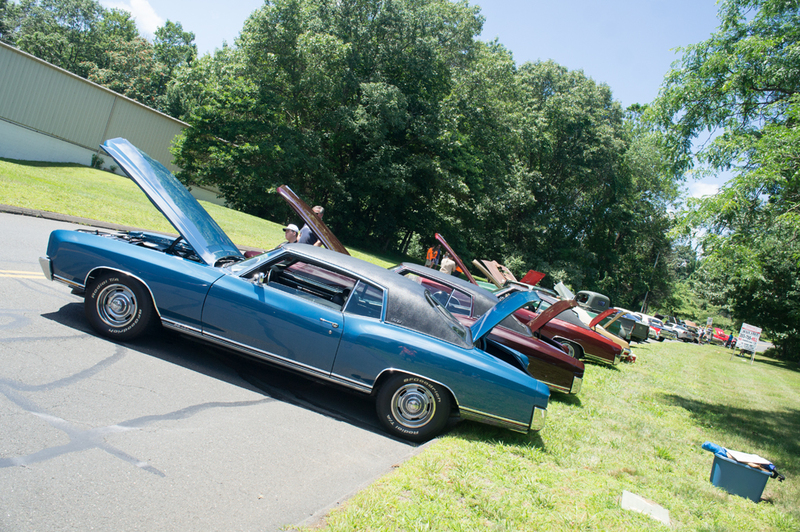 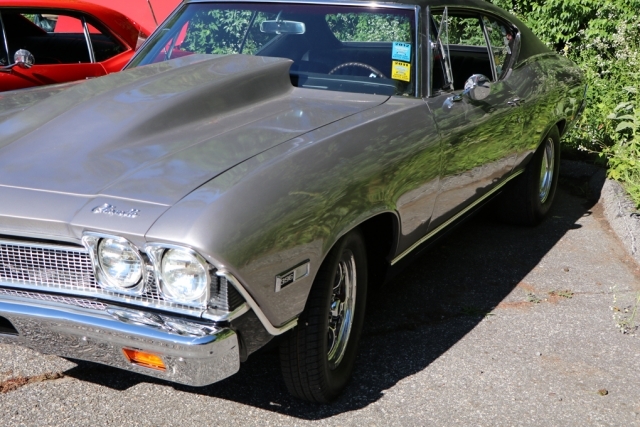 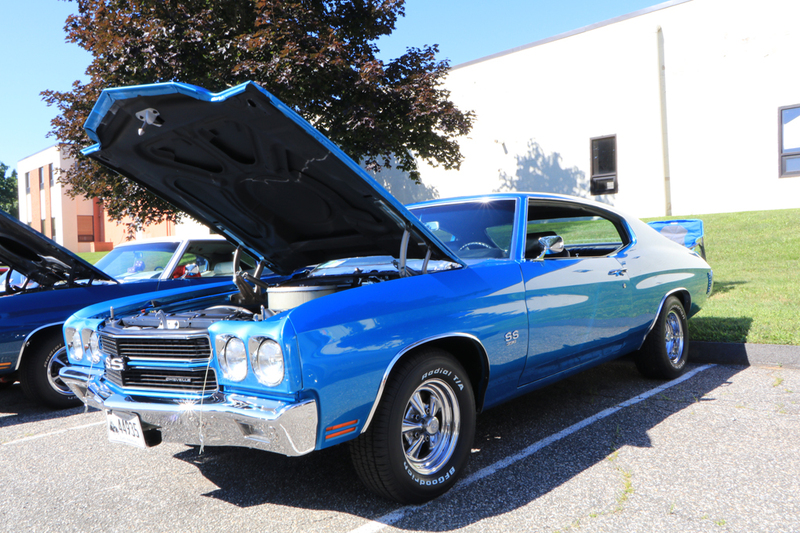 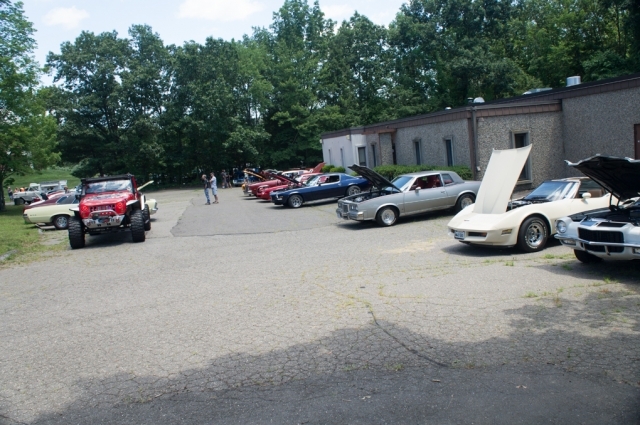 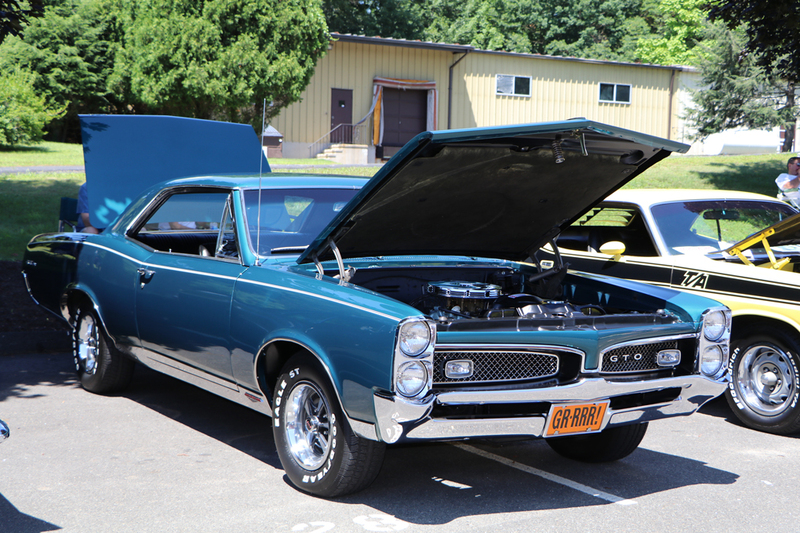 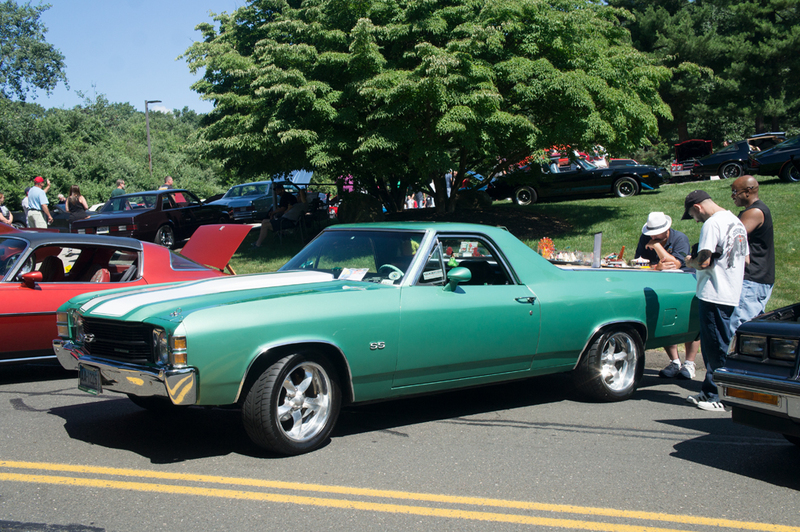 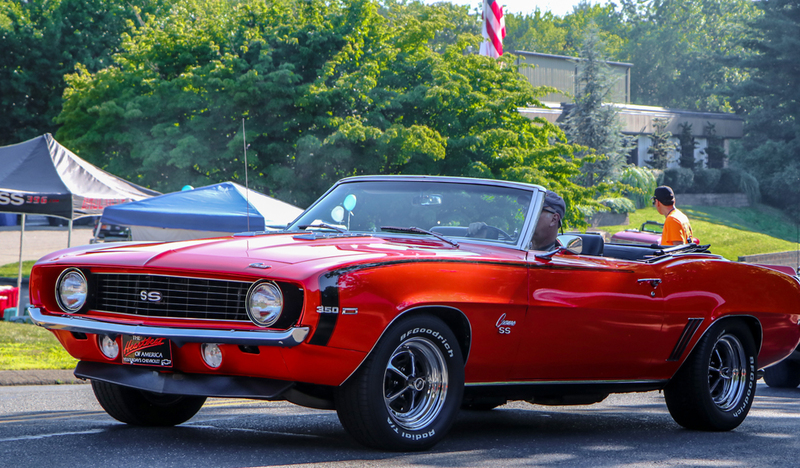 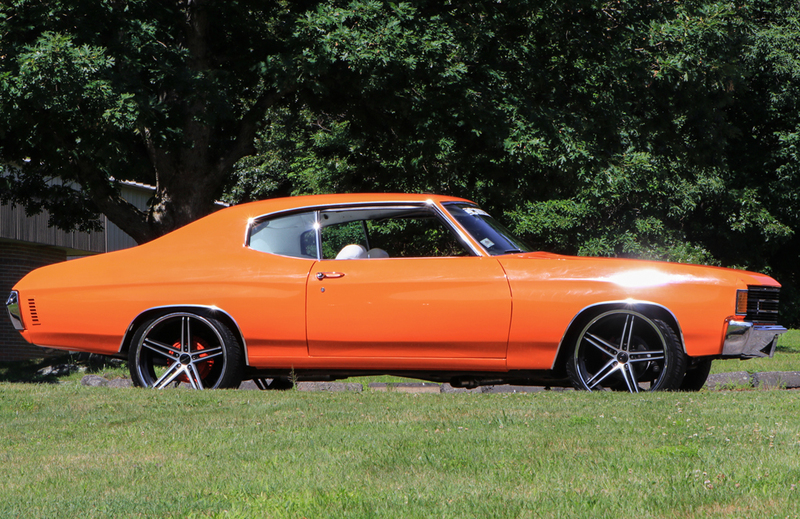 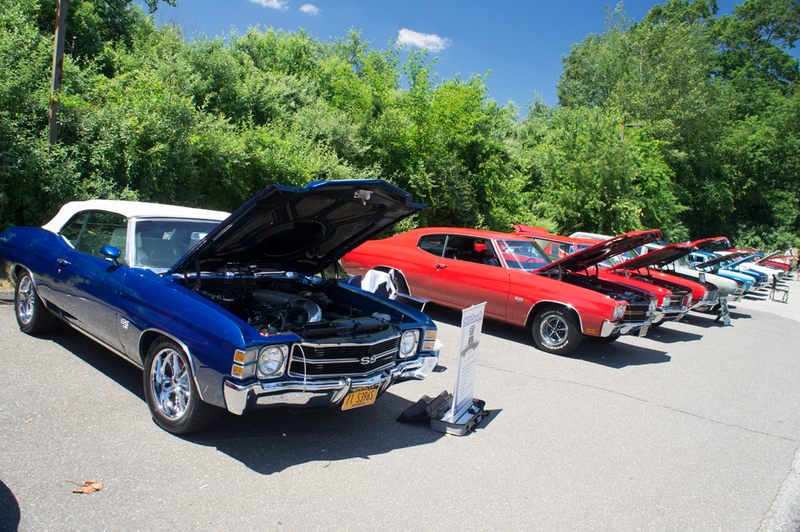 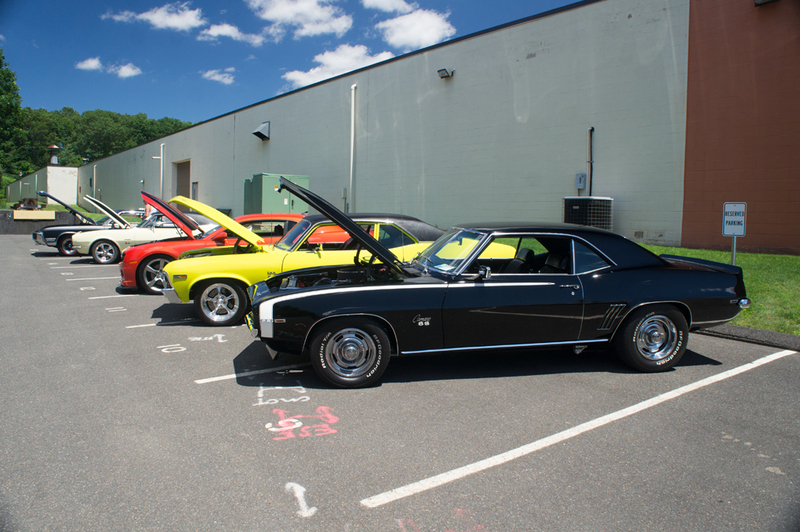 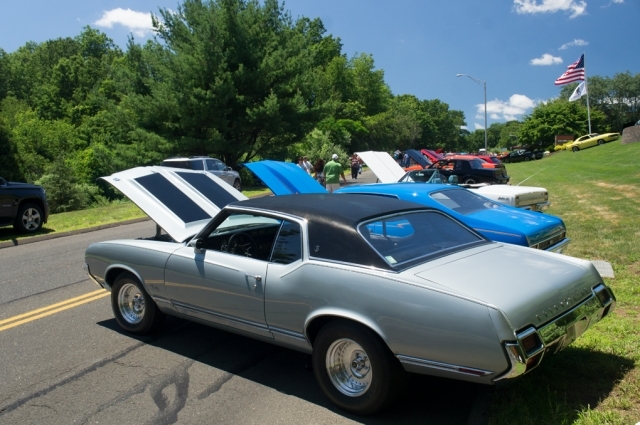 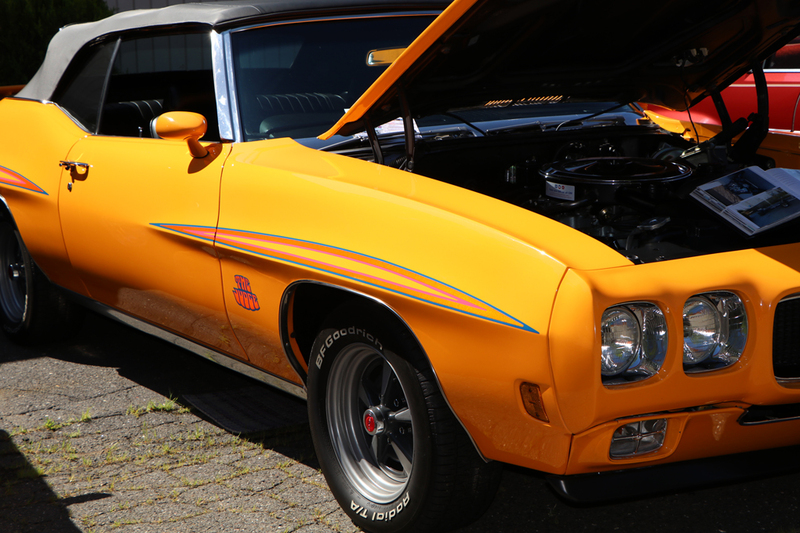 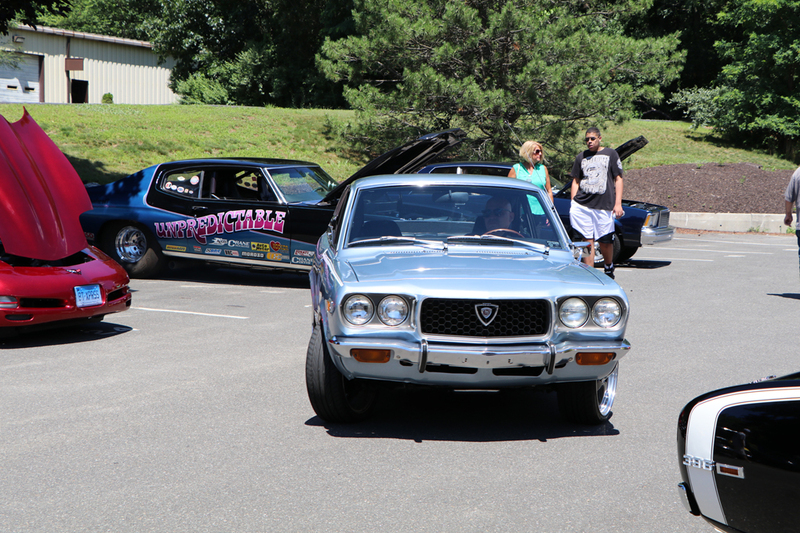 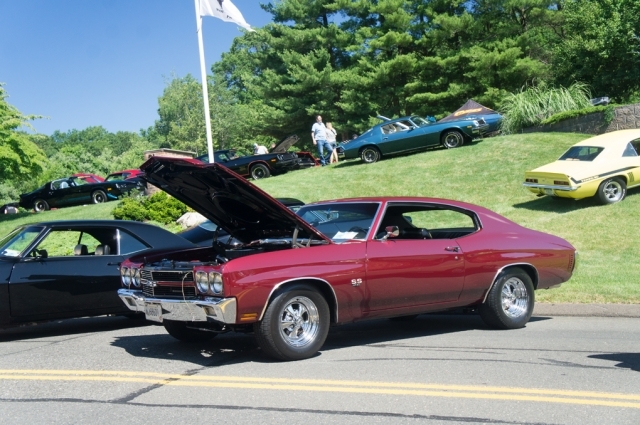 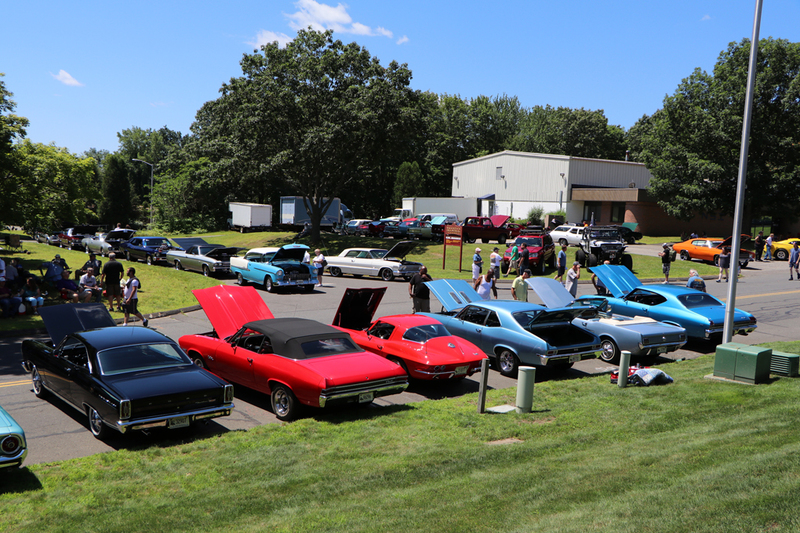 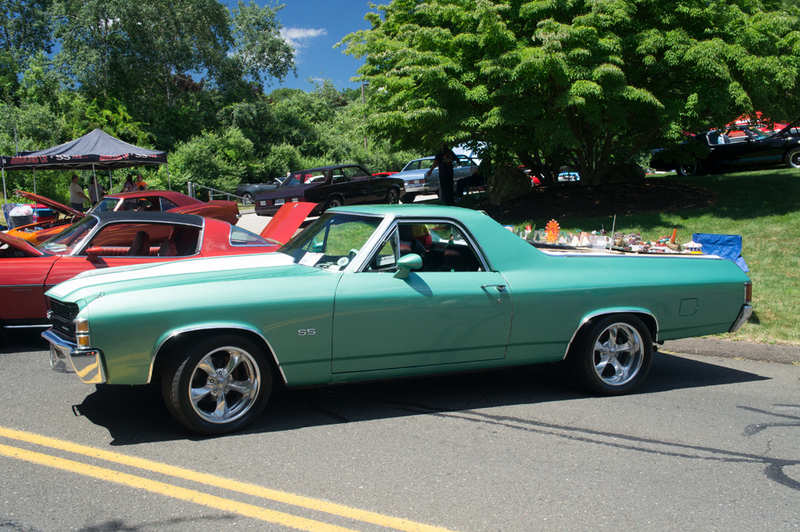 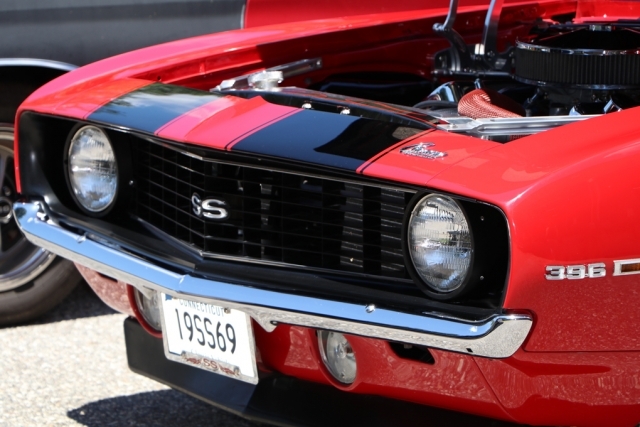 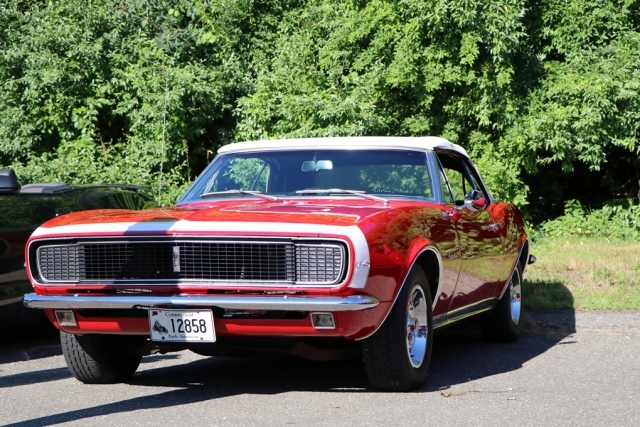 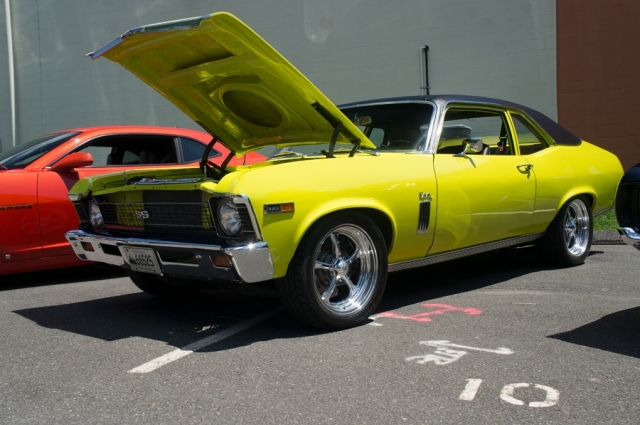 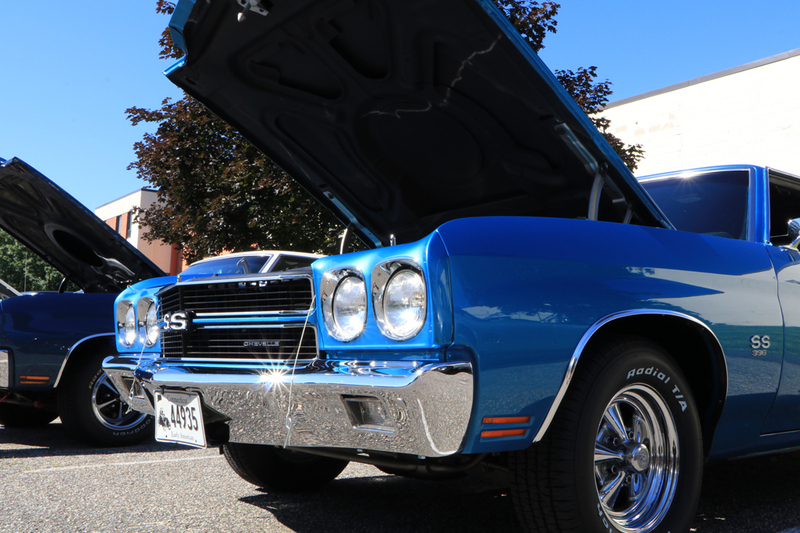 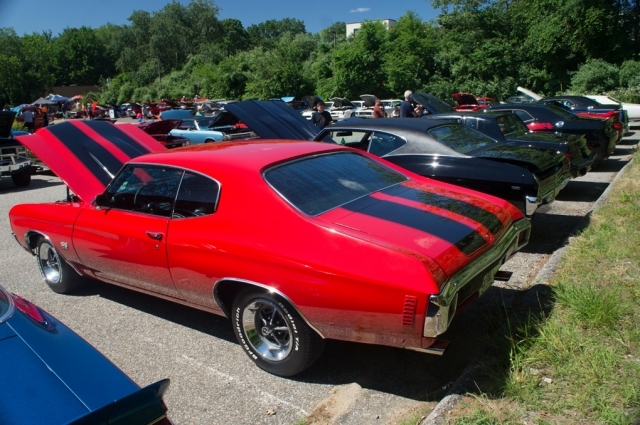 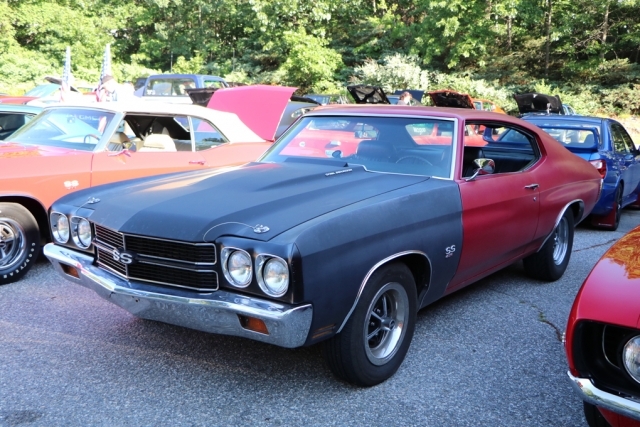 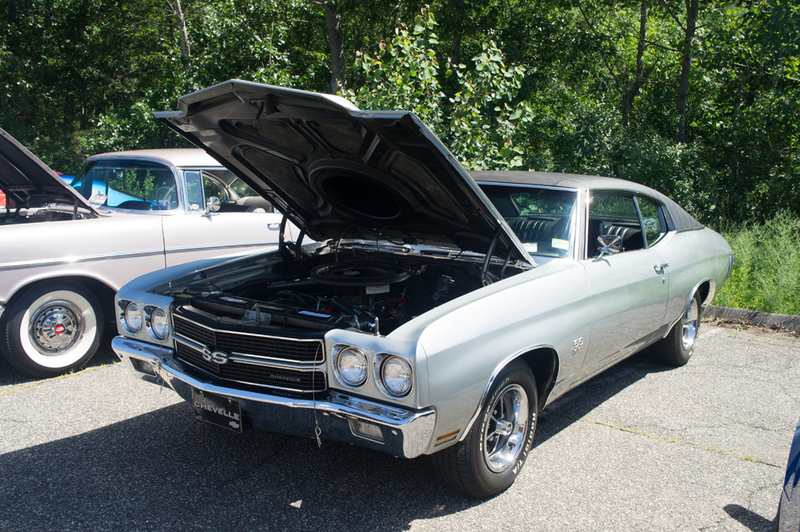 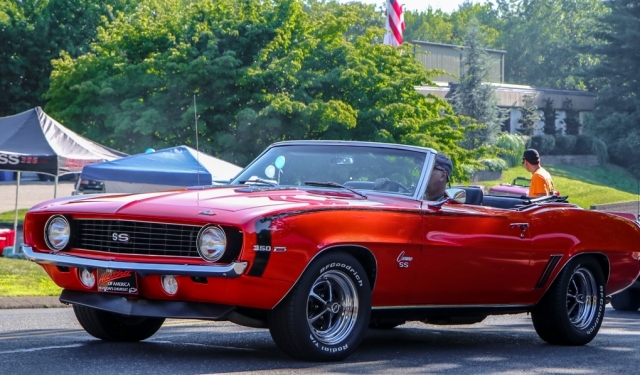 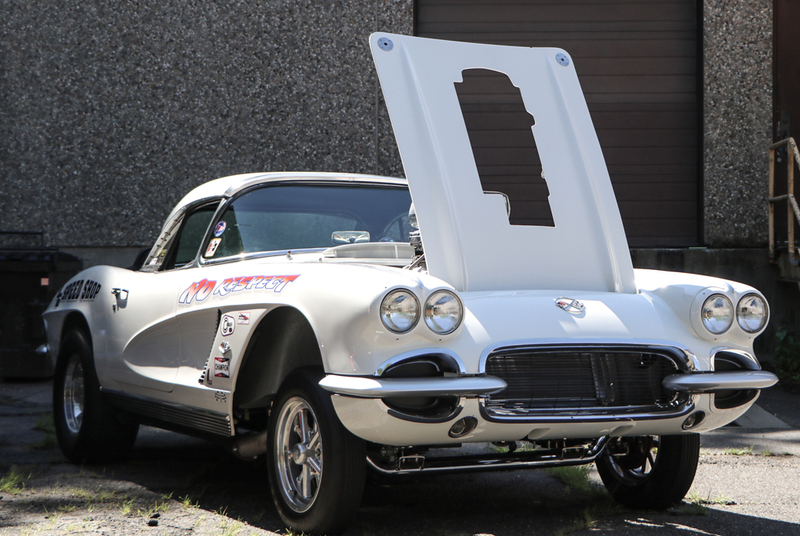 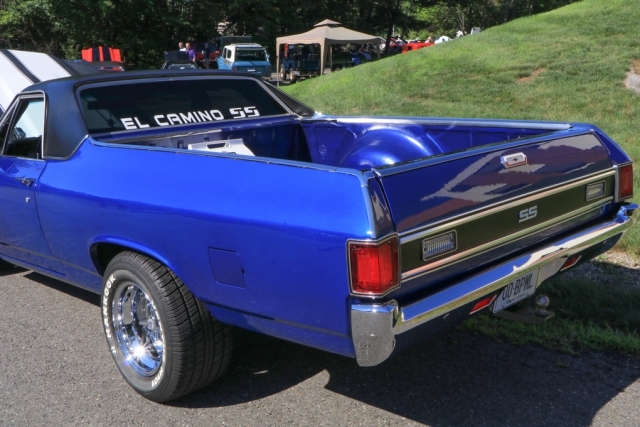 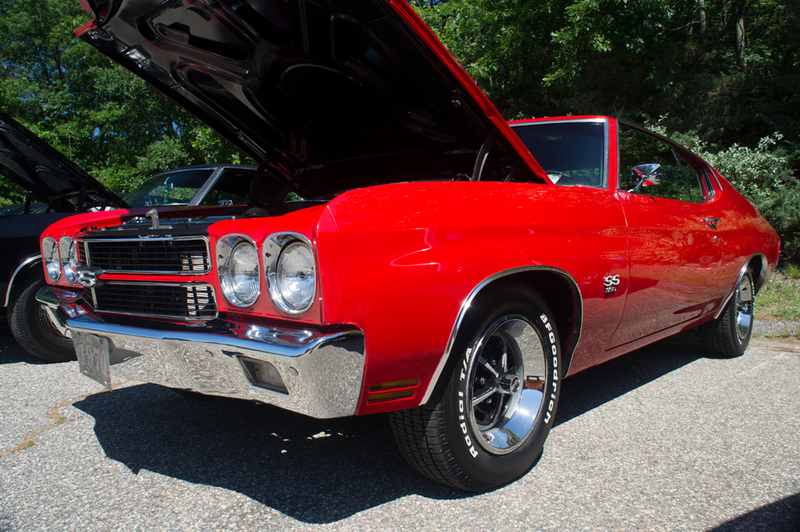 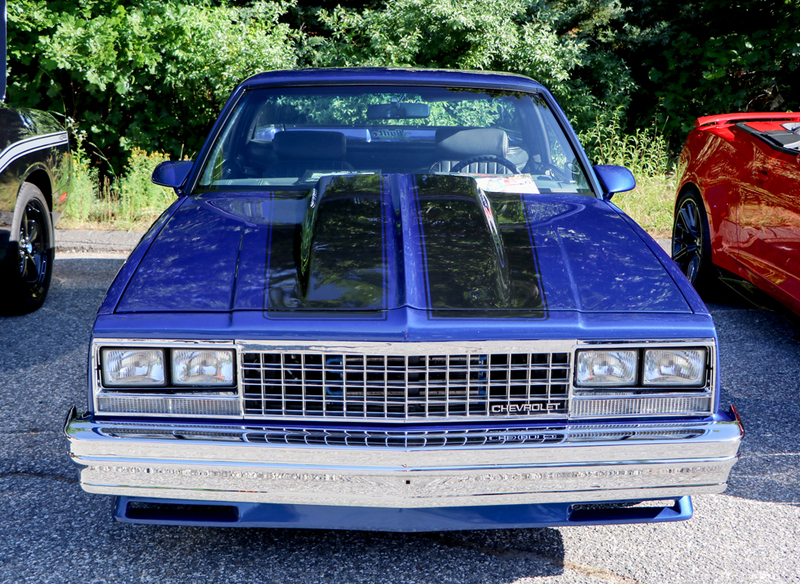 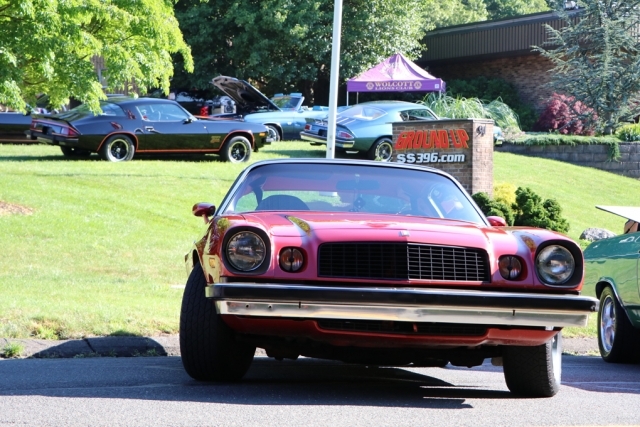 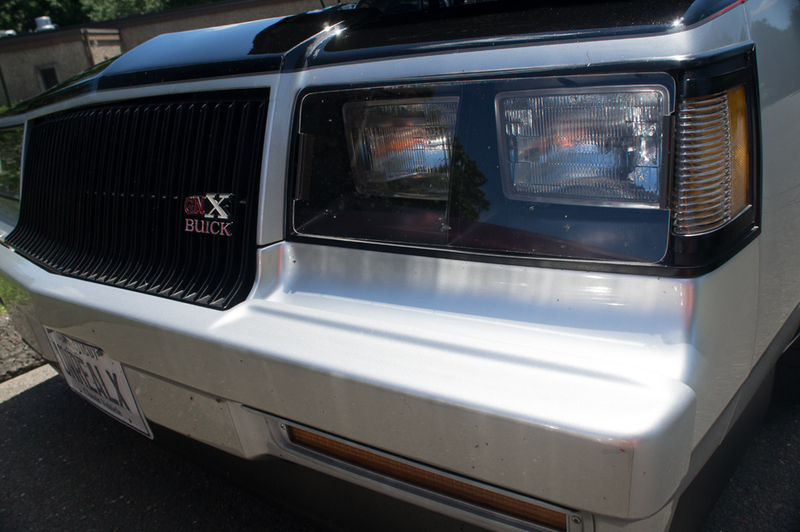 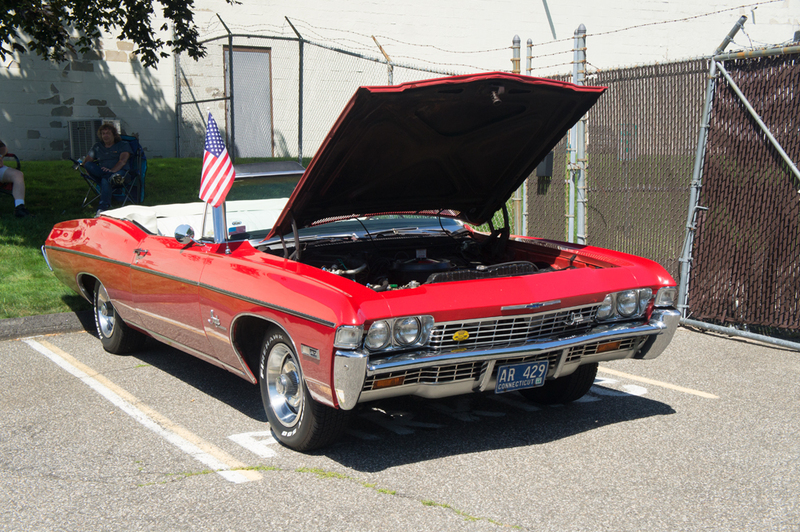 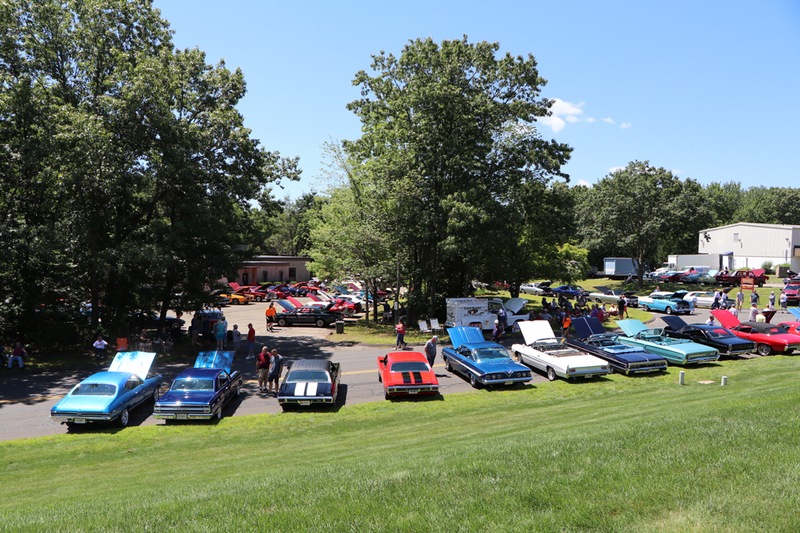 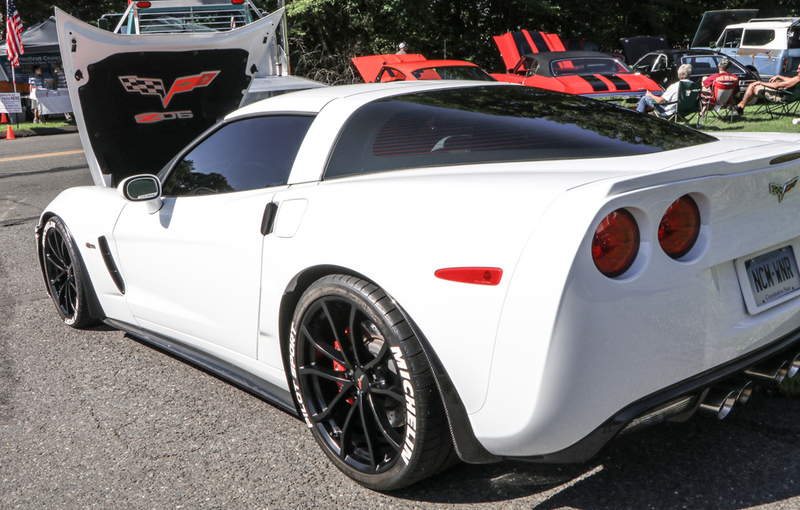 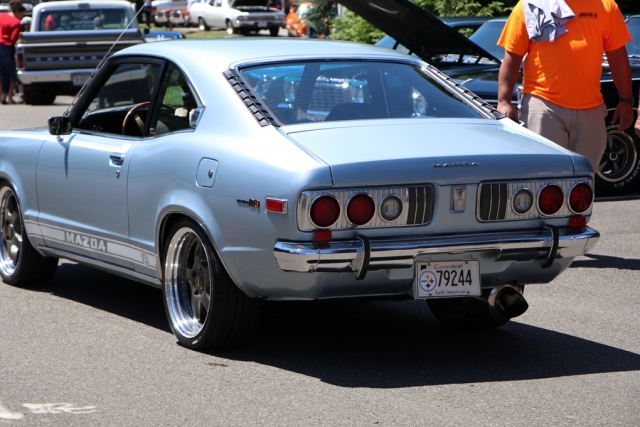 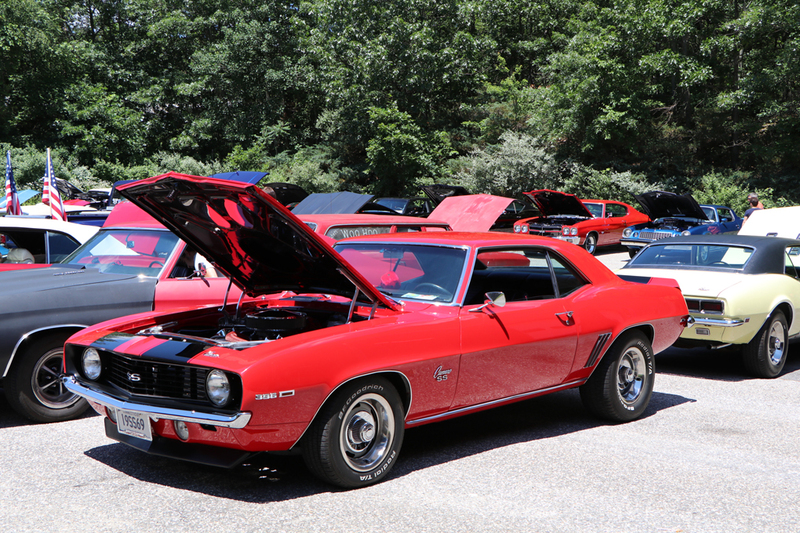 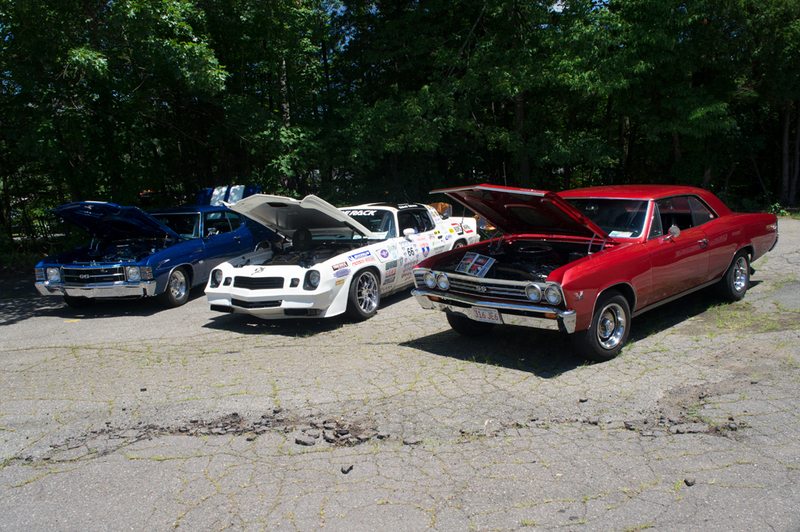 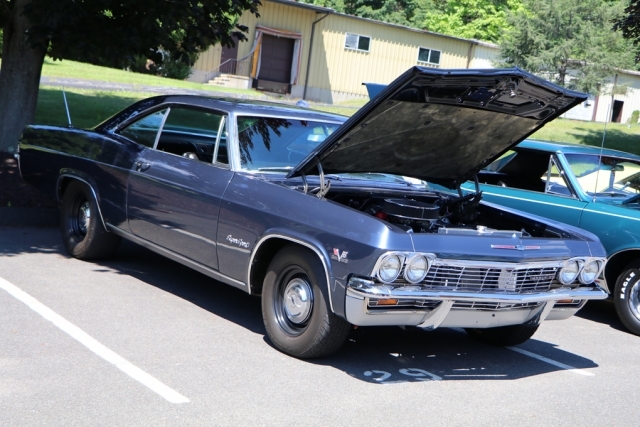 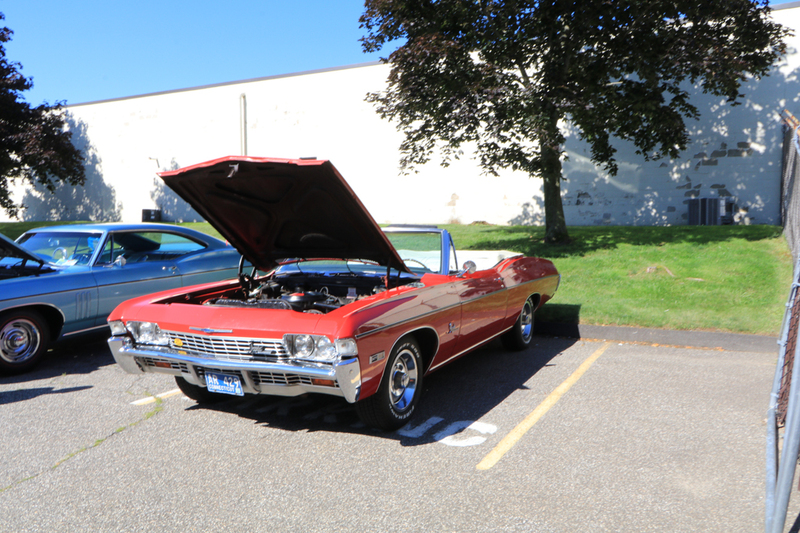 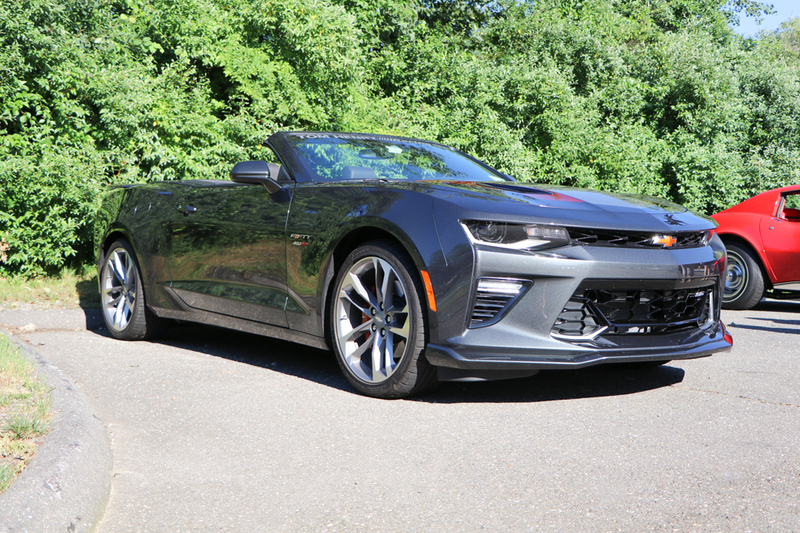 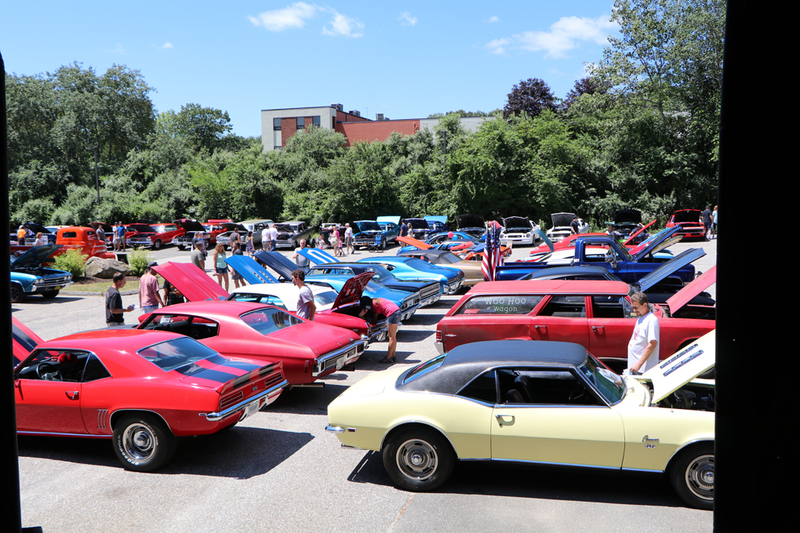 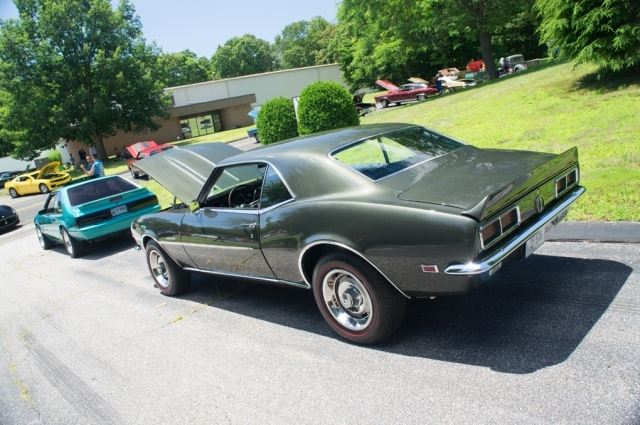 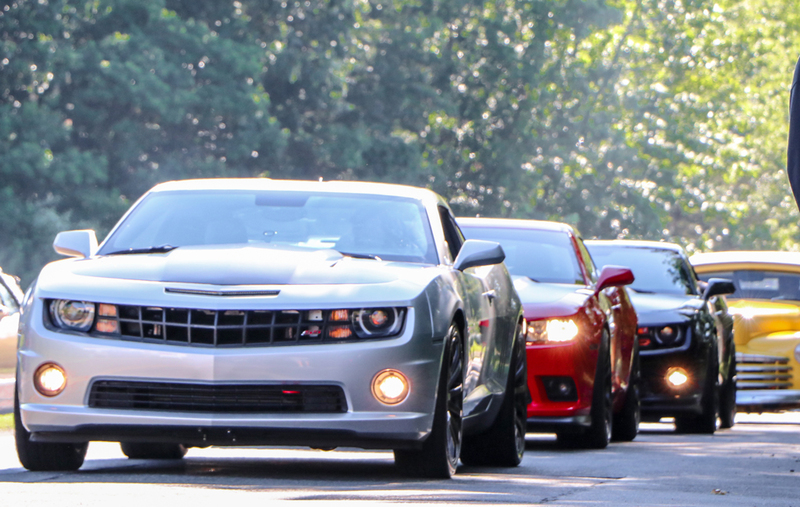 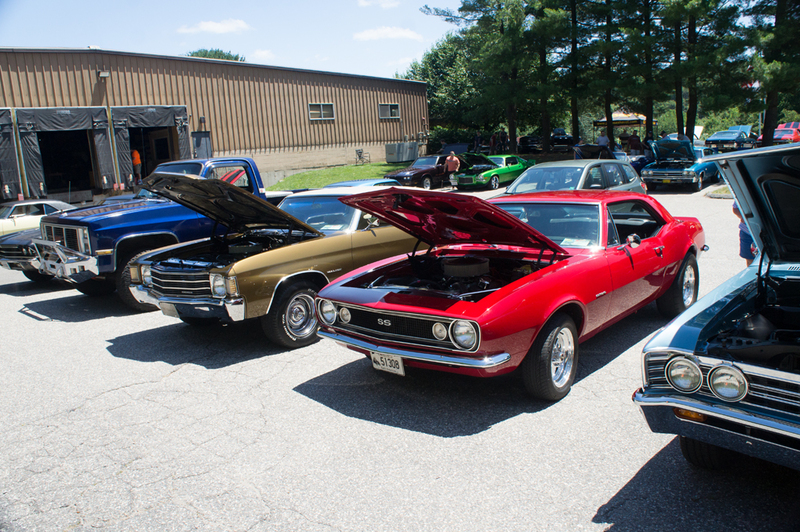 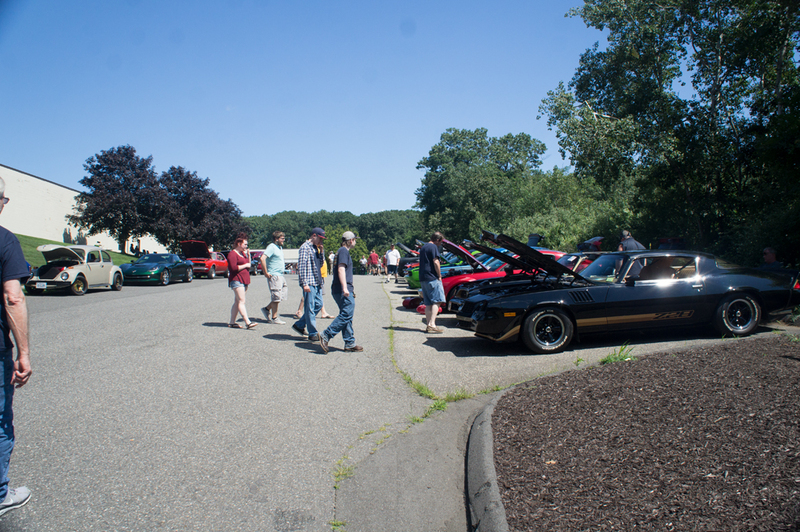 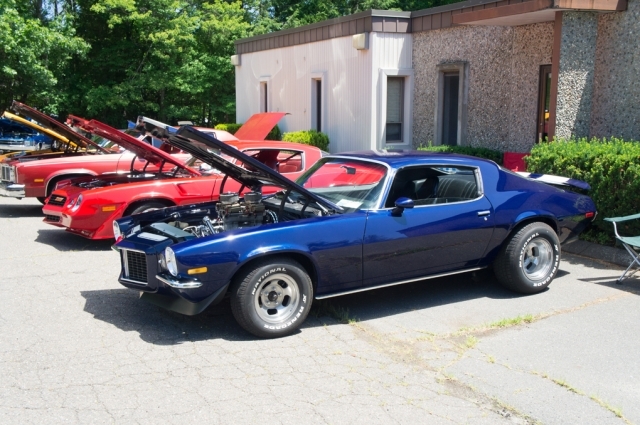 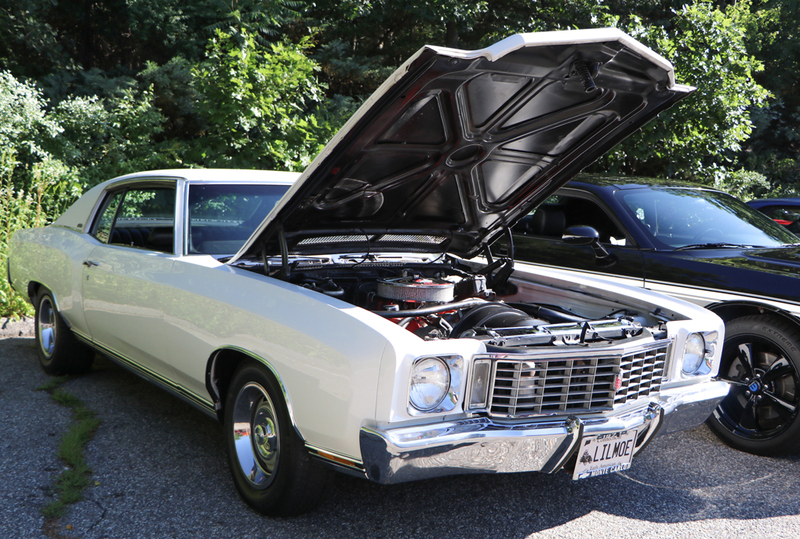 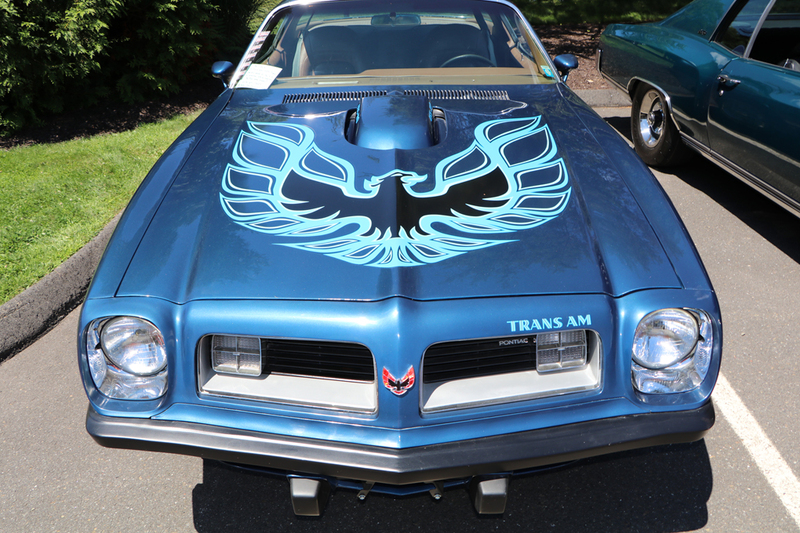 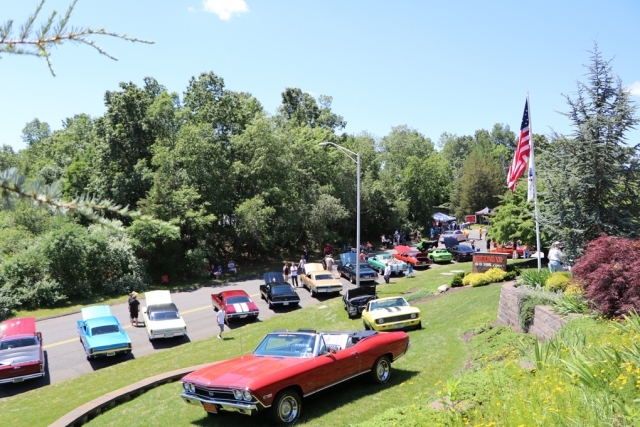 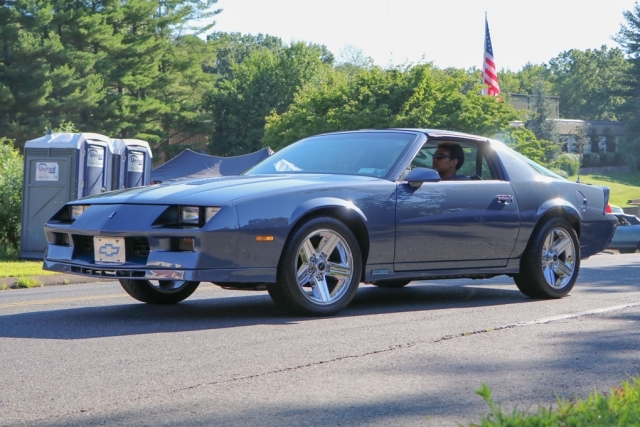 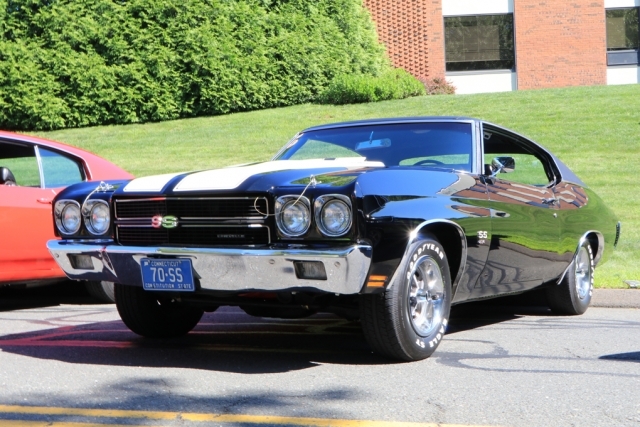 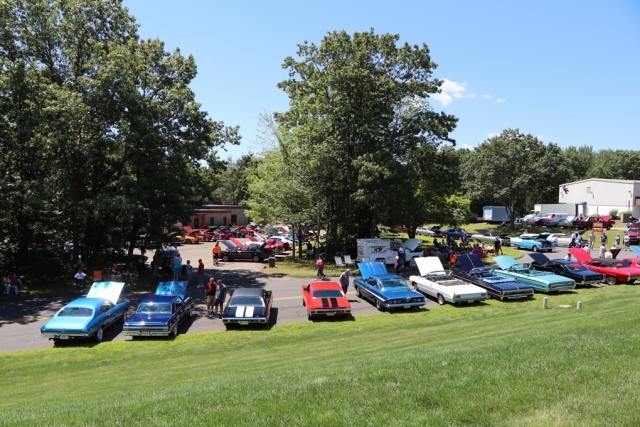 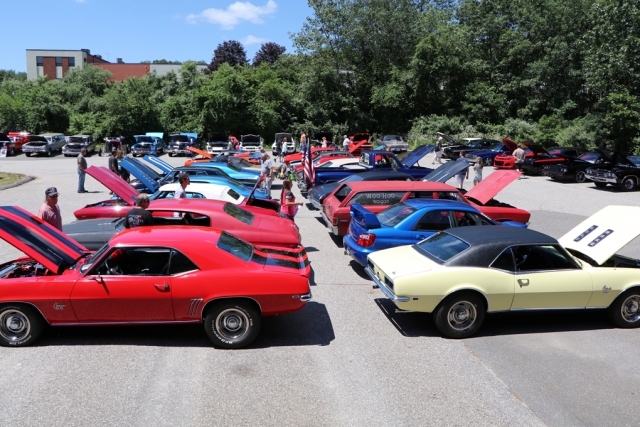 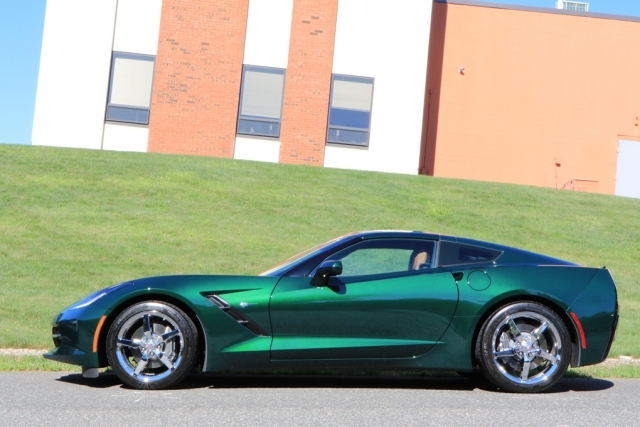 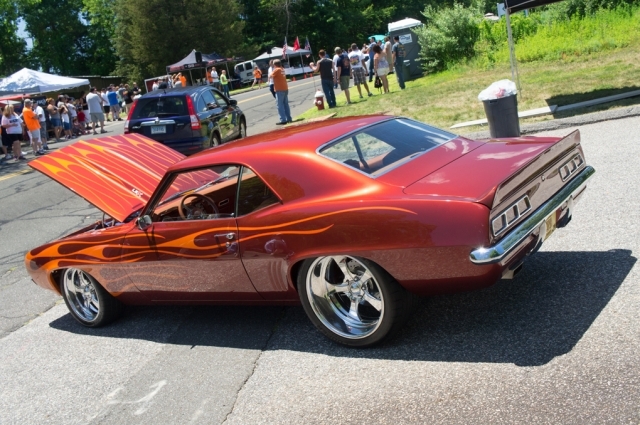 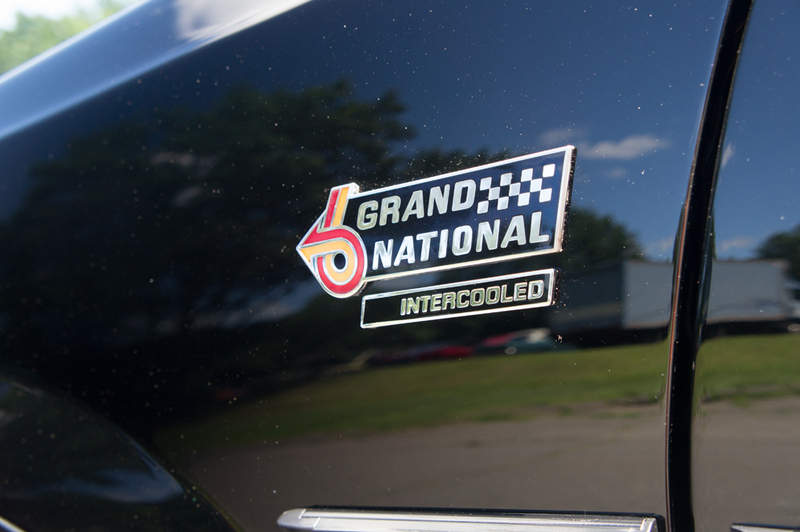 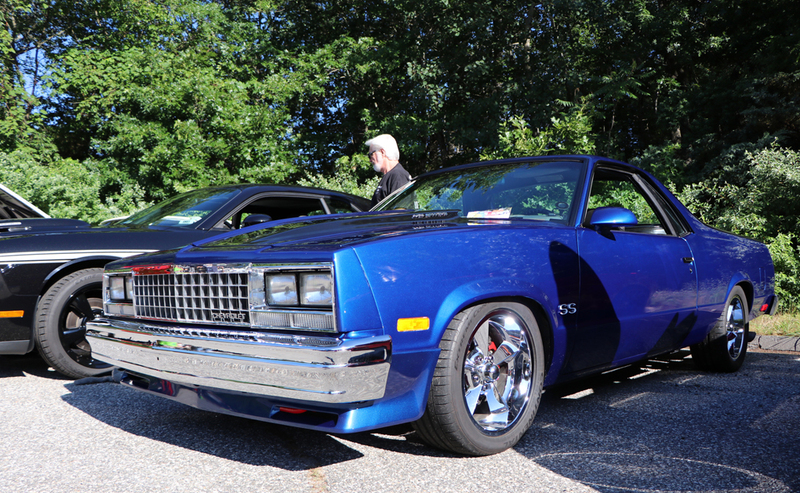 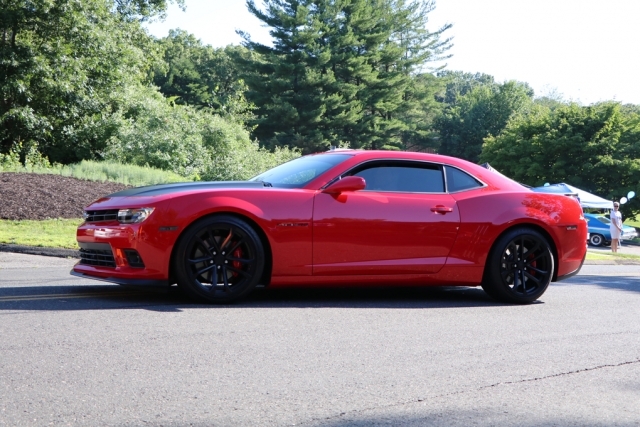 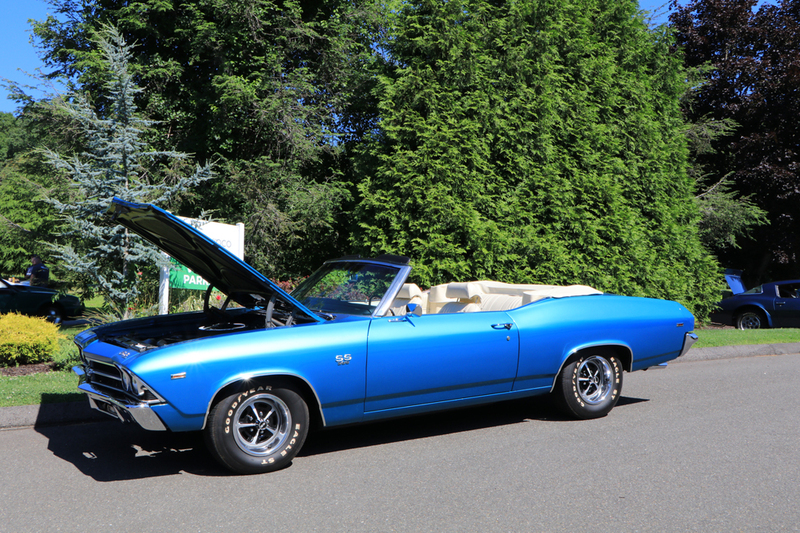 Attendees were treated to a plethora of the usual suspects: Camaros, Chevelles, Novas and El Caminos were in abundance, as were many other GM staples such as Corvettes, GTOs, 442s, Grand Nationals, Firebirds and more. 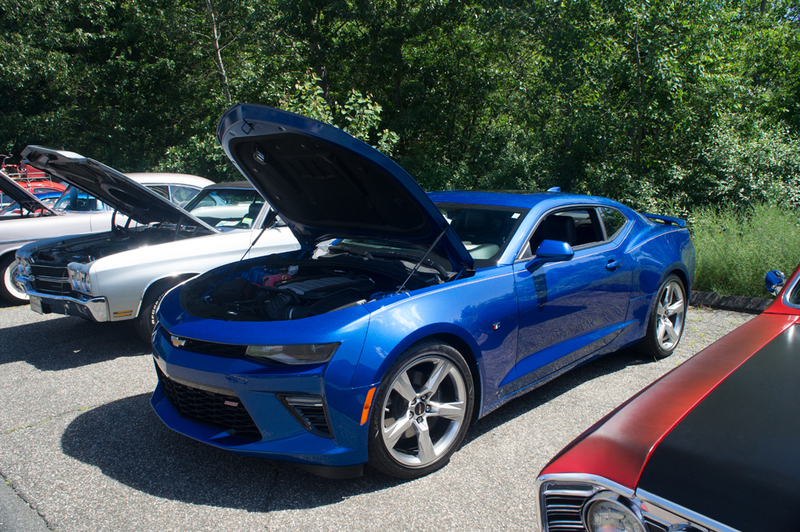 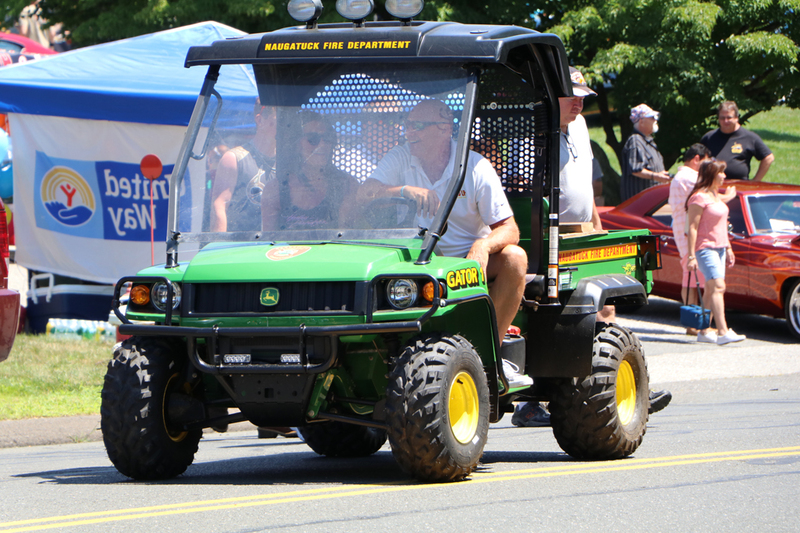 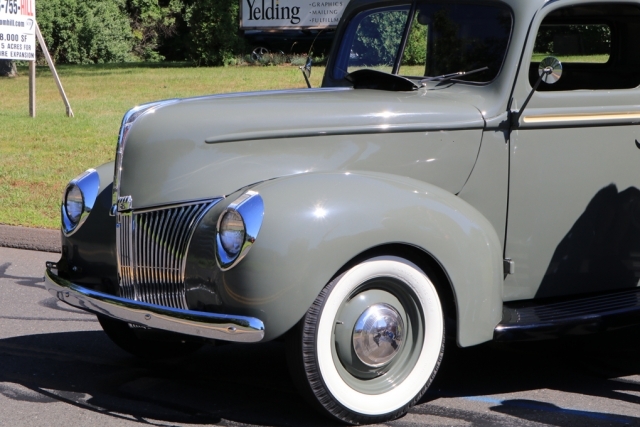 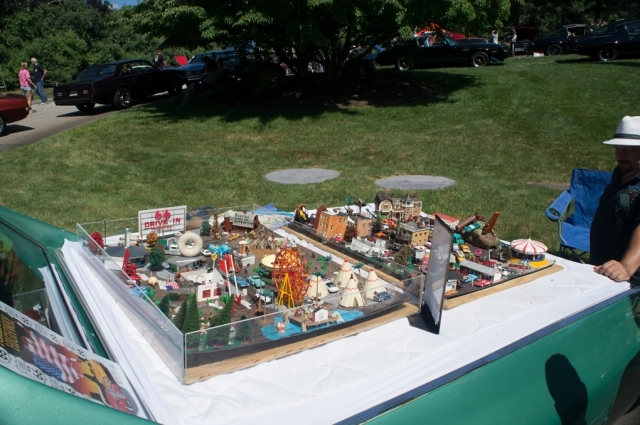 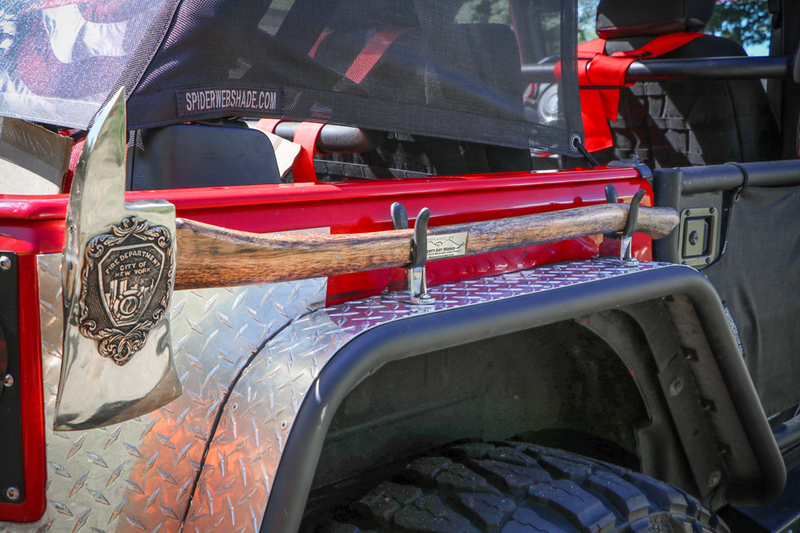 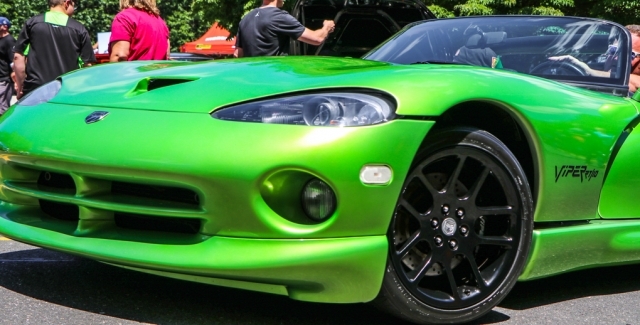 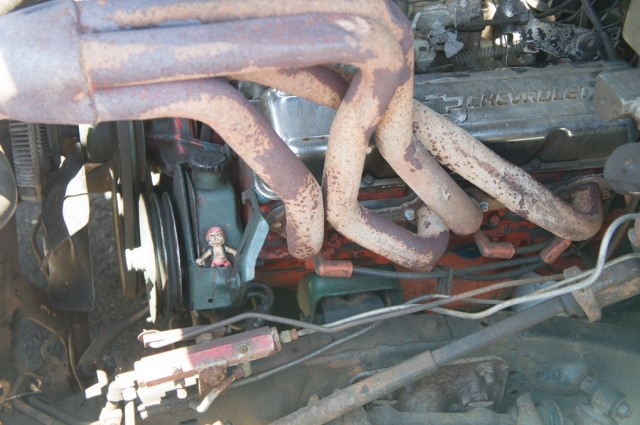 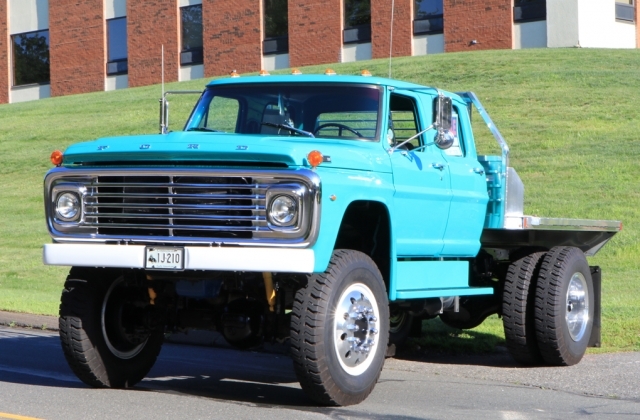 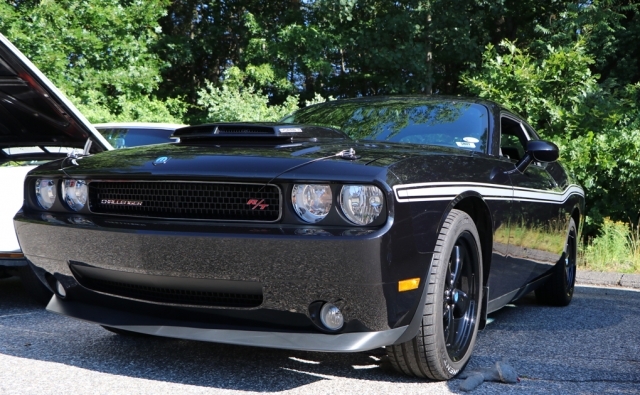 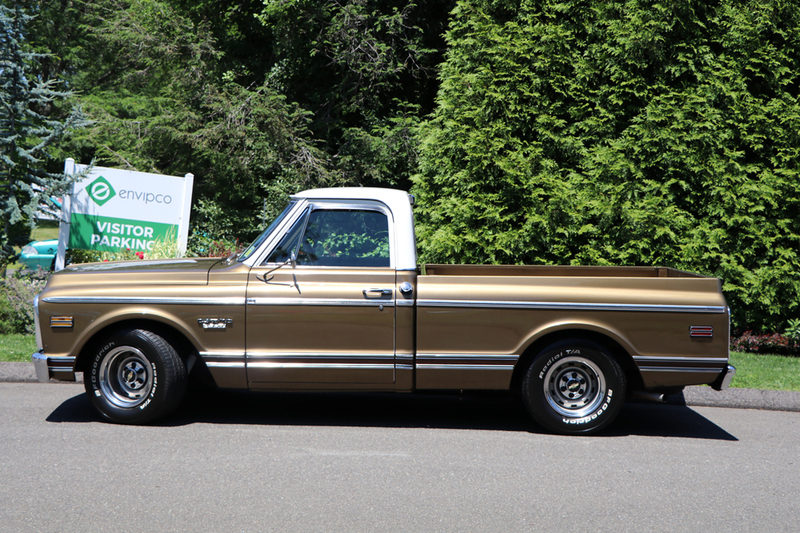 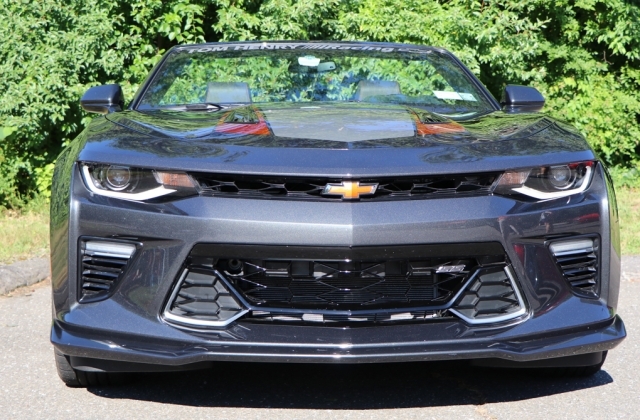 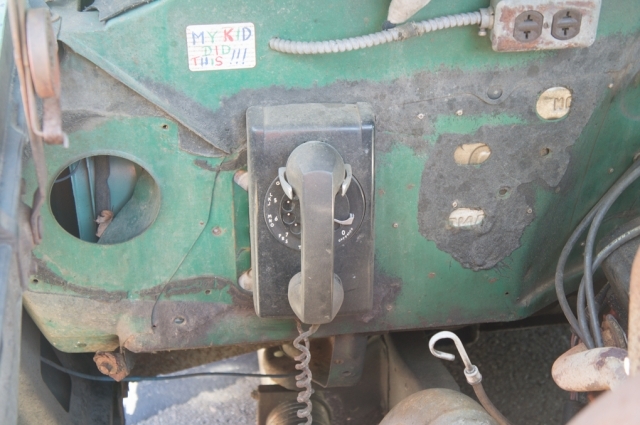 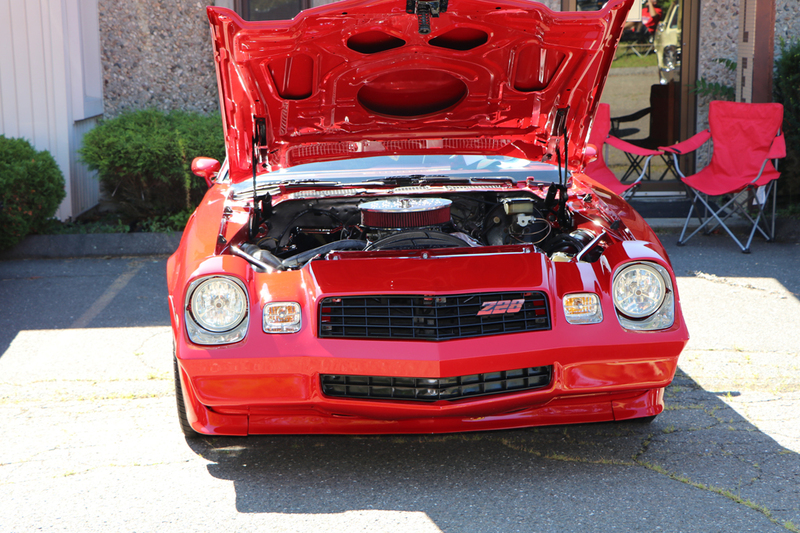 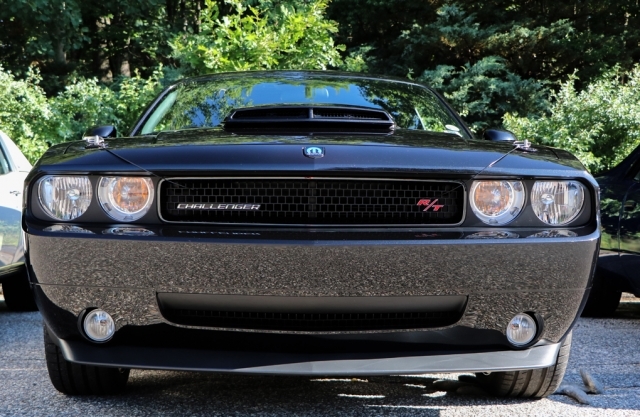 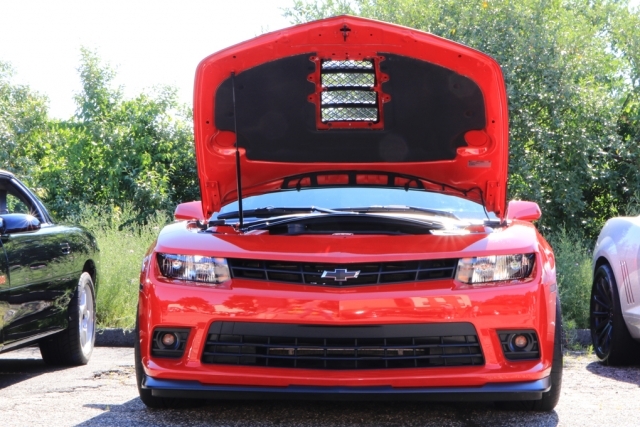 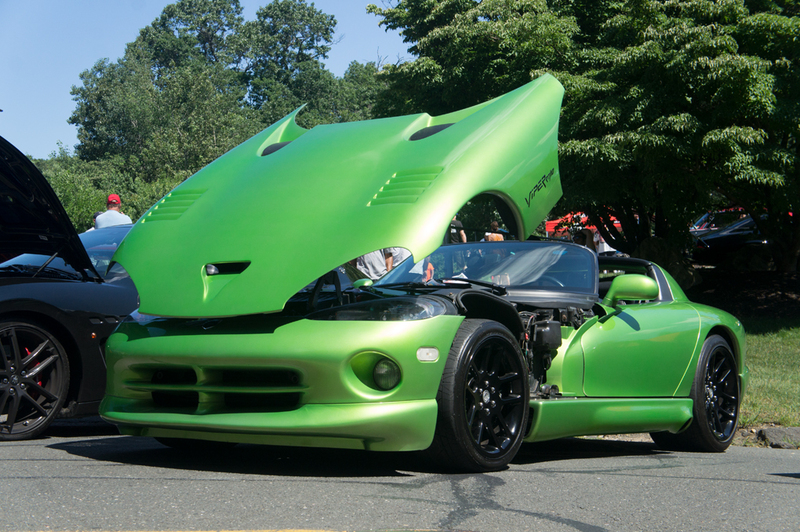 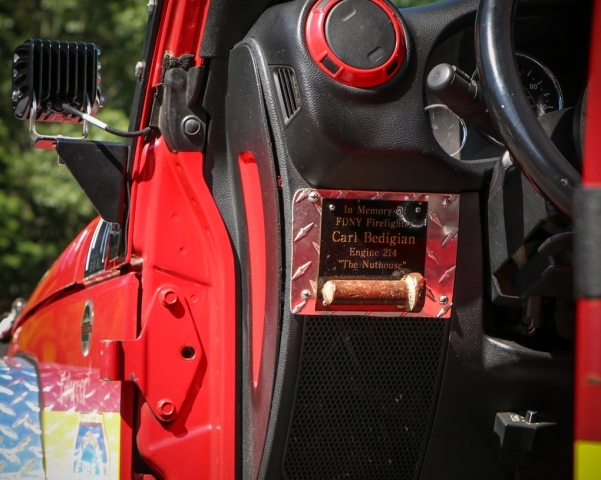 Other makes and models were well represented too, such as Mustangs, Mopars, Jeeps, AMCs and more; there was truly something for everyone to enjoy. Spectators had the opportunity to score plenty of giveaways throughout the day by the DJ booth, such as shirts and hats, folding chairs, footballs, gift certificates and more. 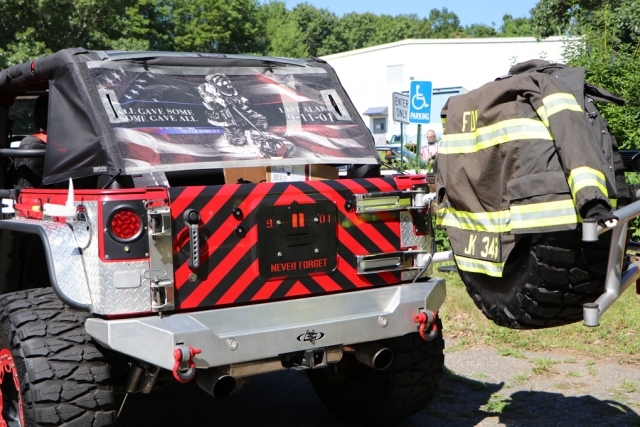 Those looking for something more substantial could enter a raffle to win a brand-new 2017 Polaris Slingshot provided by the Lion’s Club of Wolcott, CT. 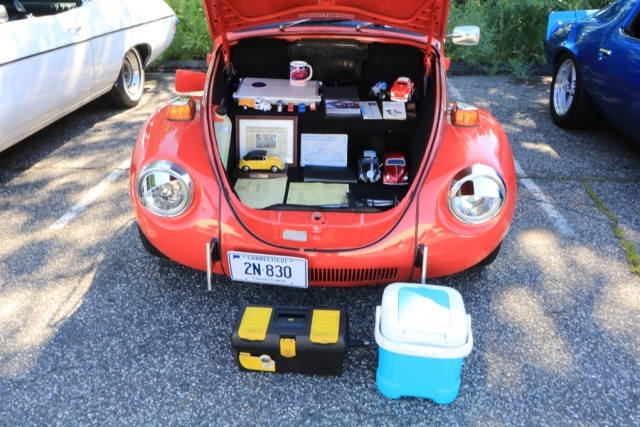 The United Way also held a Pick-A-Prize raffle for a variety of nice prizes, such as a Pypes catback exhaust system, a set of PUI door panels, a TrimParts carpet, a brake booster and master cylinder kit, a FitBit system, Polaroid camera, a zero-gravity chair, 32-inch Vizio flat screen TV, rolling toolboxes, Smokey Joe Weber grills and much more. 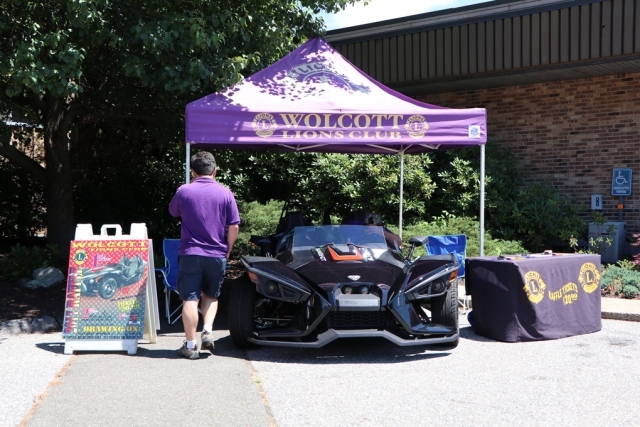 Vendor representatives from Pypes Performance Exhaust, Cold Case Radiators, Moroso Performance and GM Performance were on hand to chat, answer questions and generally connect with the public. 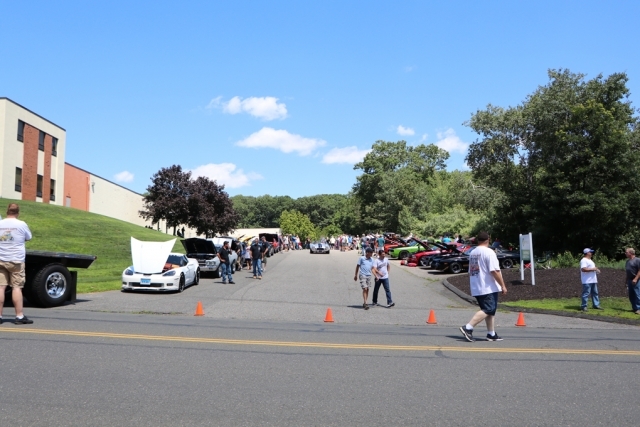 Several special show promotions were available for the occasion such as 25% off Pypes products and 10% off Cold Case radiators, and of course Ground Up was open for business for those who wanted to order parts during the show. 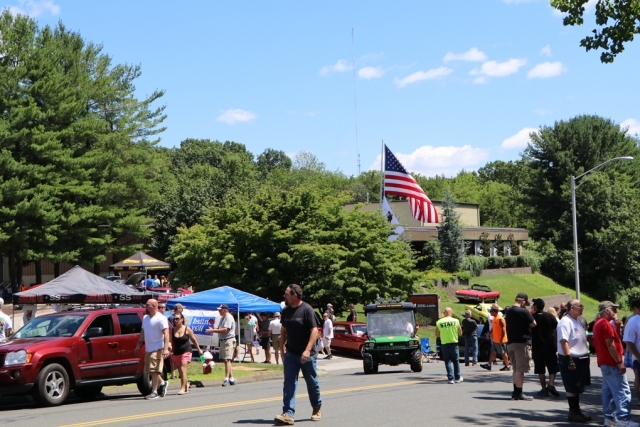 Food was provided by local Naugatuck vendor Bill’s Hotdogs as well as Wolfski’s of Meriden, CT. 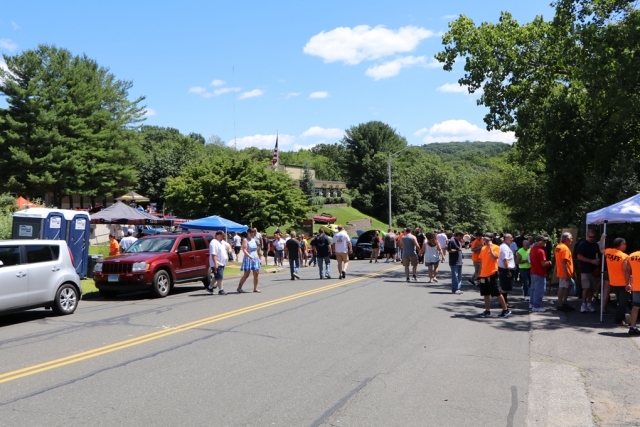 The staff of Bill’s were hard at work throughout the day providing breakfast sandwiches and many varieties of hotdogs and hamburgers, while Wolfski’s catered their signature gourmet pierogies and kielbasa along with breakfast sandwiches. 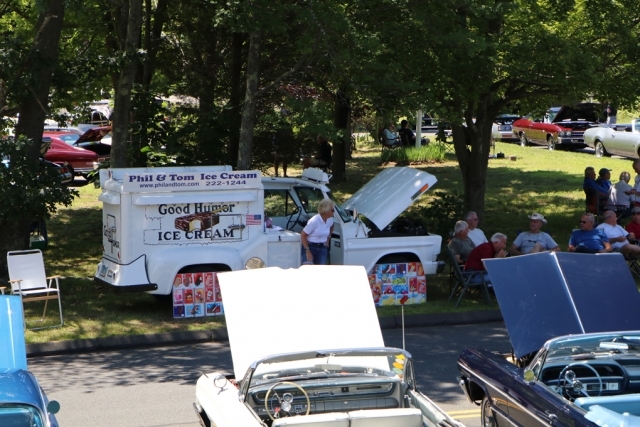 Phil’s and Tom’s vintage 60’s ice cream truck was also on hand to help event goers keep cool with their selection of Good Humor frozen treats. 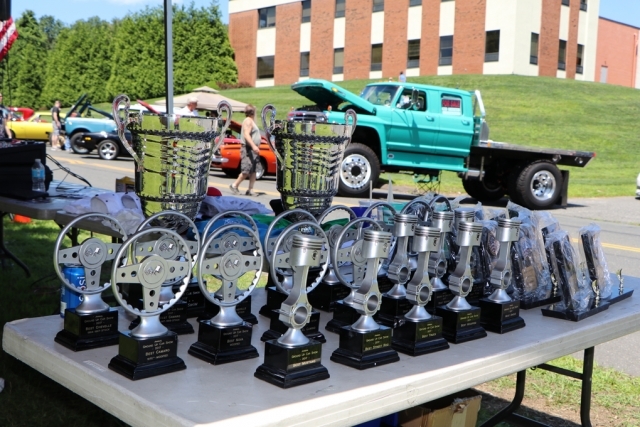 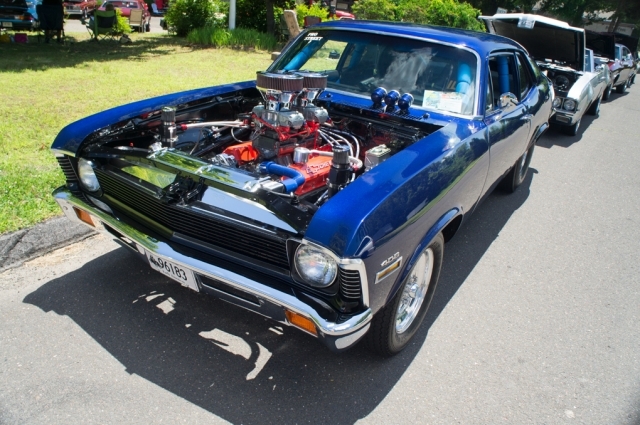 It wouldn’t be a car show without trophies, and this year there were 22 different categories available, including Best Stock and Best Modified classes for 67-69 Camaro, 70+ Camaro, 64-67 Chevelle, 68-72 Chevelle, 62-79 Nova, Best Truck, Most Unique, and many more. 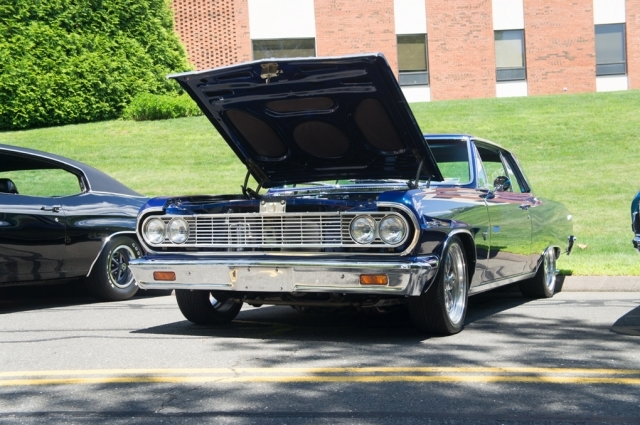 Connecticut Cruise News also had their own set of trophies to award. The announcement ceremony began at 12:30 p.m., with the winners eager to accept their awards, proud of the recognition they received that day. By the end of the show, the United Way had raised over $5000 via proceeds from raffle ticket, t-shirt and water sales. These funds will go right back into the local community where they need it the most. 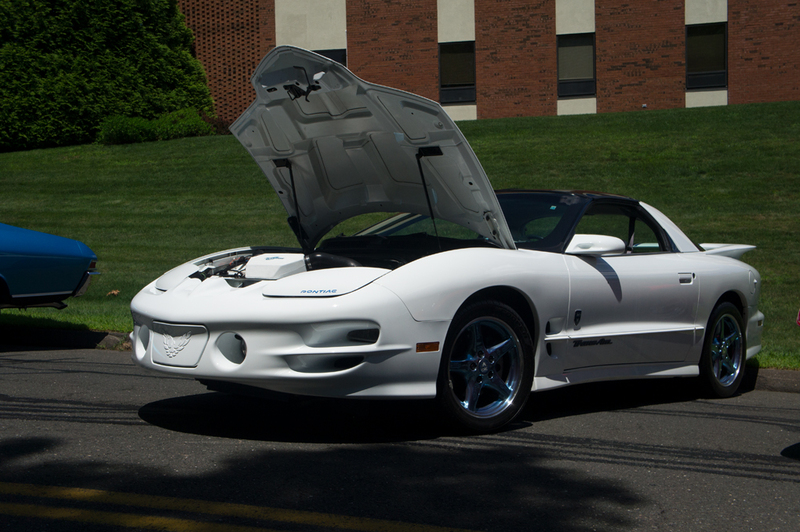 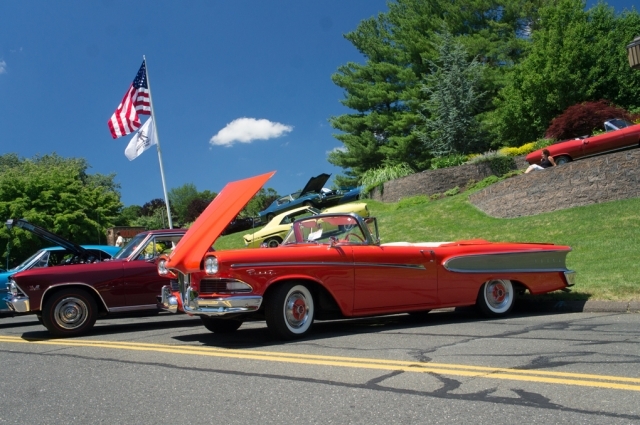 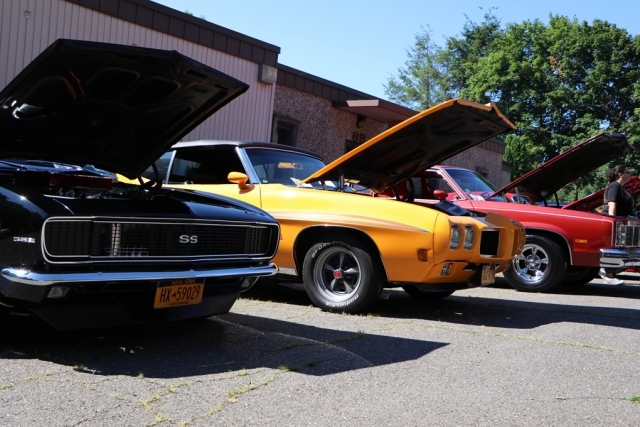 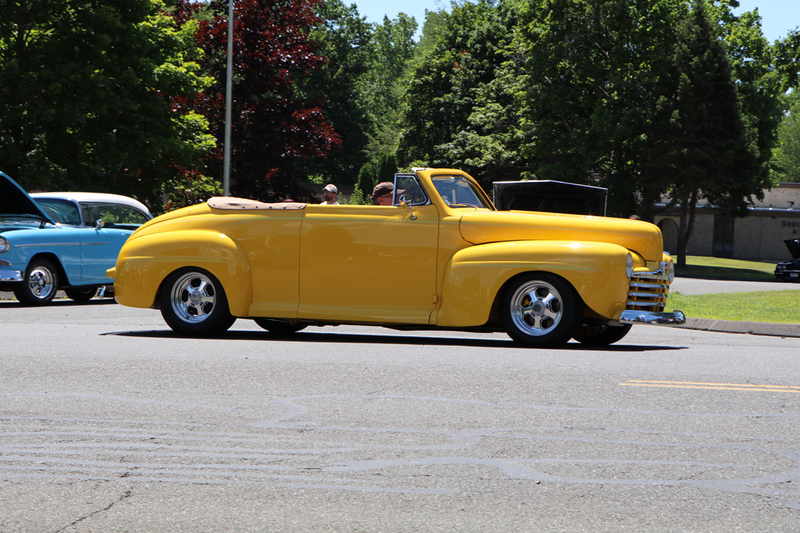 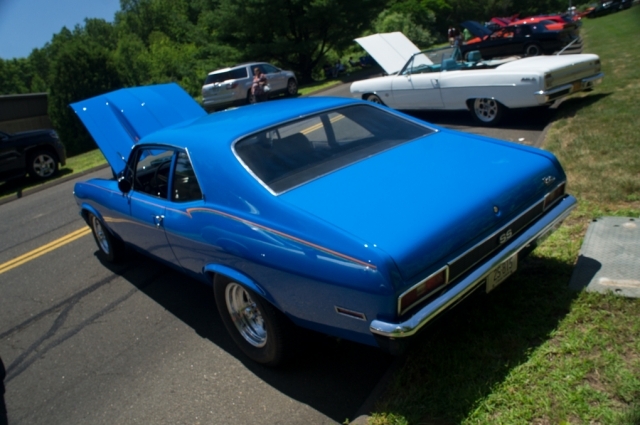 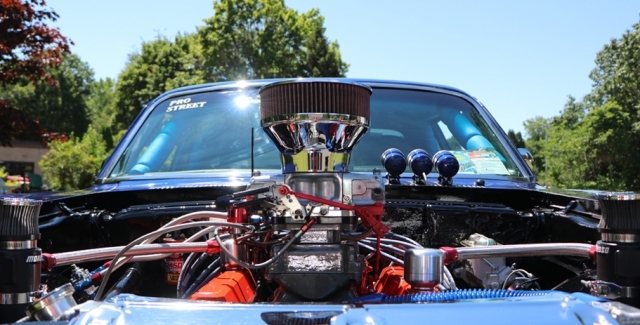 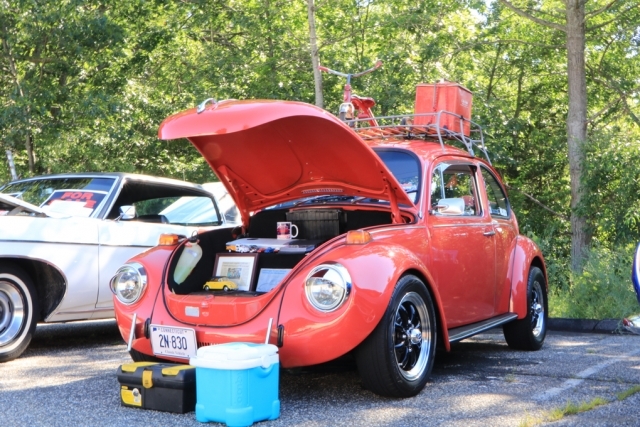 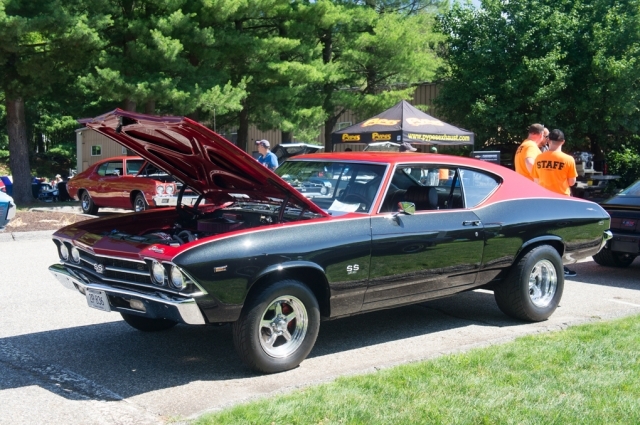 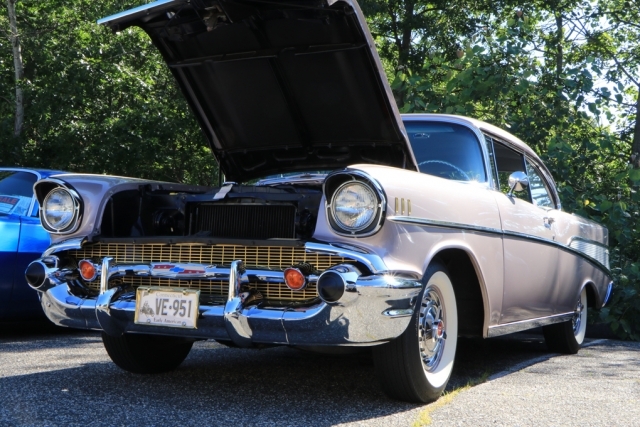 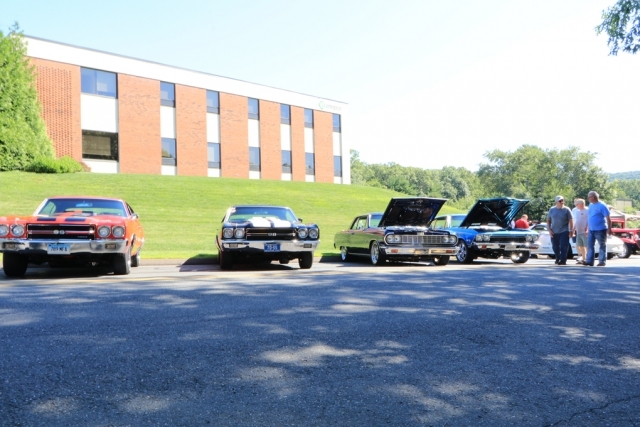 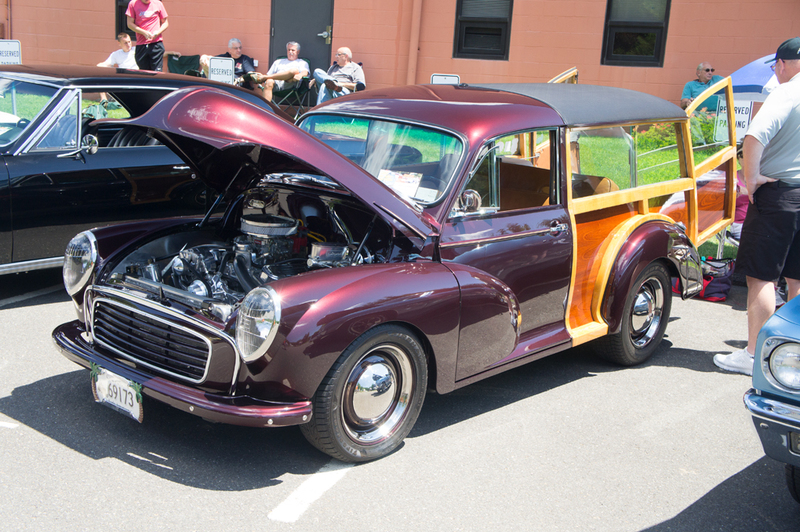 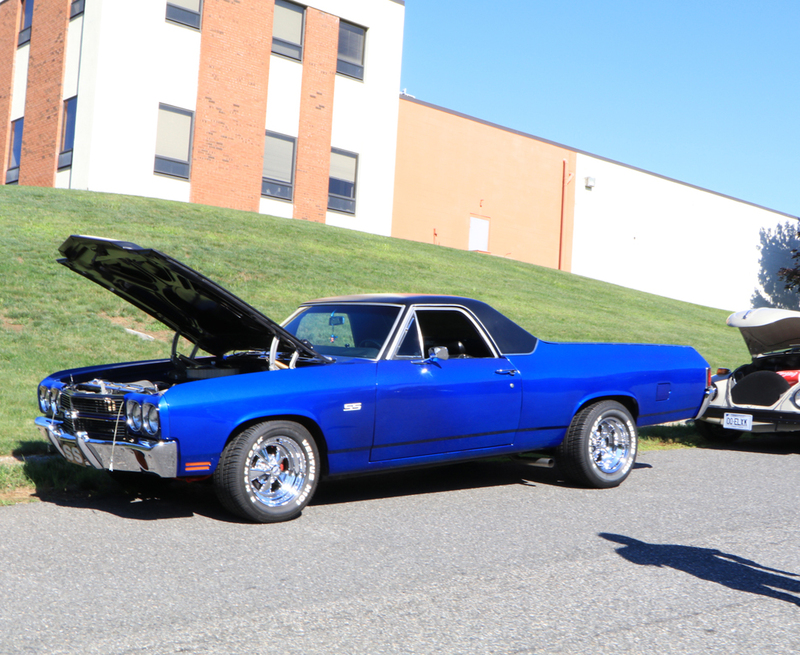 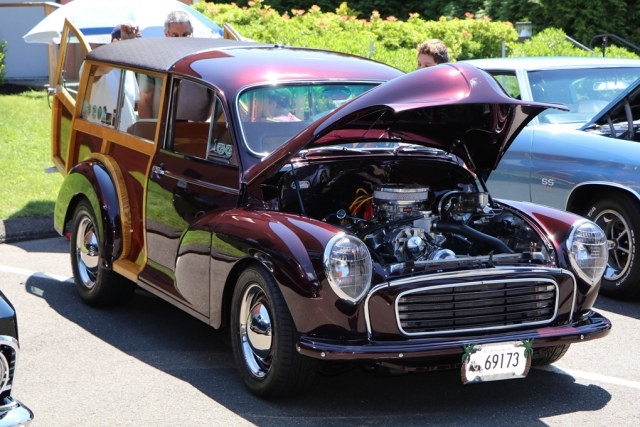 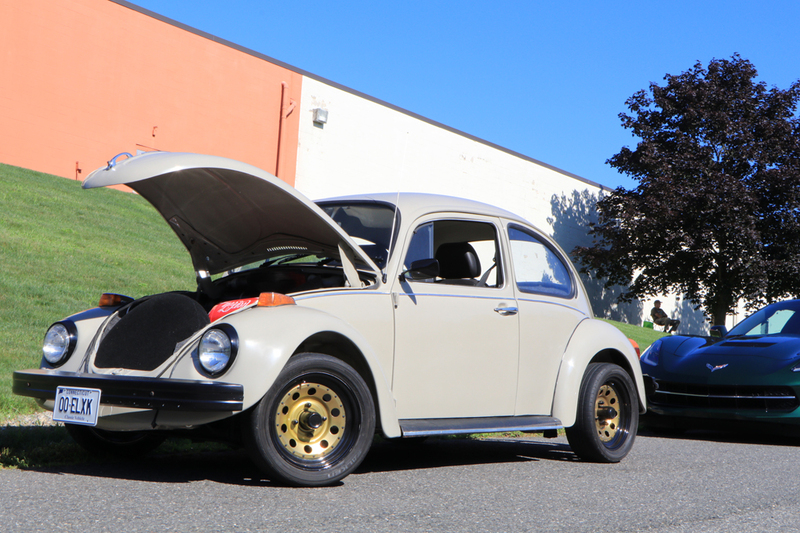 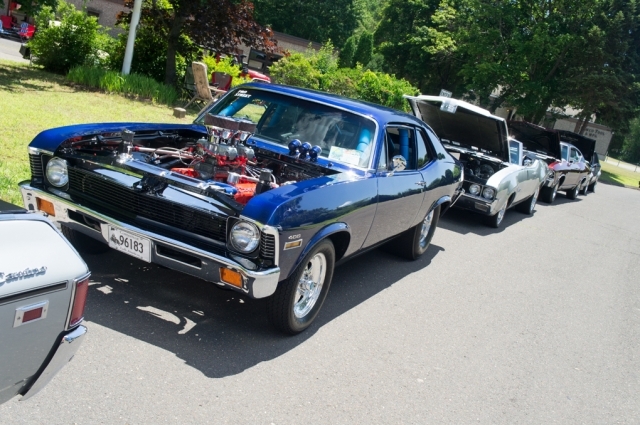 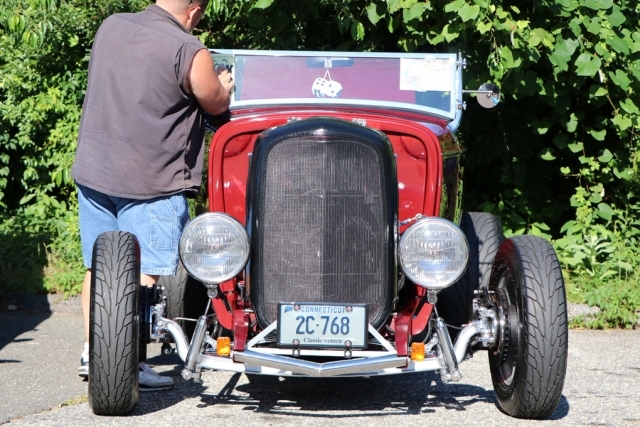 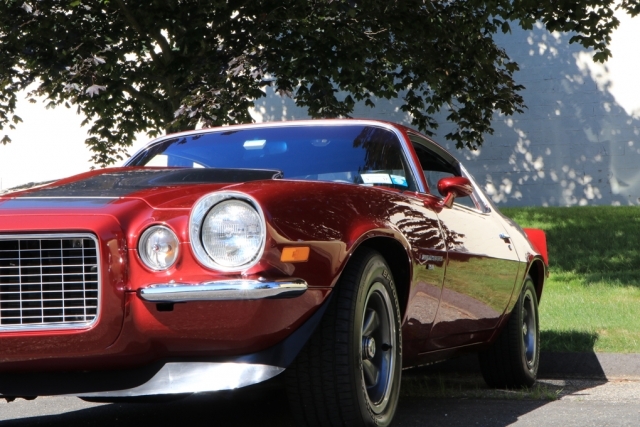 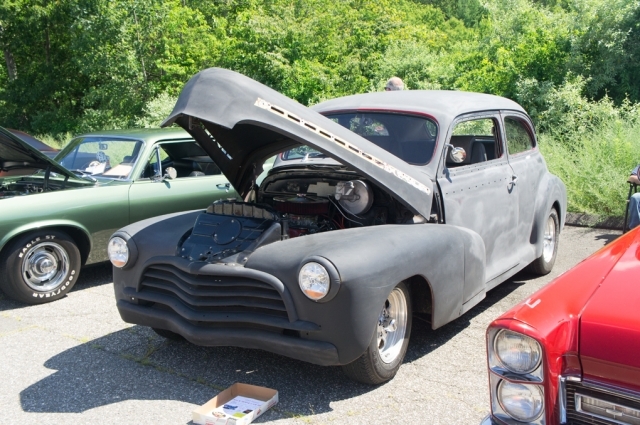 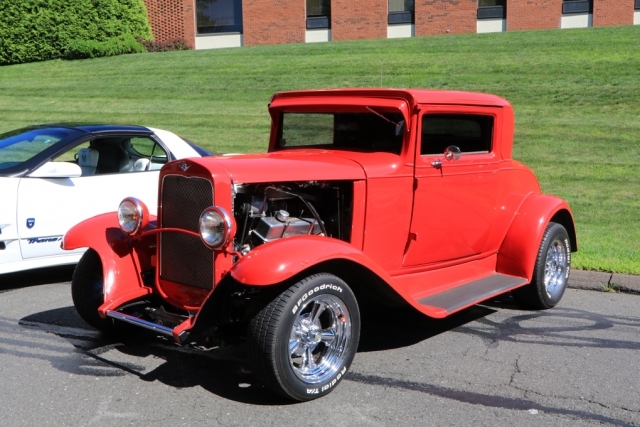 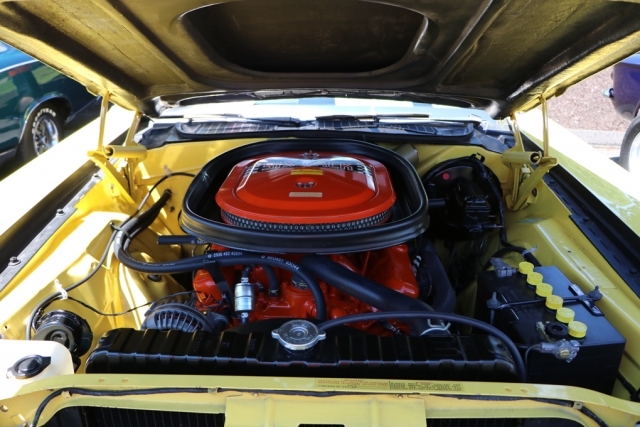 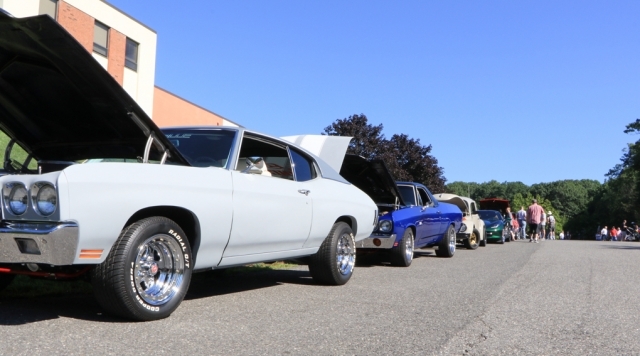 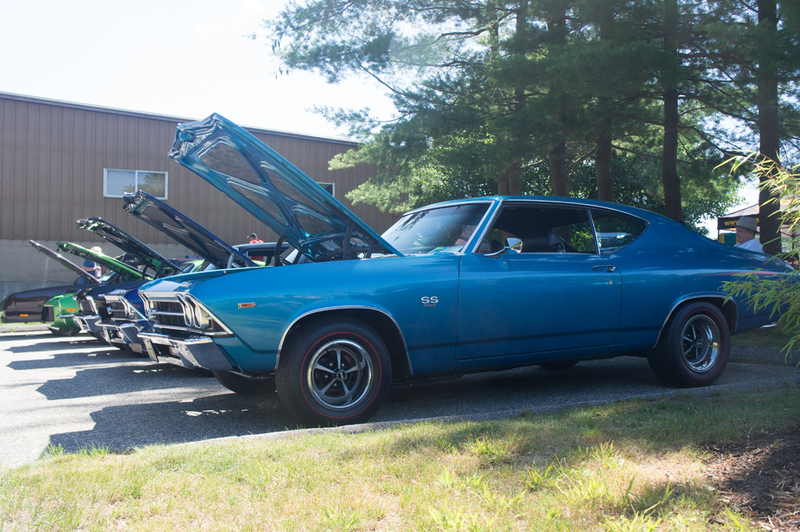 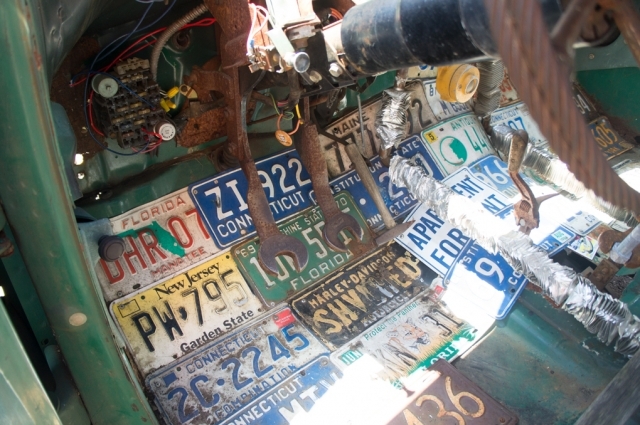 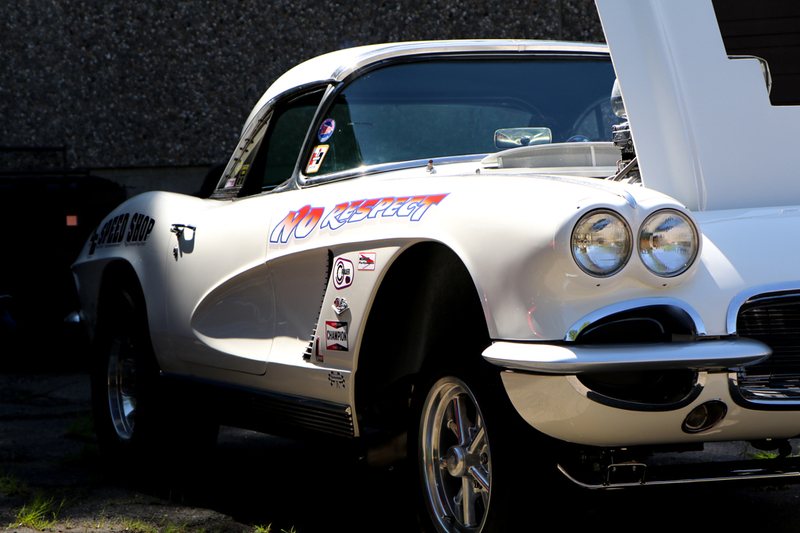 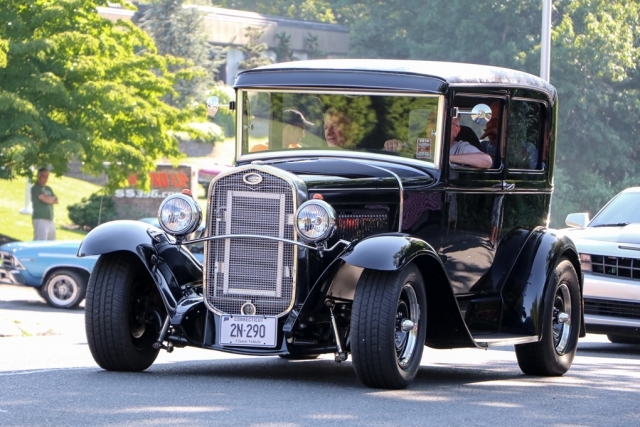 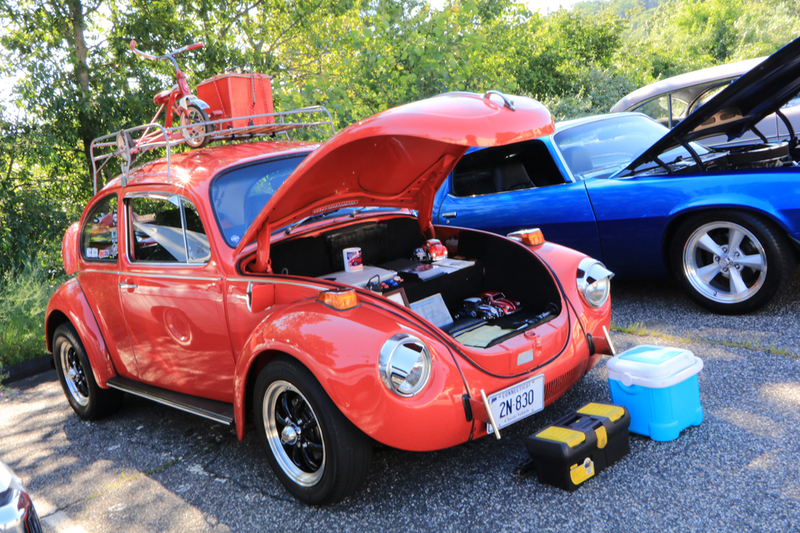 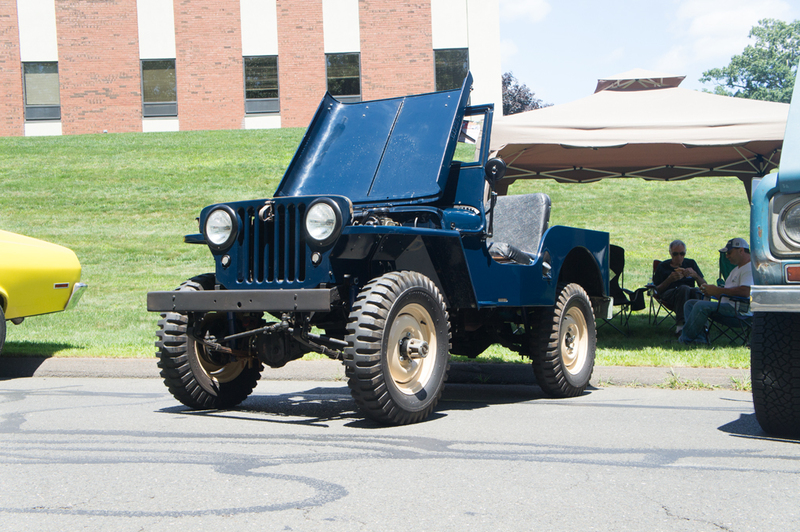 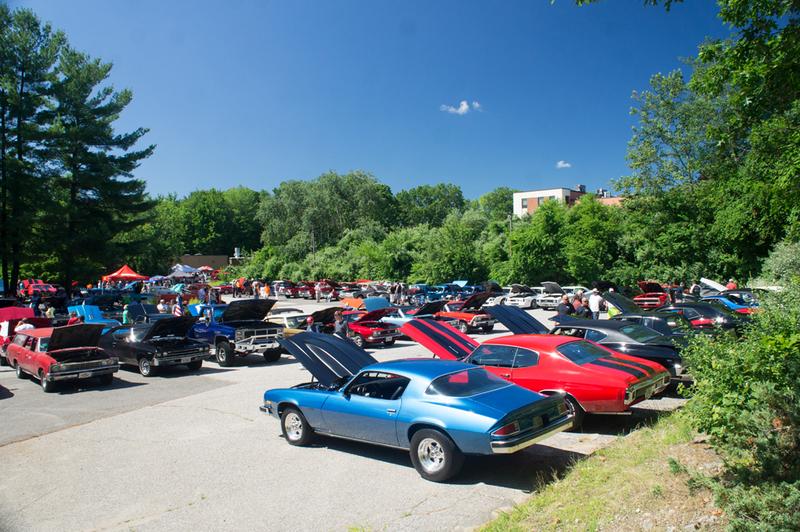 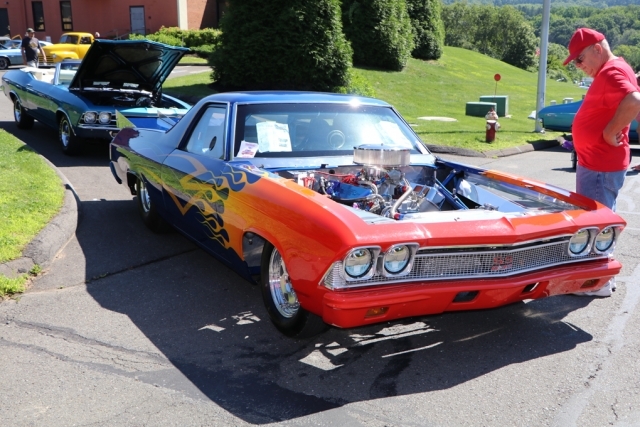 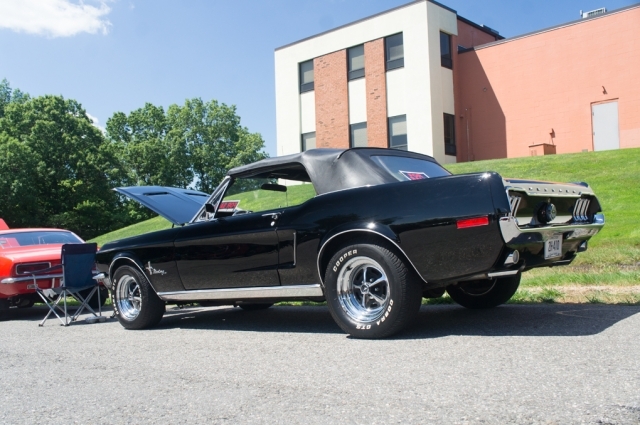 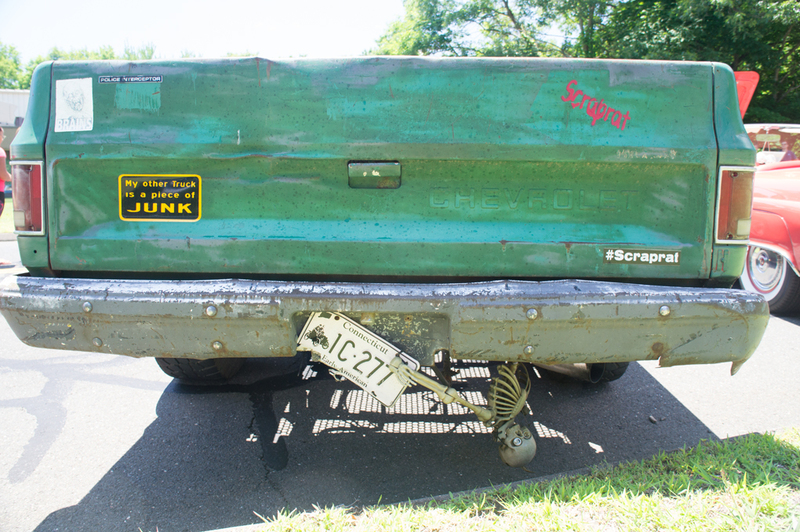 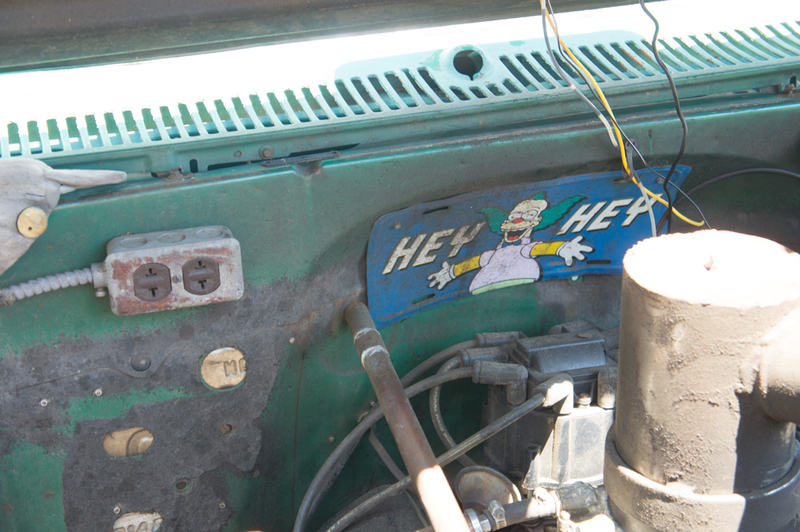 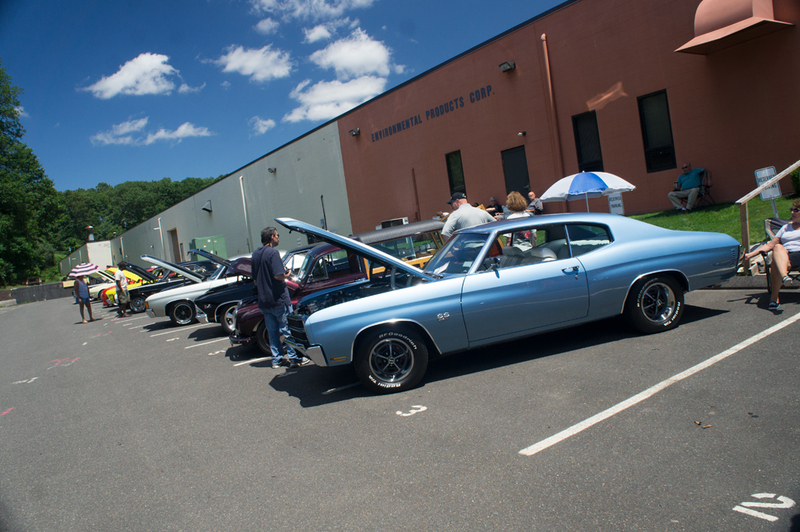 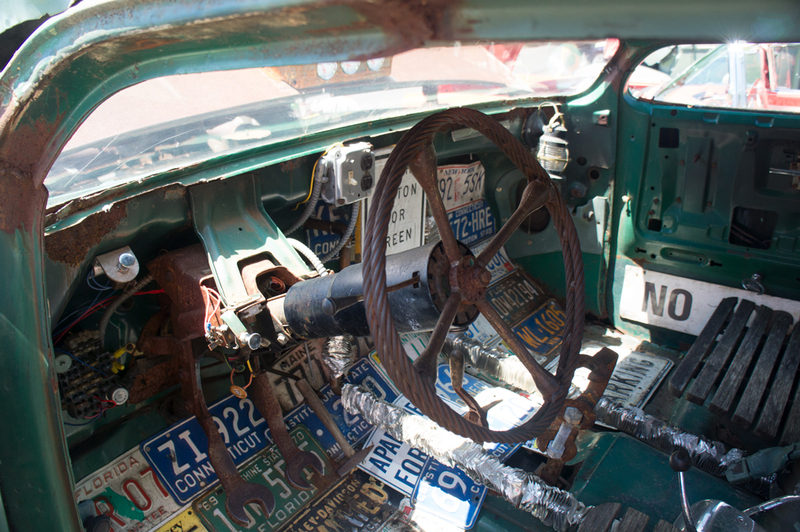 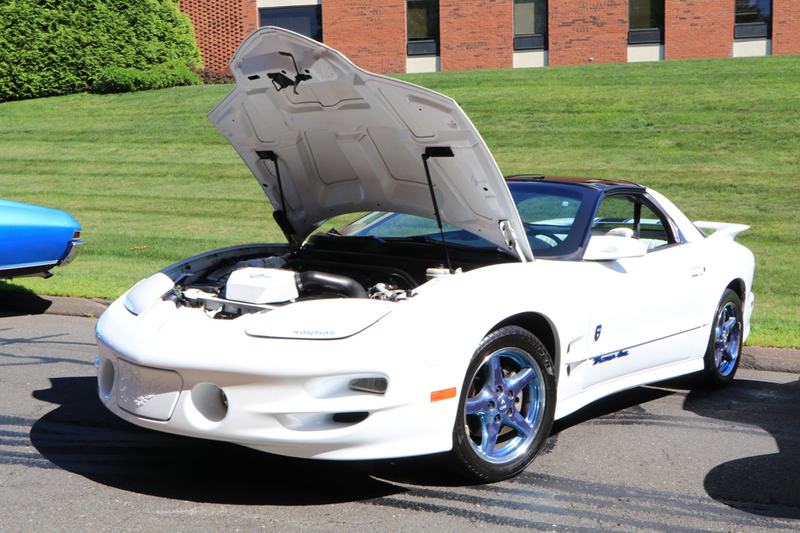 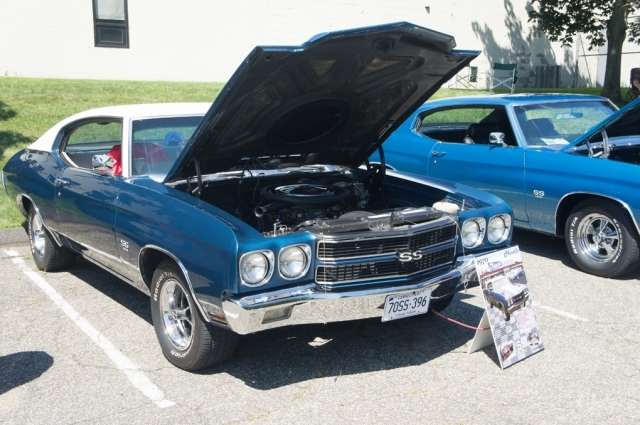 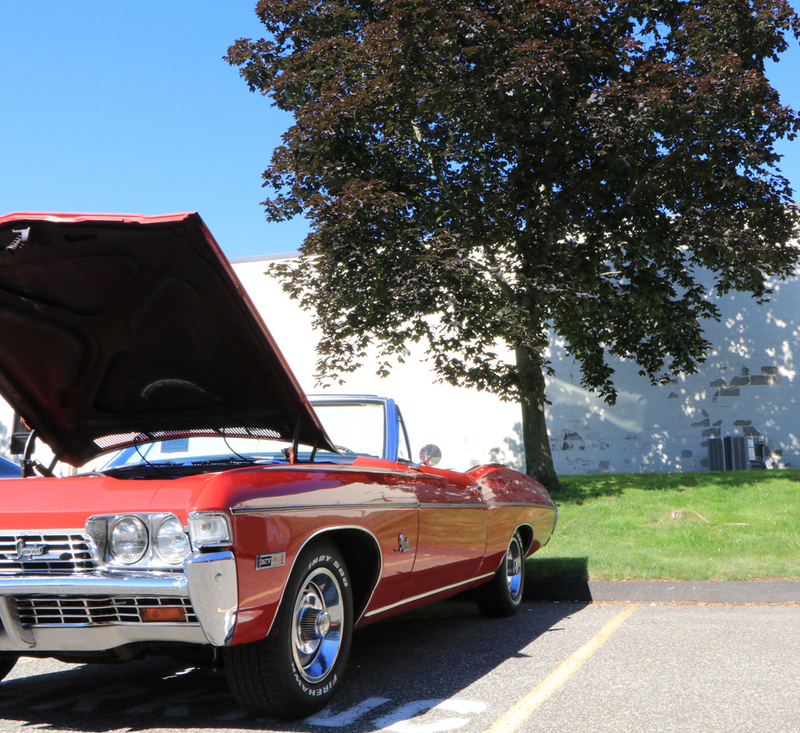 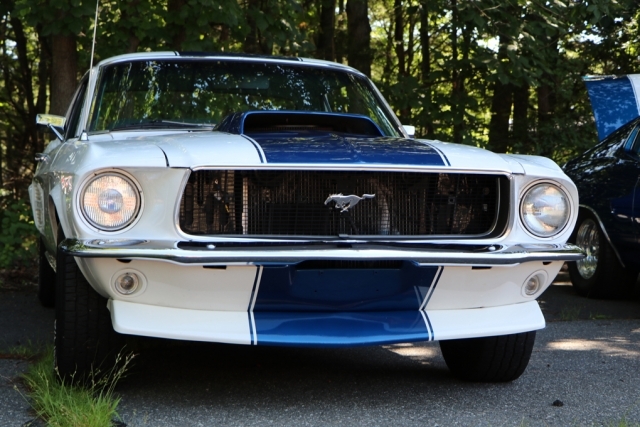 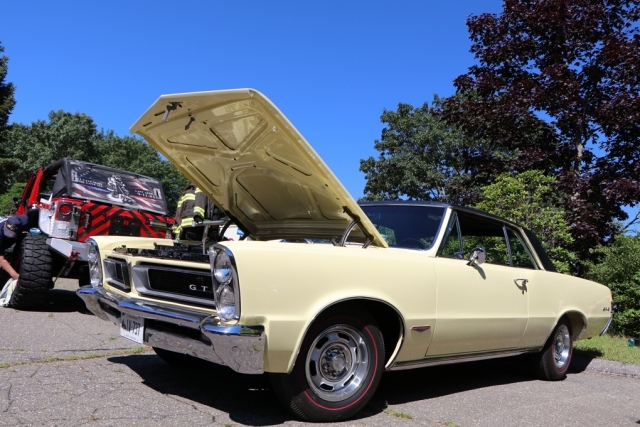 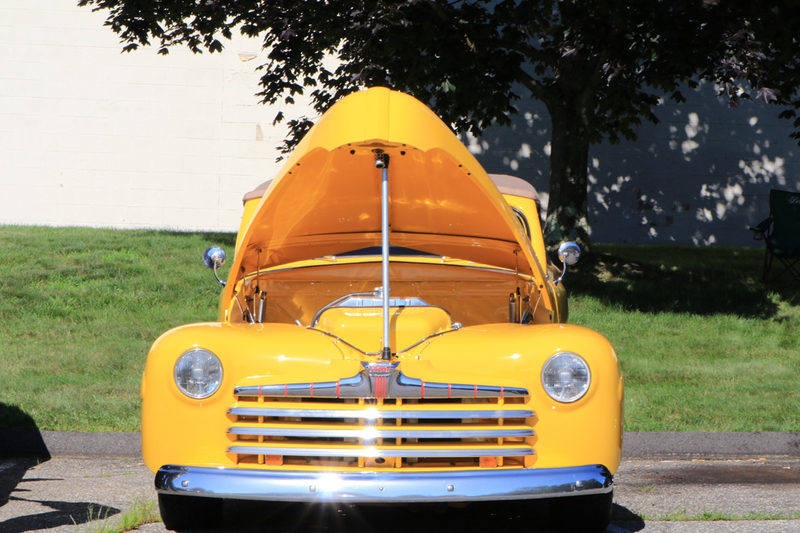 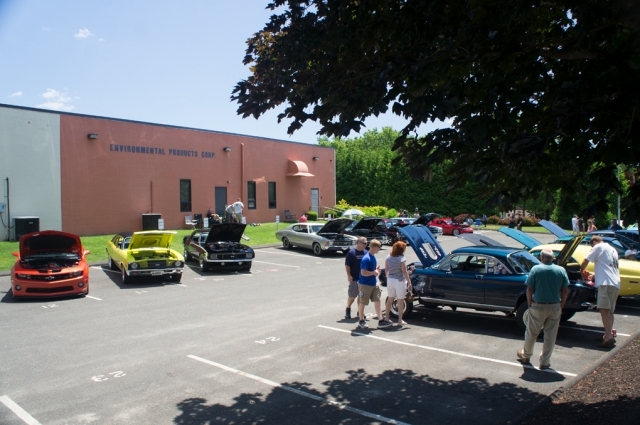 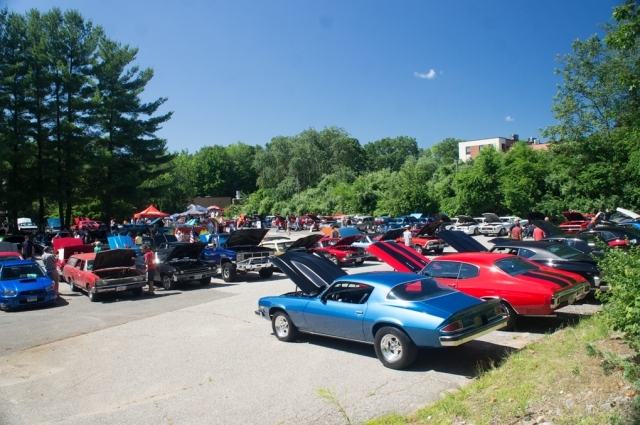 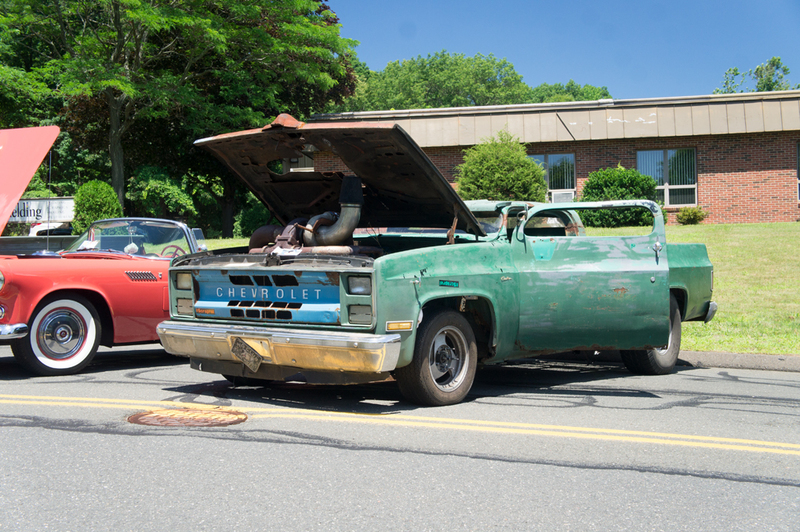 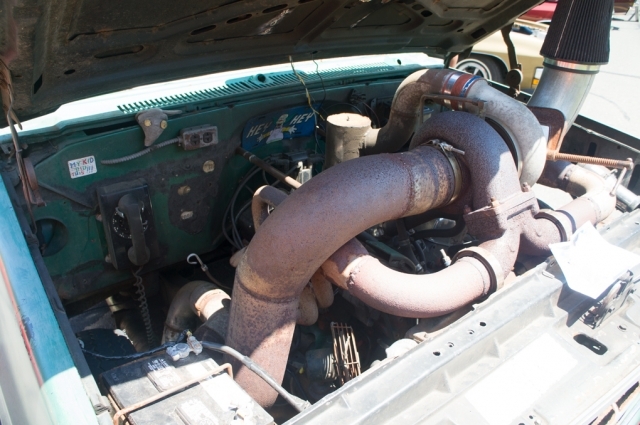 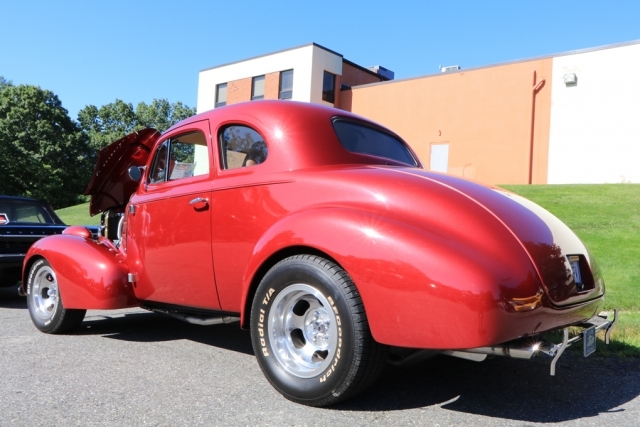 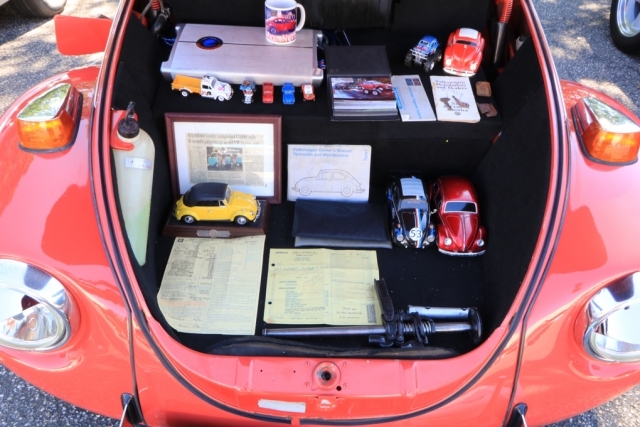 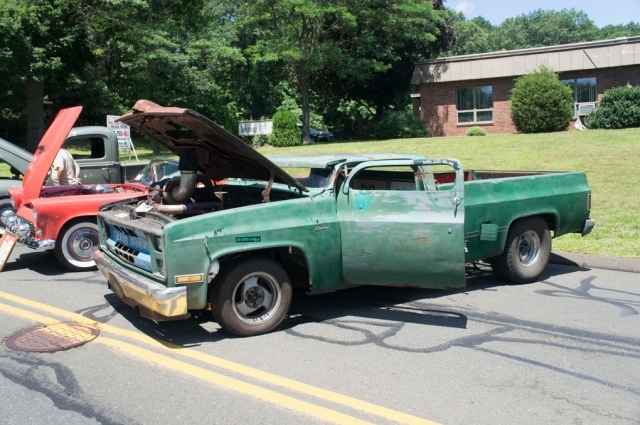 Overall, the 13th annual Ground Up Classic Car Show was a resounding success. 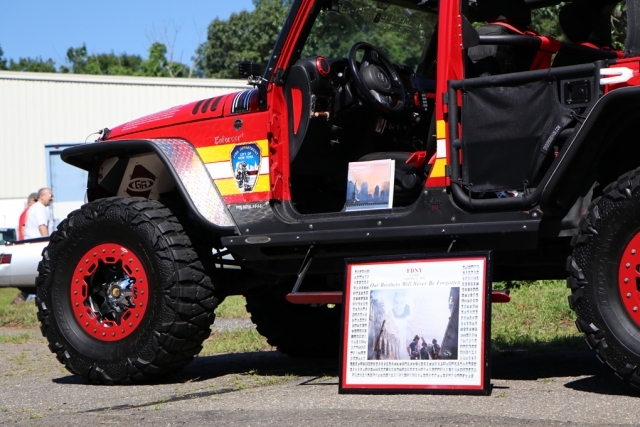 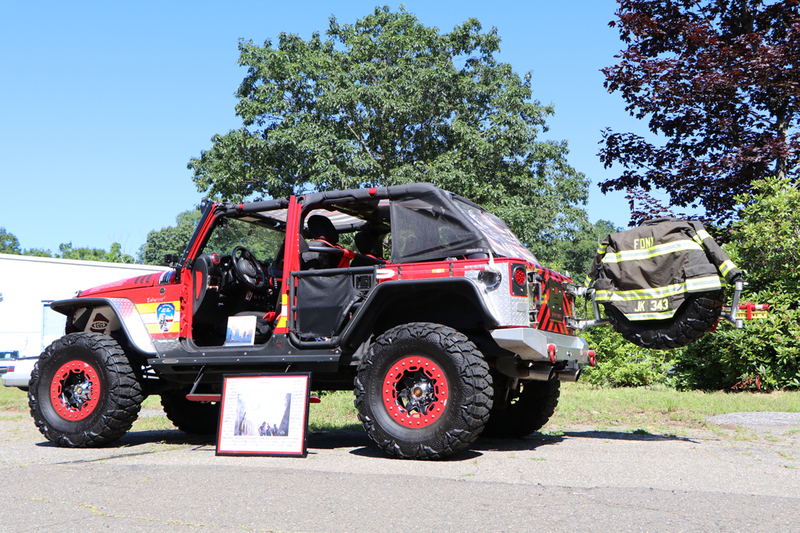 Many thanks go out to all those who attended, whether to show a vehicle, volunteer, or spectate! 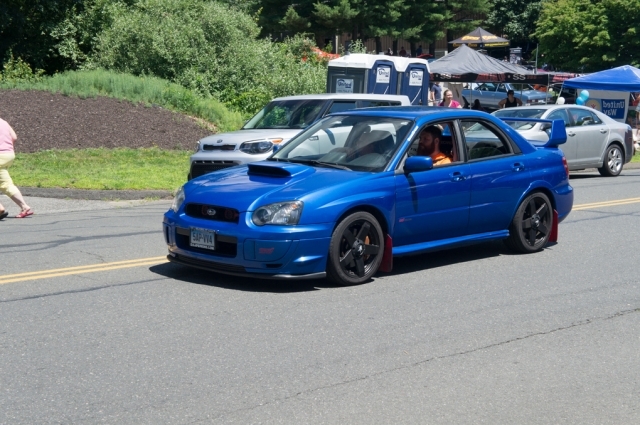 Check out the show photos below!